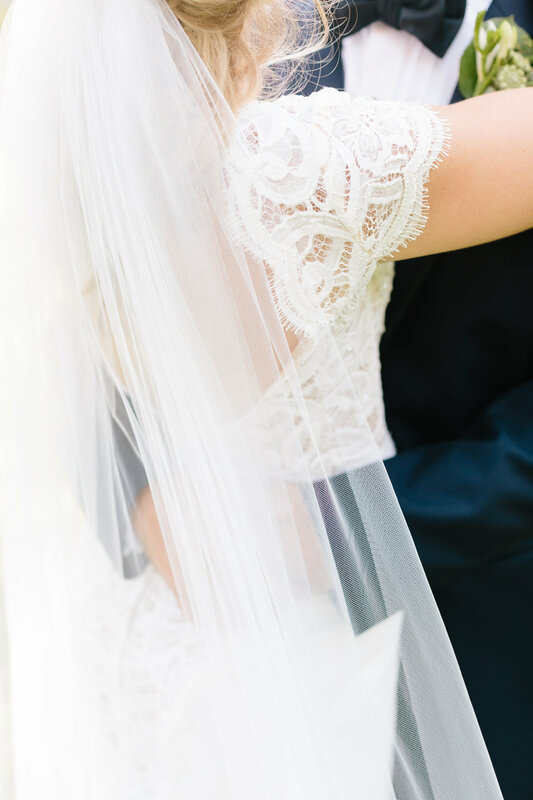 Your love story has culminated in this event. 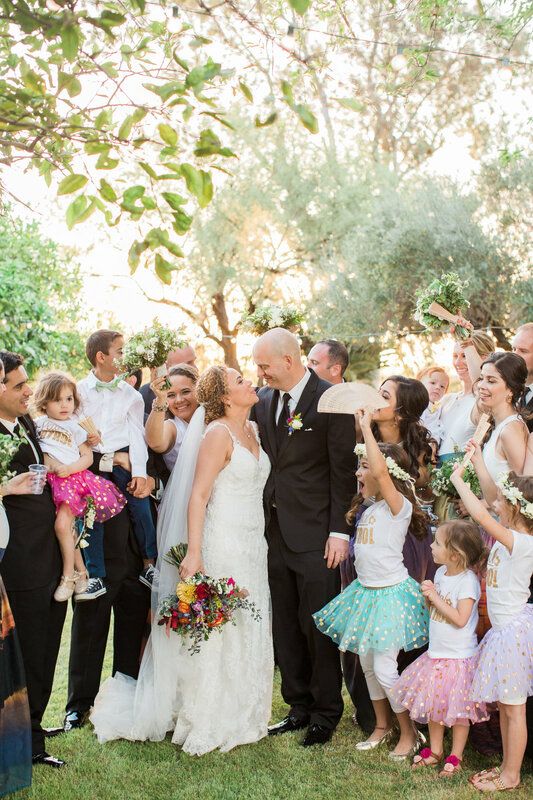 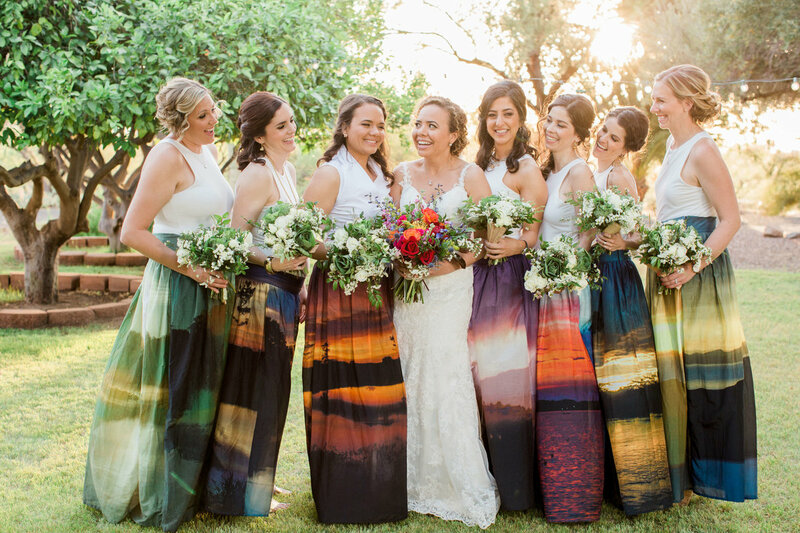 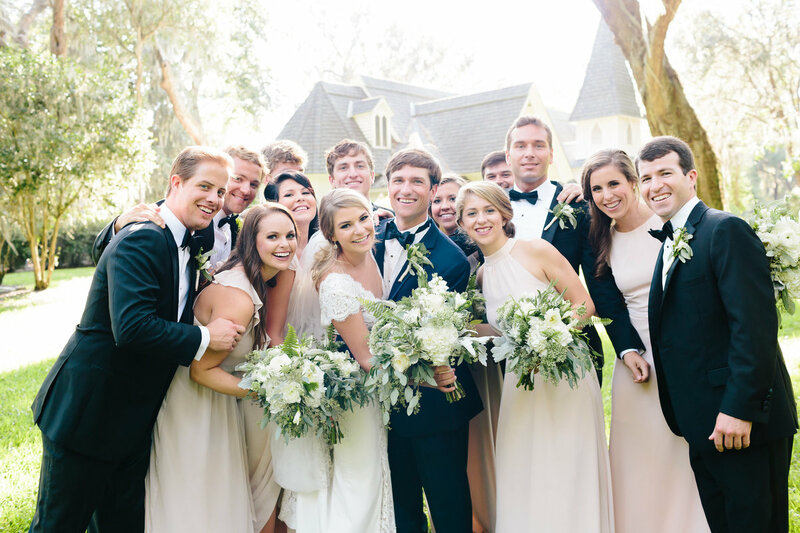 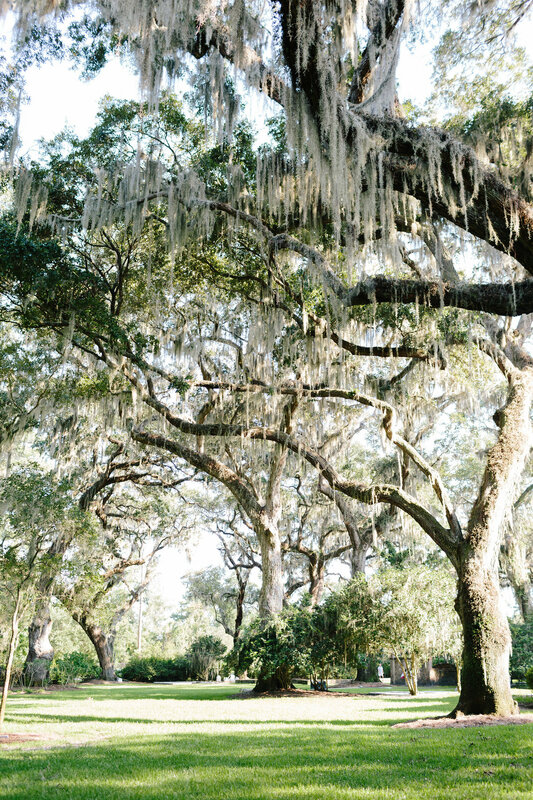 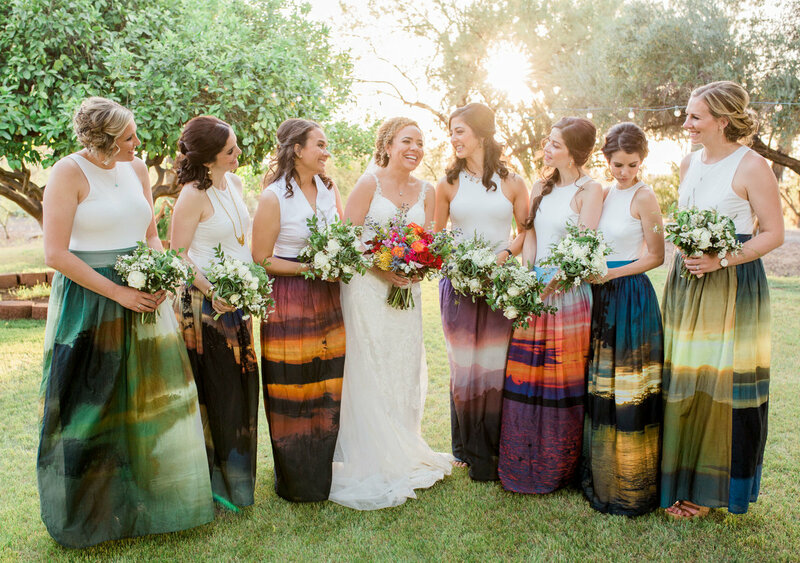 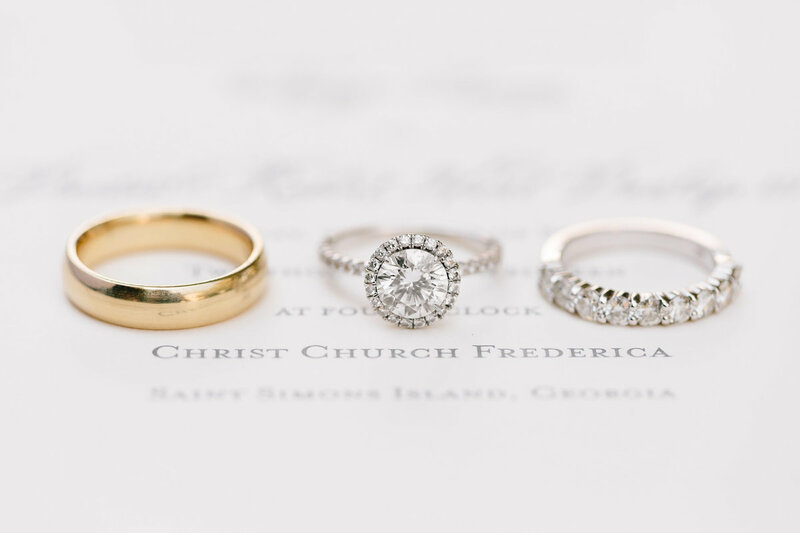 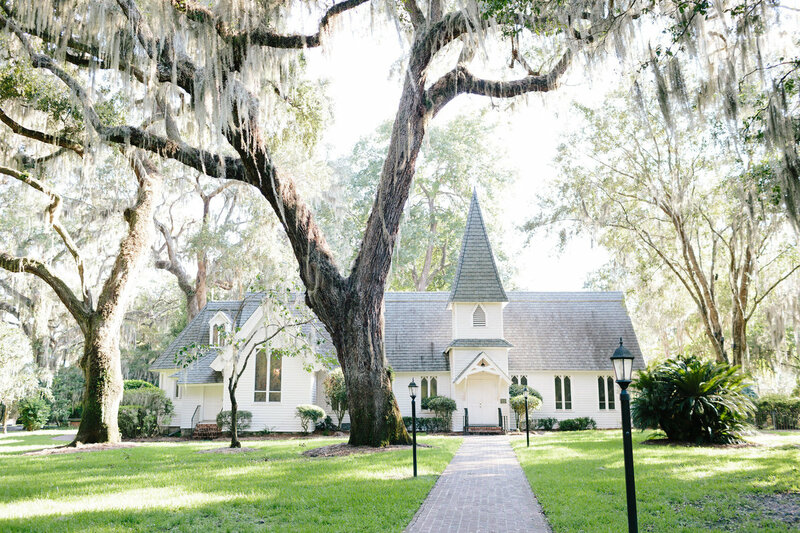 The romance, the joy, the anticipation, these are all significant parts of your wedding day. 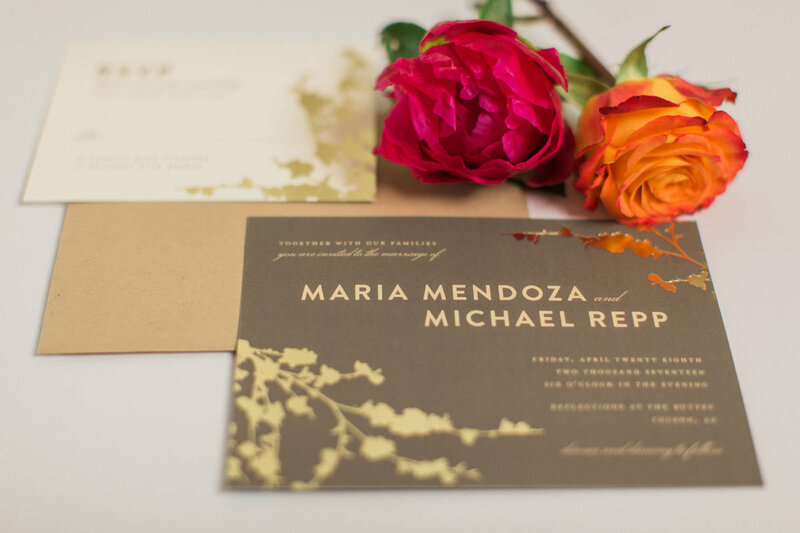 There is nothing more important to us than capturing your relationship within the design of the day. 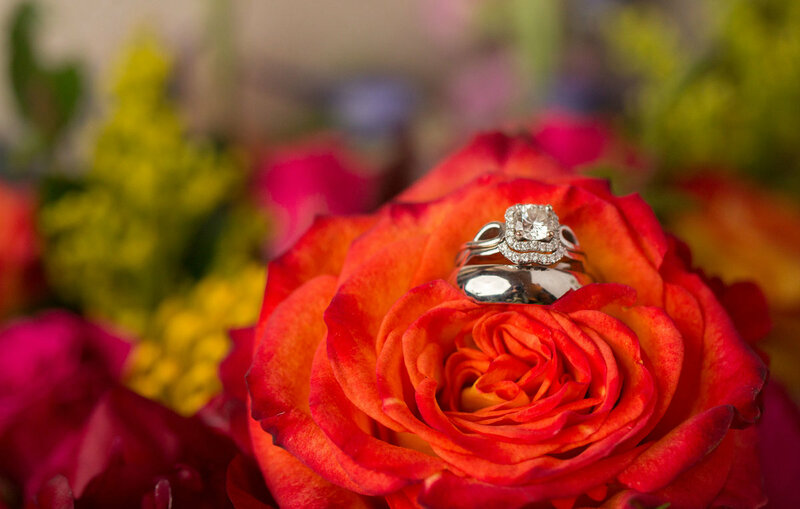 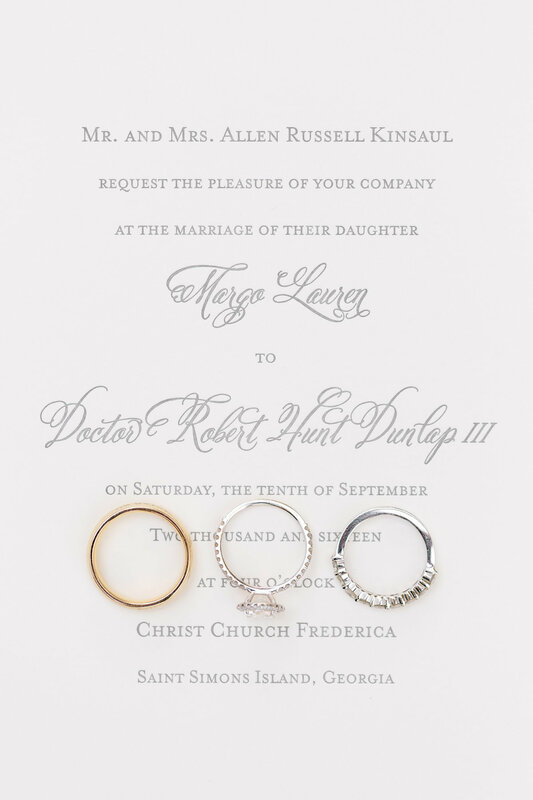 Through personal touches that reflect what matters to you most, your wedding will be unforgettable. 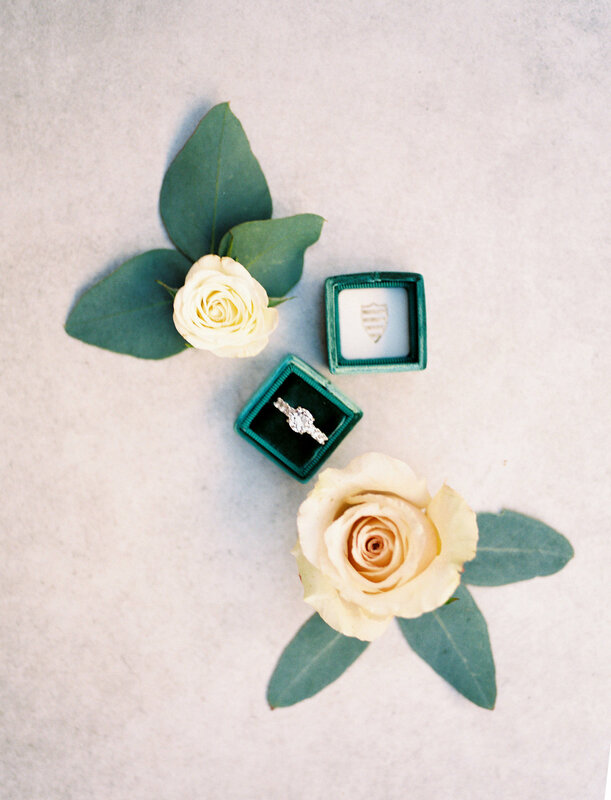 Flowers will fade with time, but custom design ensures that you will have a memento of your day that will last beyond the faded blooms. 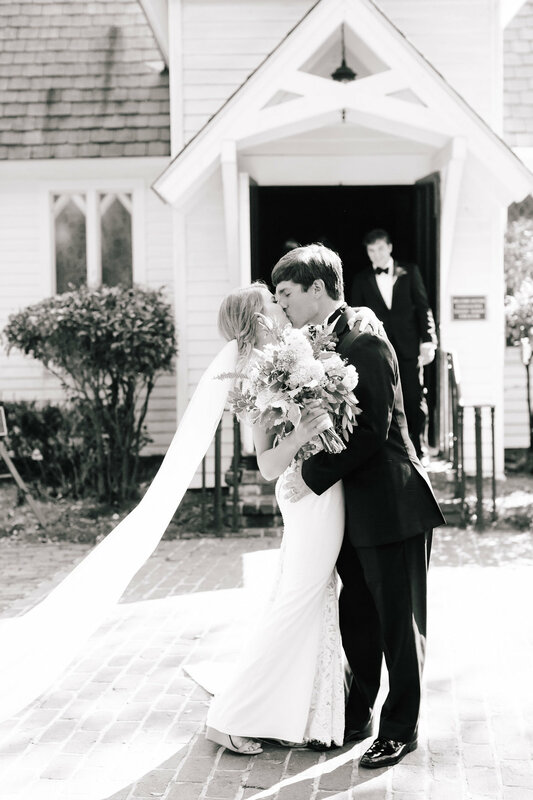 Your love is forever. 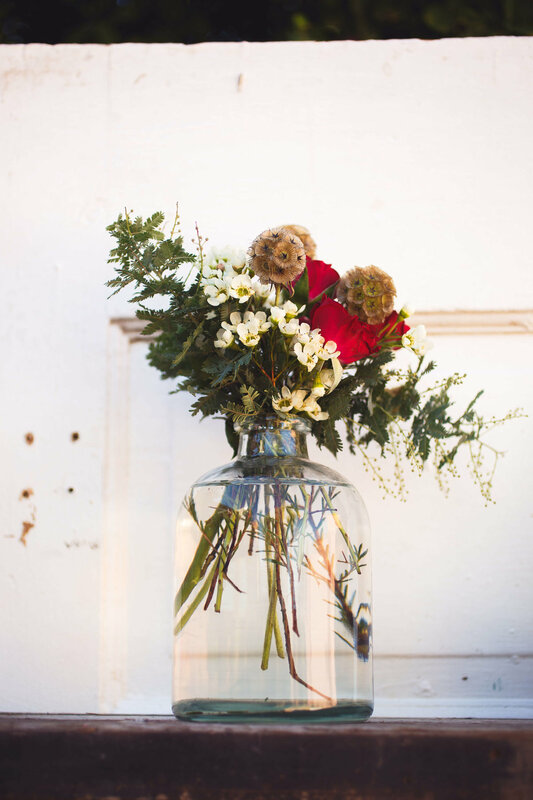 We want you have something to remind you of that years after your flowers have wilted. 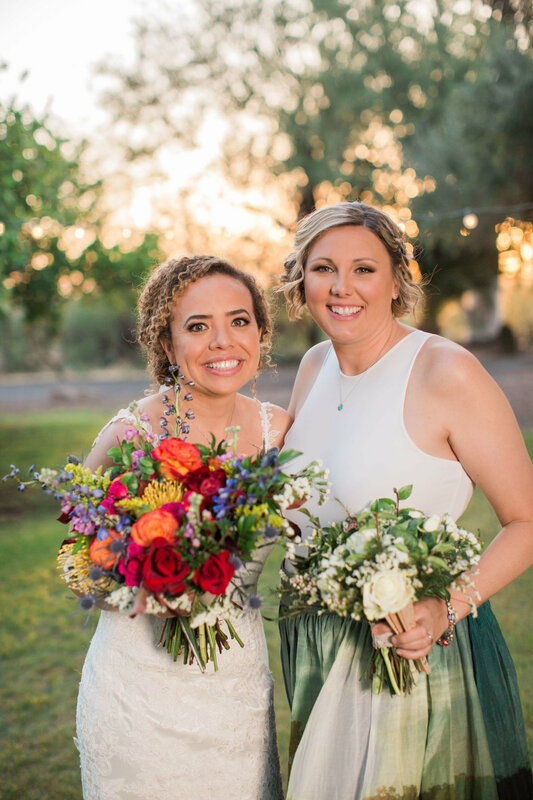 Kimberley and Theresa were wonderful to work with leading up to our late April 2017 wedding. 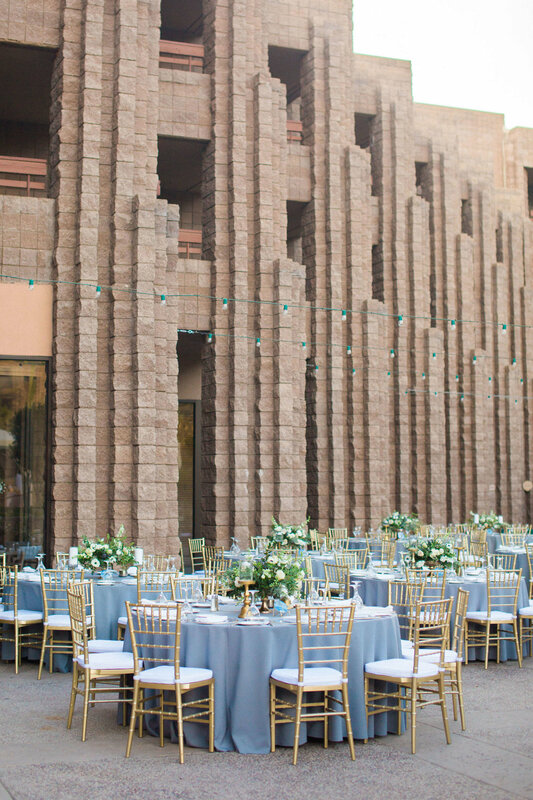 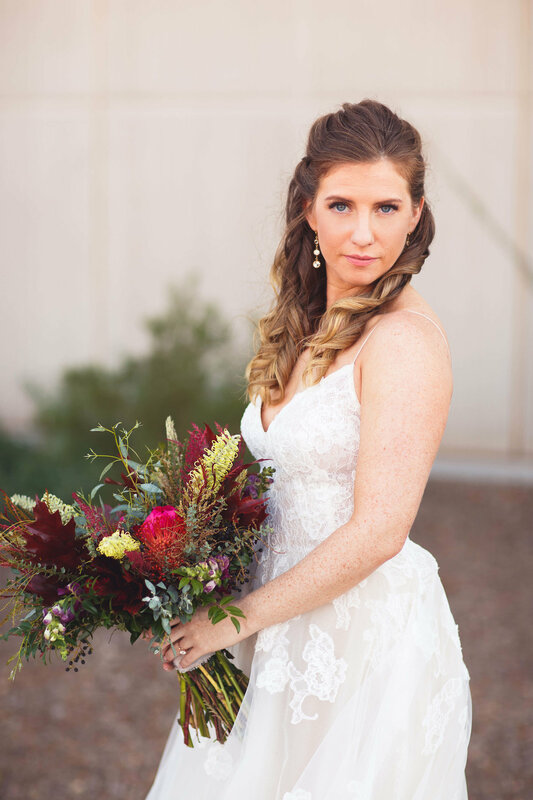 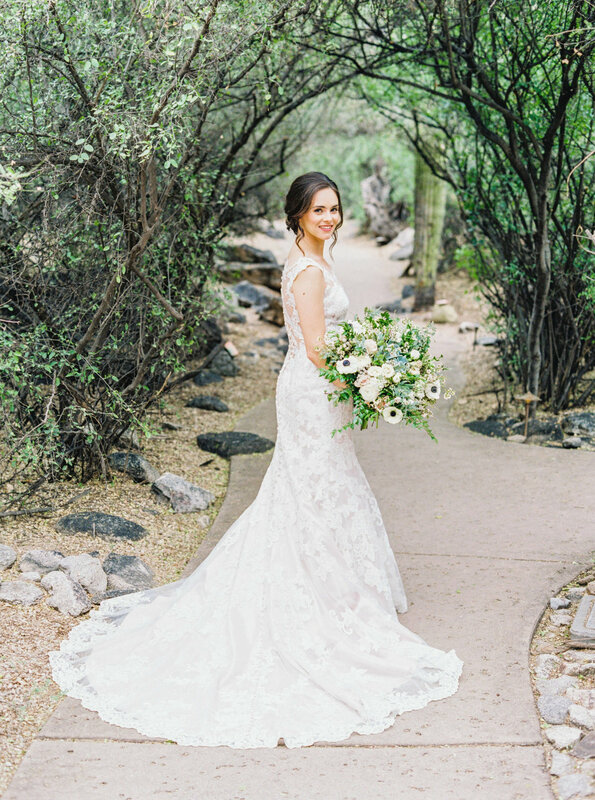 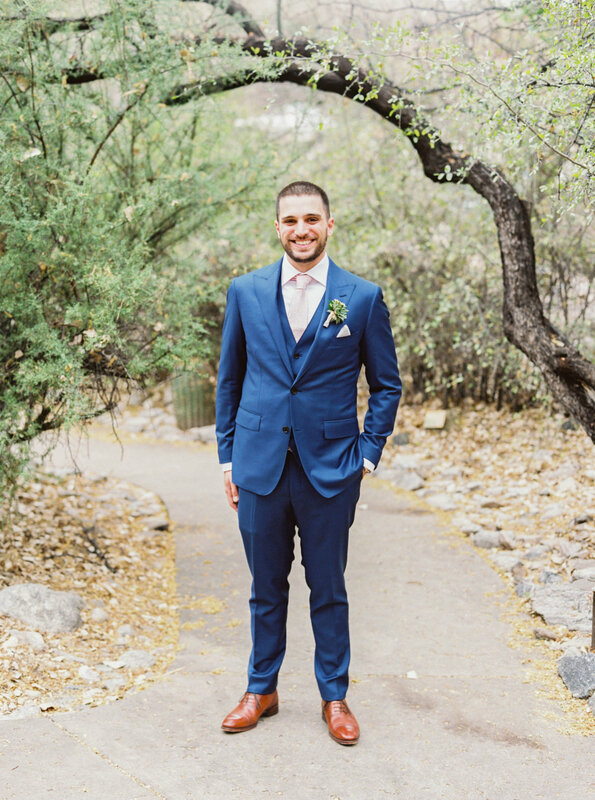 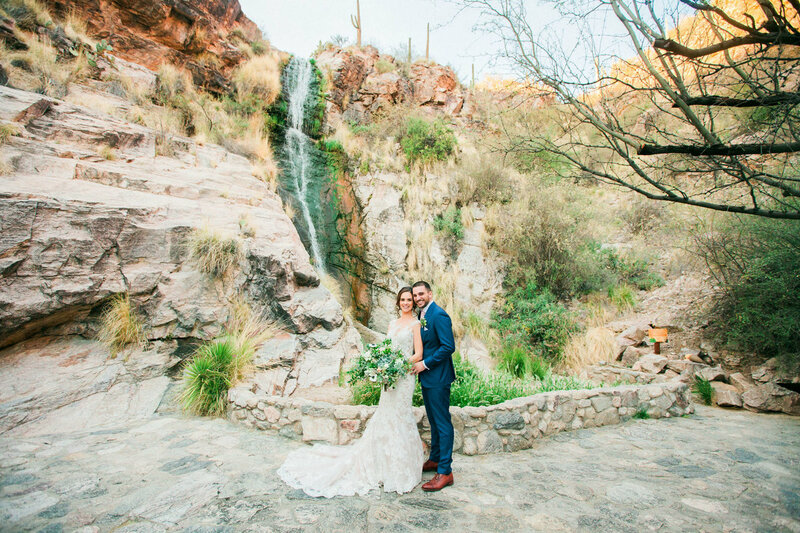 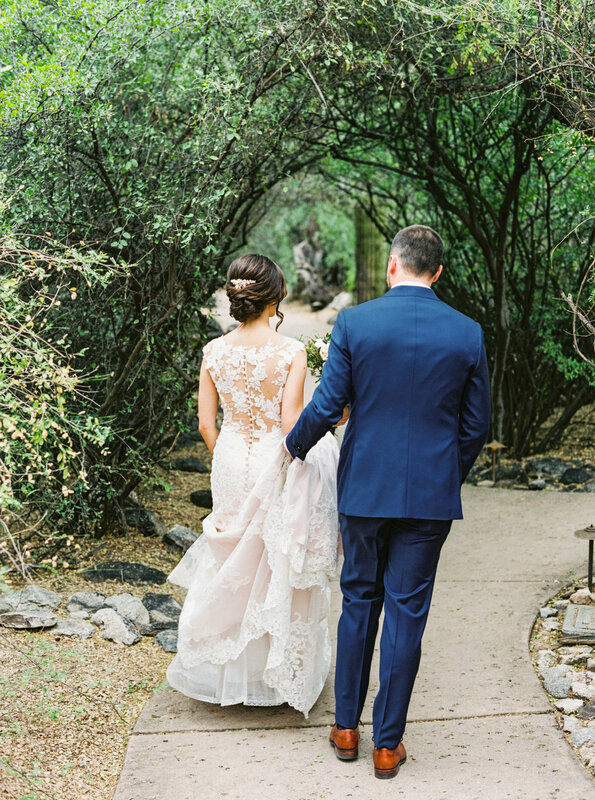 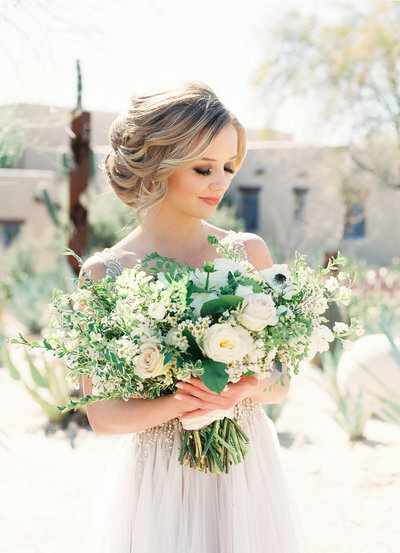 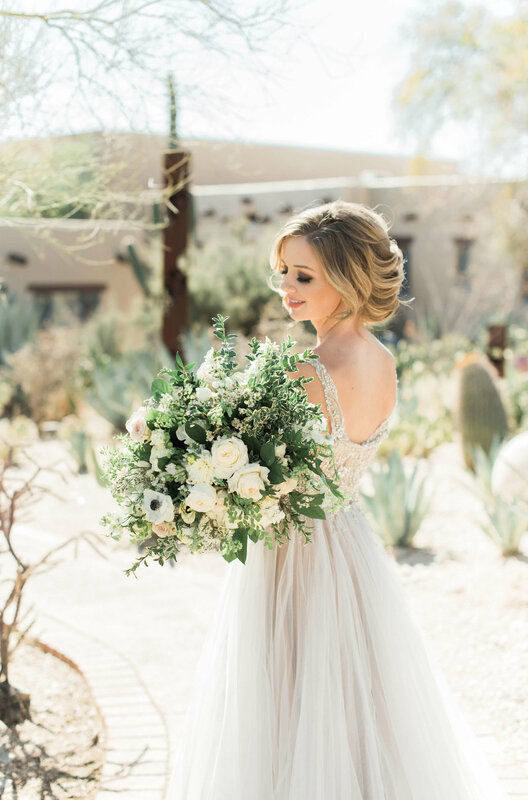 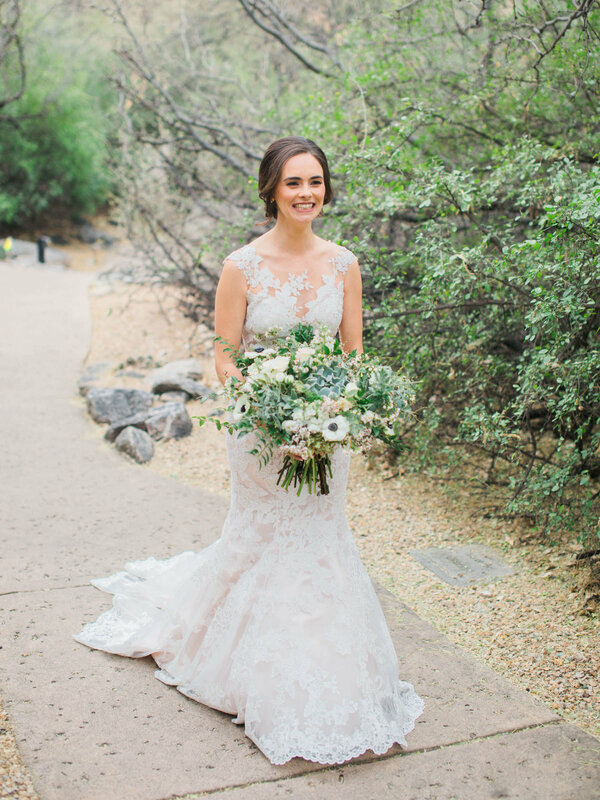 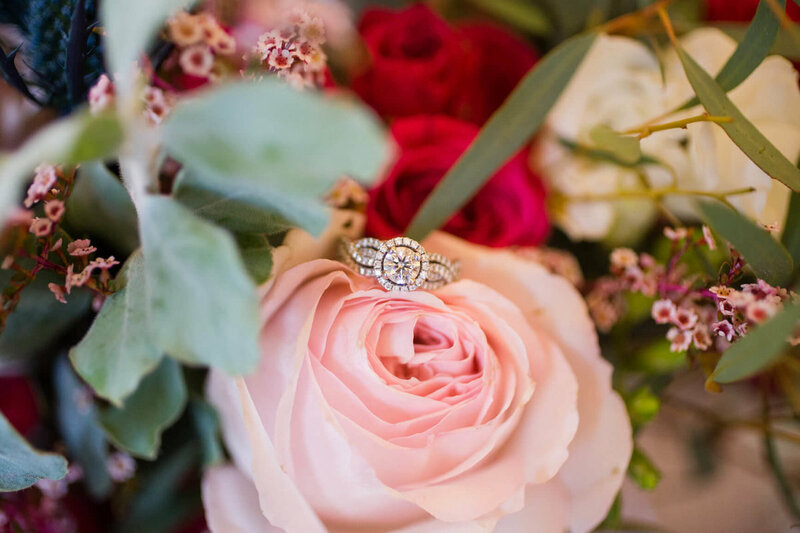 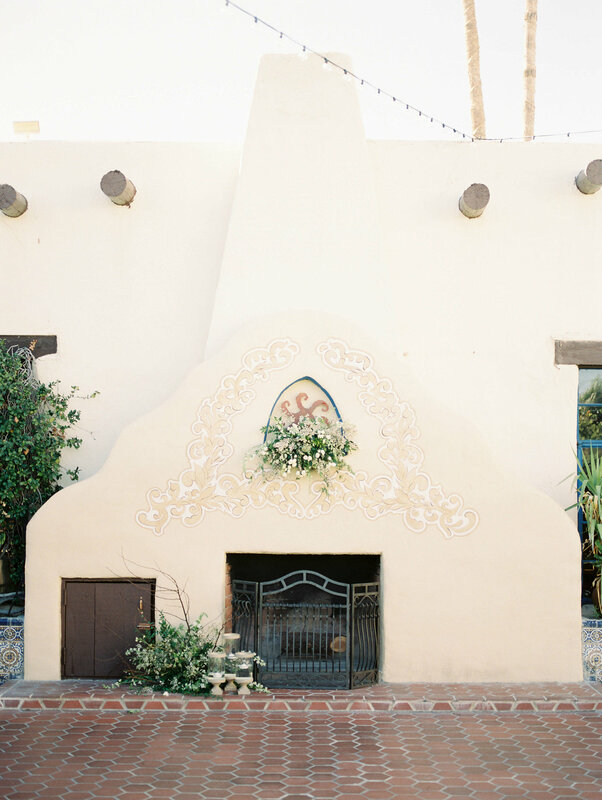 We had initial discussions with other vendors in the Tucson area, but no one came close to providing the care and outstanding professional service offered by Eastland Alley Co. Kimberley was fantastic at asking the right questions and understanding exactly what we desired to make our wedding day absolutely perfect. 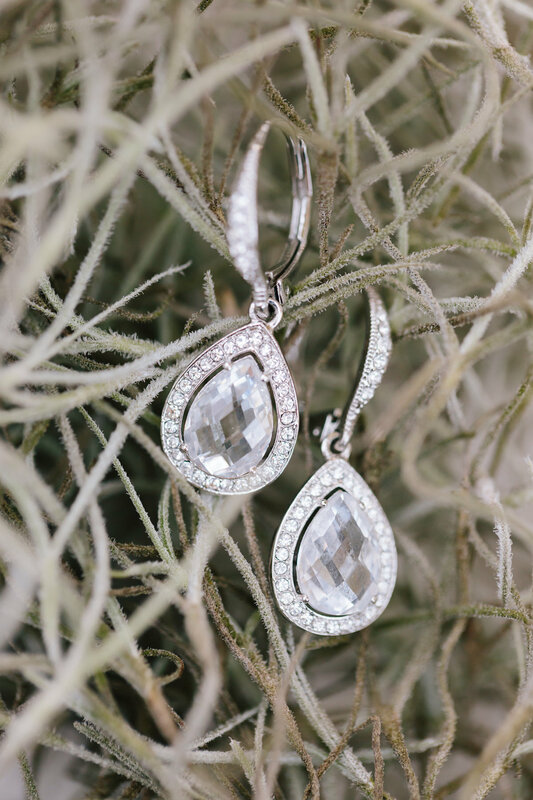 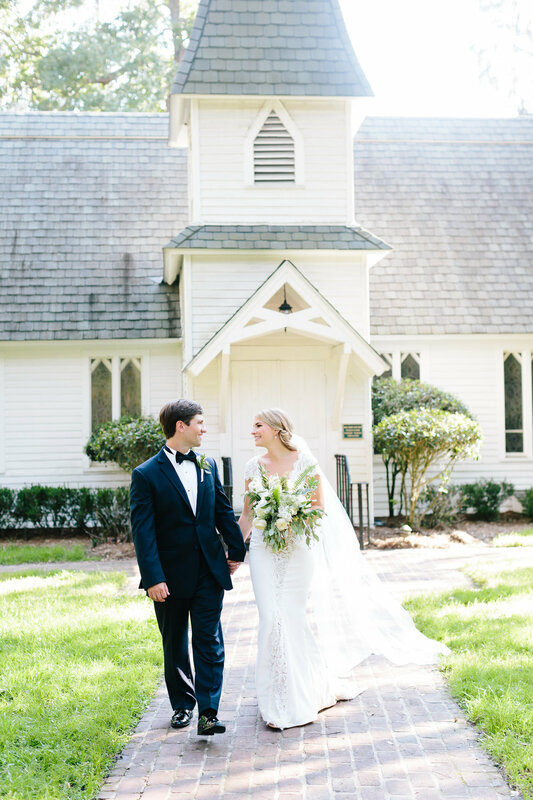 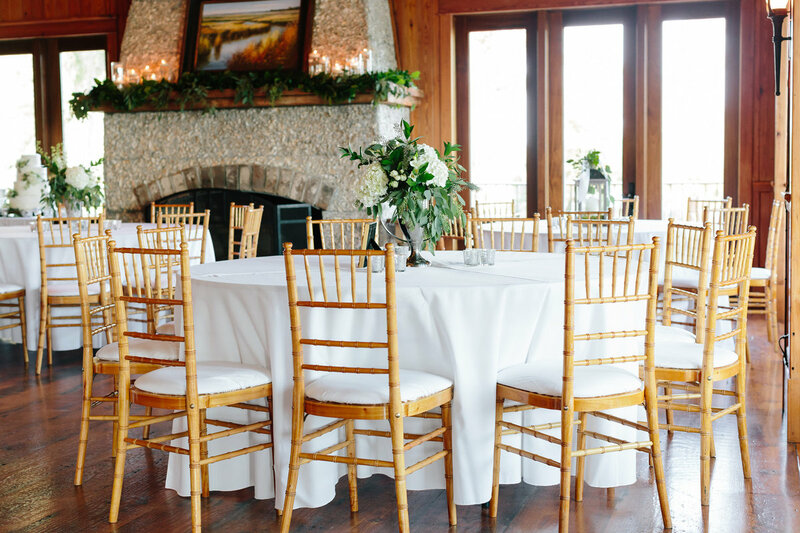 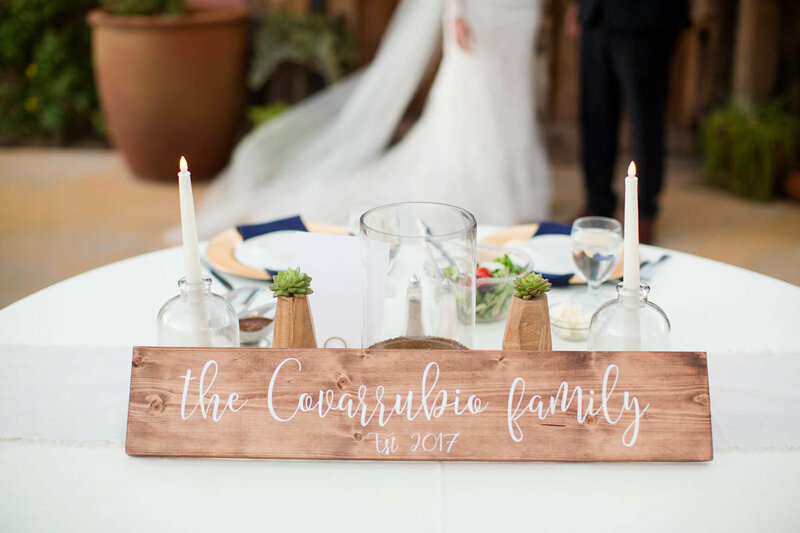 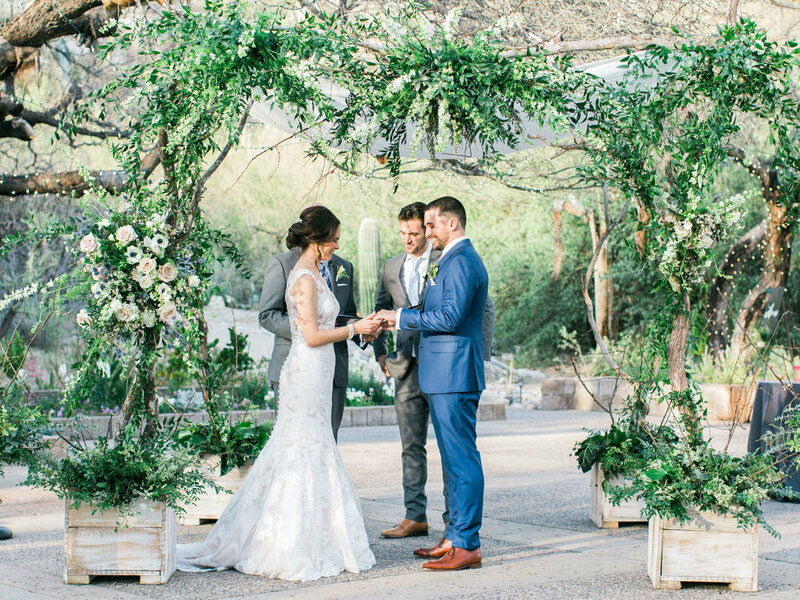 They were both great at providing several options and ideas that helped us along the way with decisions on the final look and feel of the wedding. 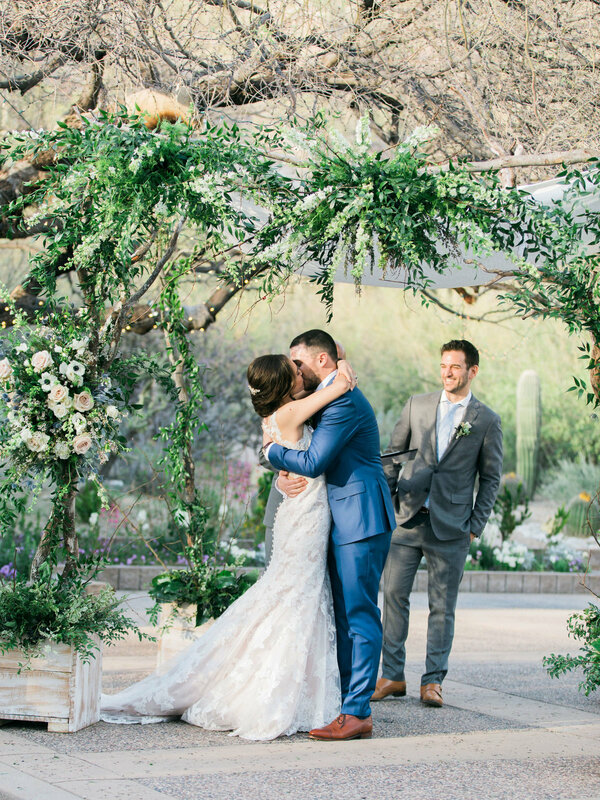 On the day of the wedding, everything was absolutely perfect!! 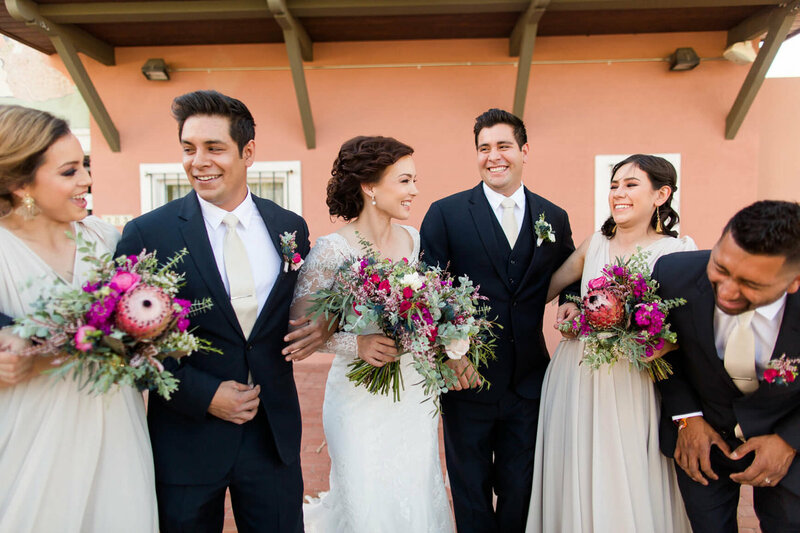 They provided superb service with no issues or problems on that special day; very nice to be stress free on that end! 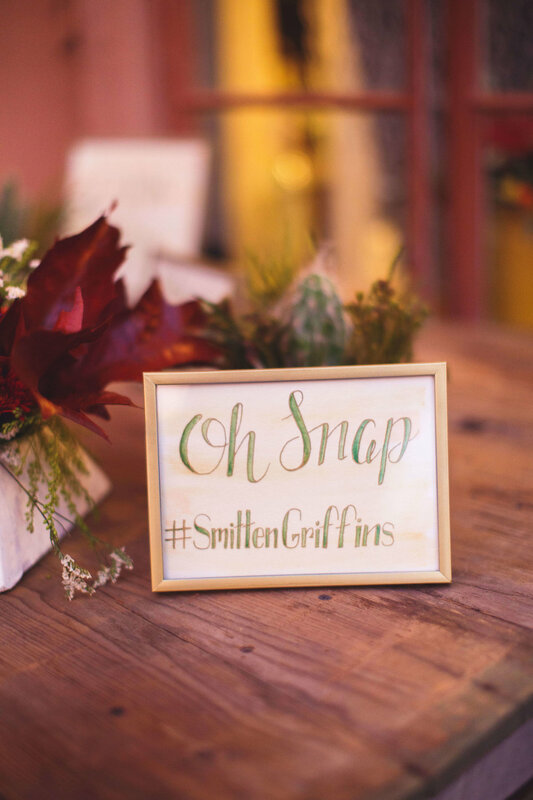 They even had a handcrafted wooden card box created that now has a special place in our home!! 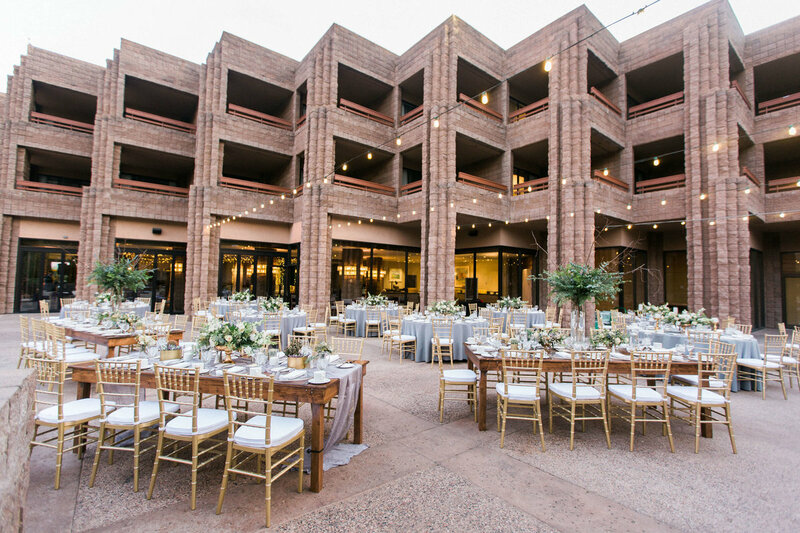 We would hands down recommend Eastland Alley Co. for weddings or other prime events. 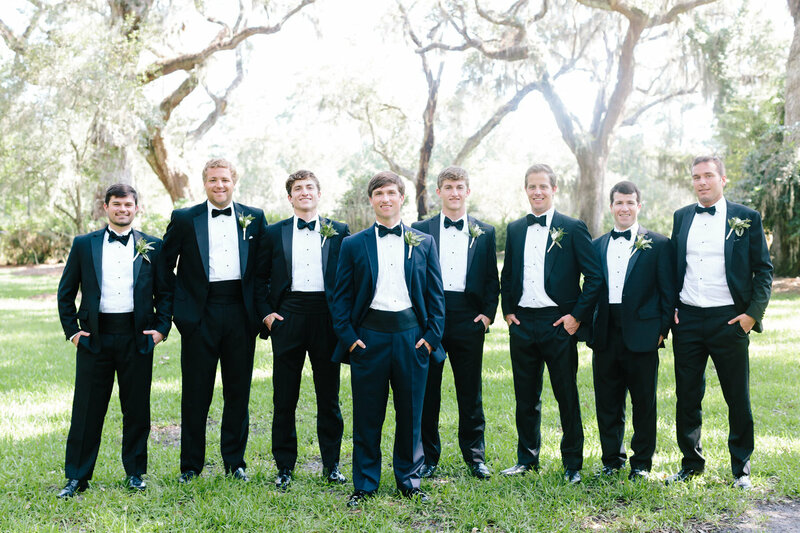 They are the best in class!! 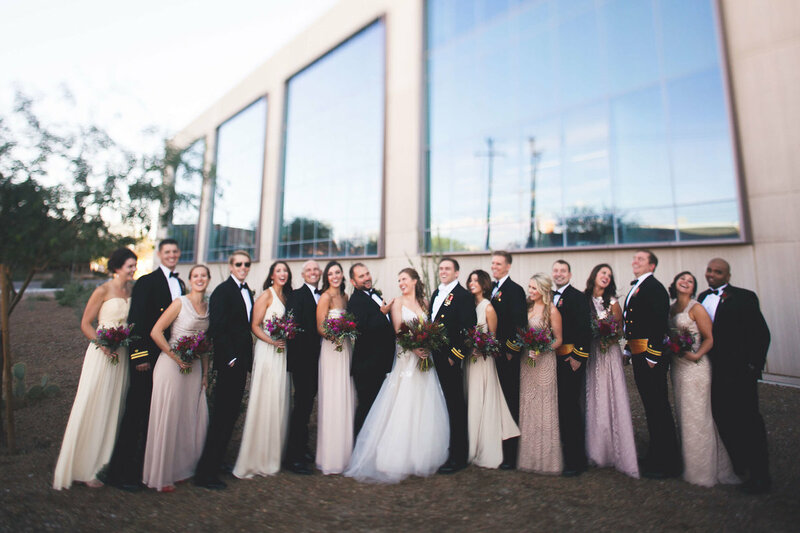 I cannot stress enough how much we loved worked with Eastland Alley Co.! 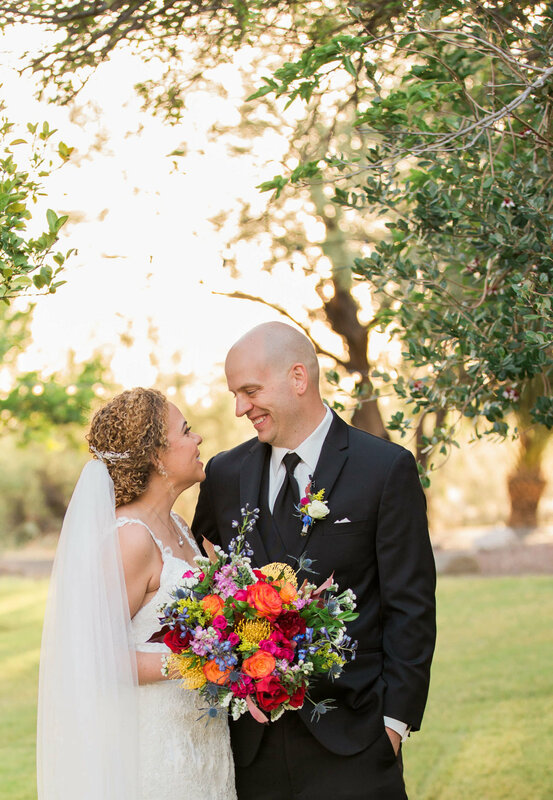 On the day of the wedding, we were truly BLOWN away. 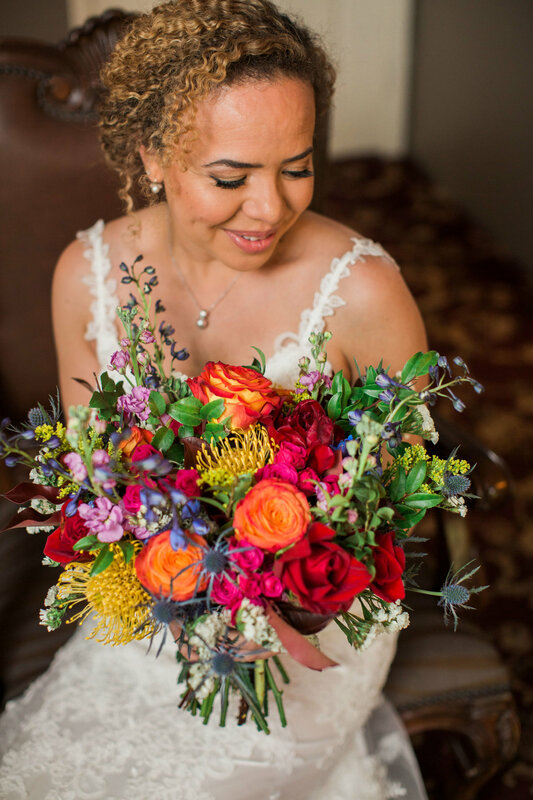 Not only did they remember to incorporate every little detail we had requested, but her and Kimberley's creations were downright gorgeous. 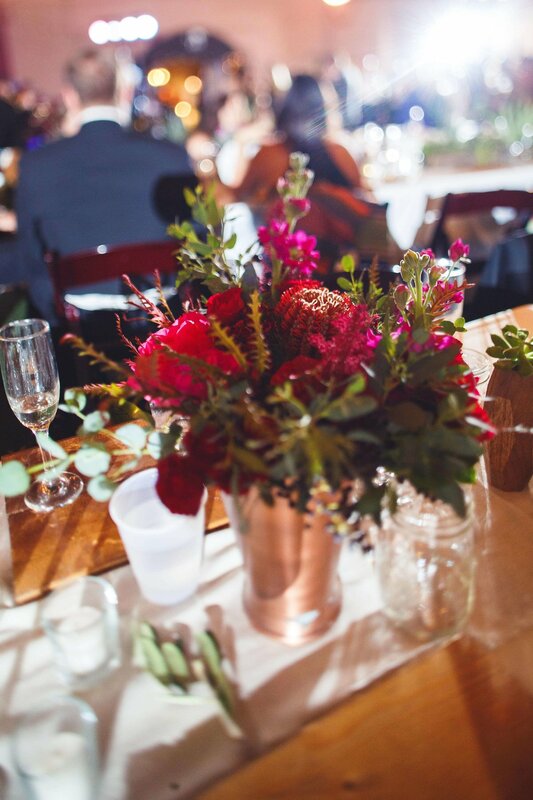 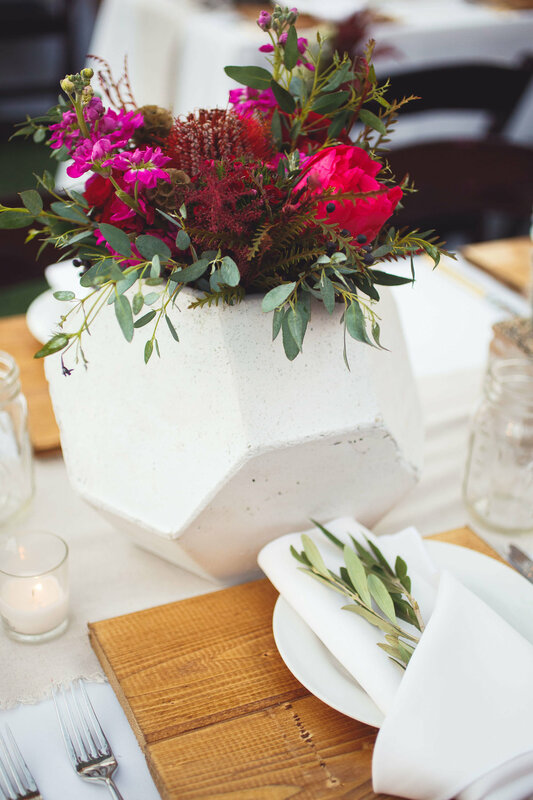 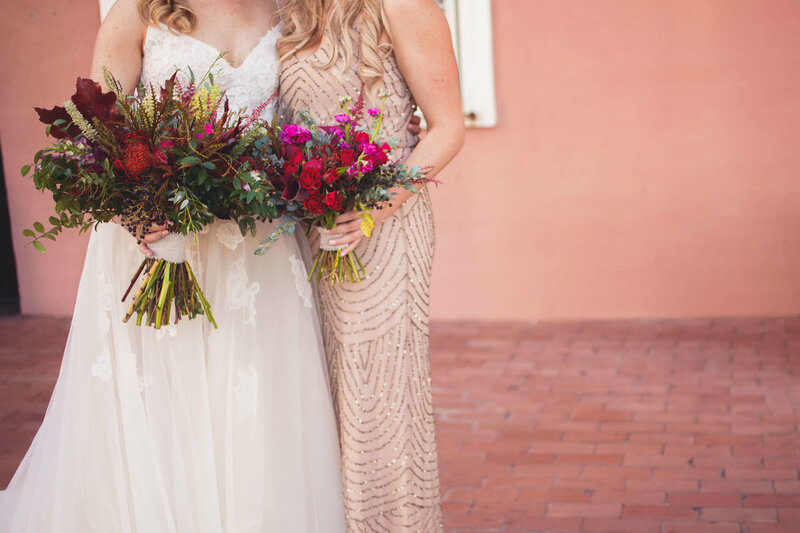 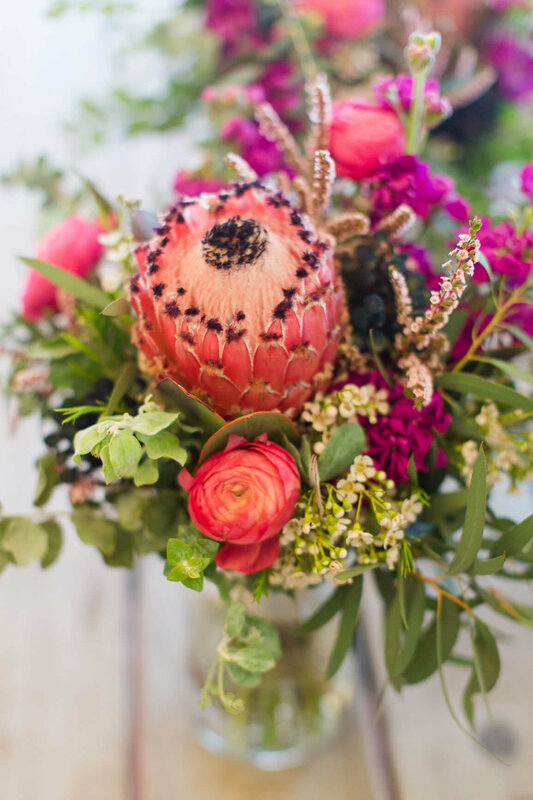 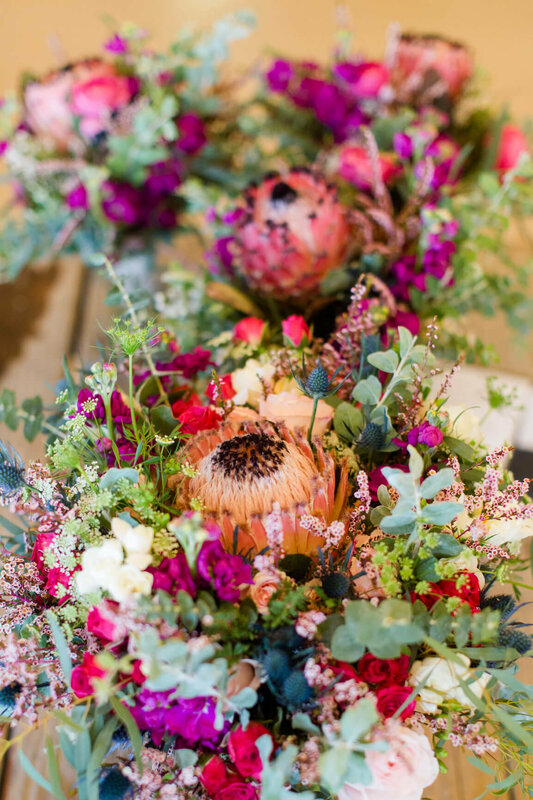 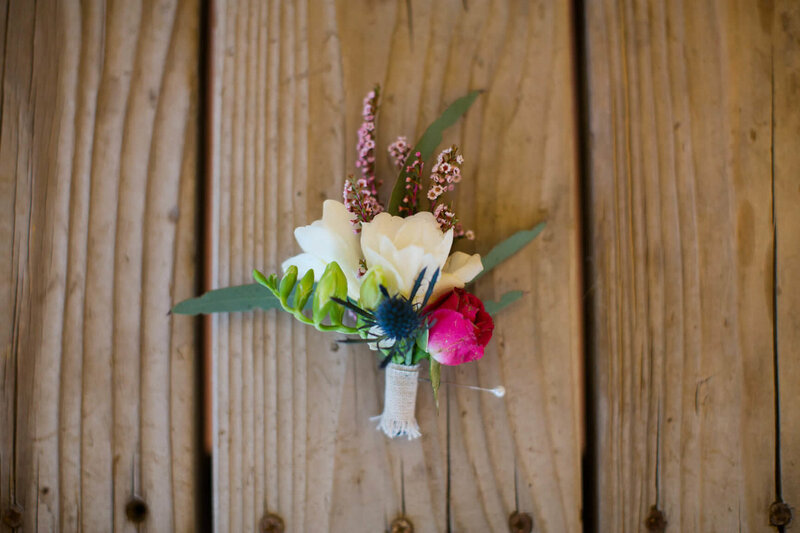 My bridesmaids could not stop gushing about their bouquets (and that they each got to have a protea in them), but my guests also said they were the most beautiful centerpieces they had ever seen at a wedding. 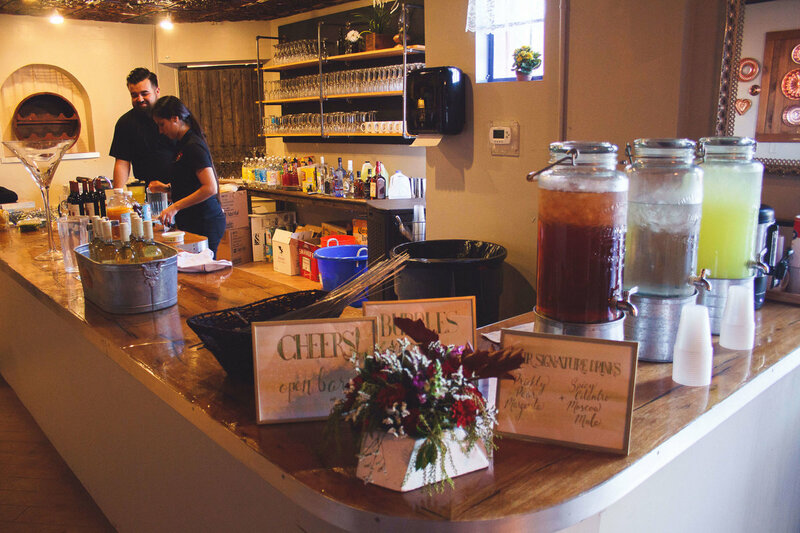 However, what really set Eastland Alley Co. apart for us was their customer service. 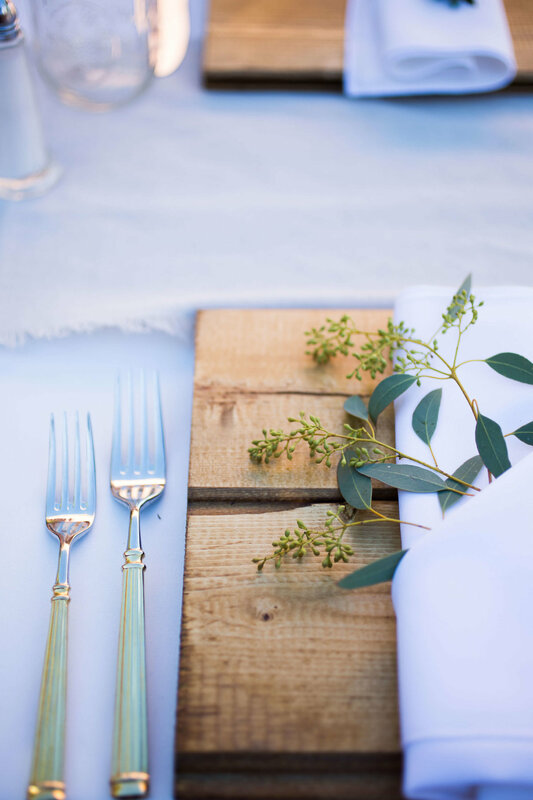 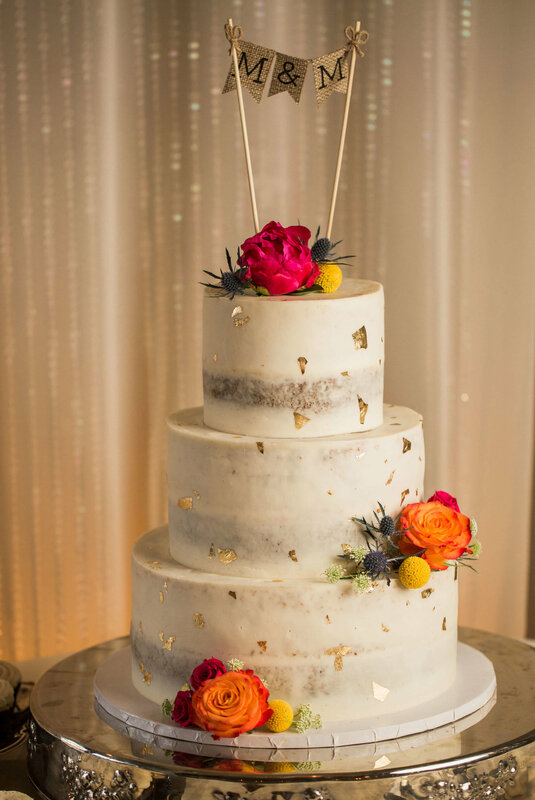 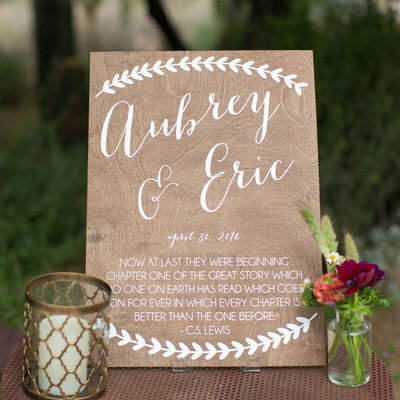 I was freaking out a few days before the wedding because I could not find gold menu/table holders at any store in town and it was too late to order them online. 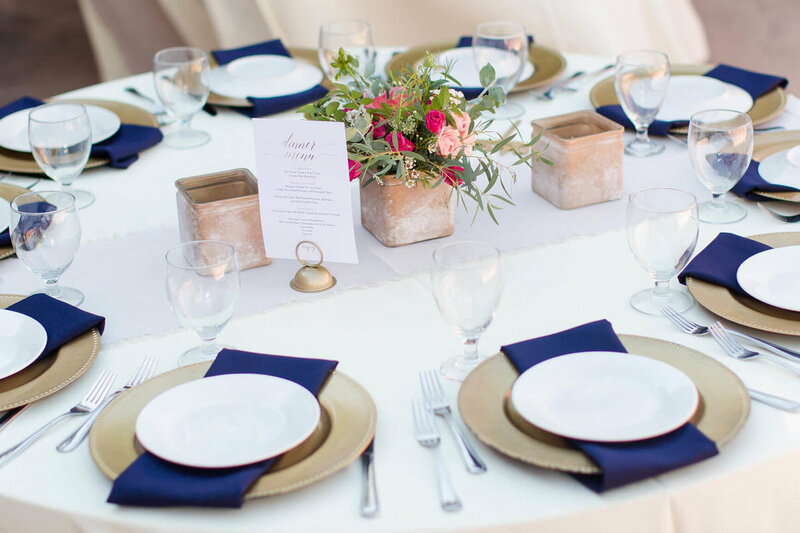 When I ended up reaching out to them, Theresa kindly offered to alter their set so they would match our decor - she was a true lifesaver! 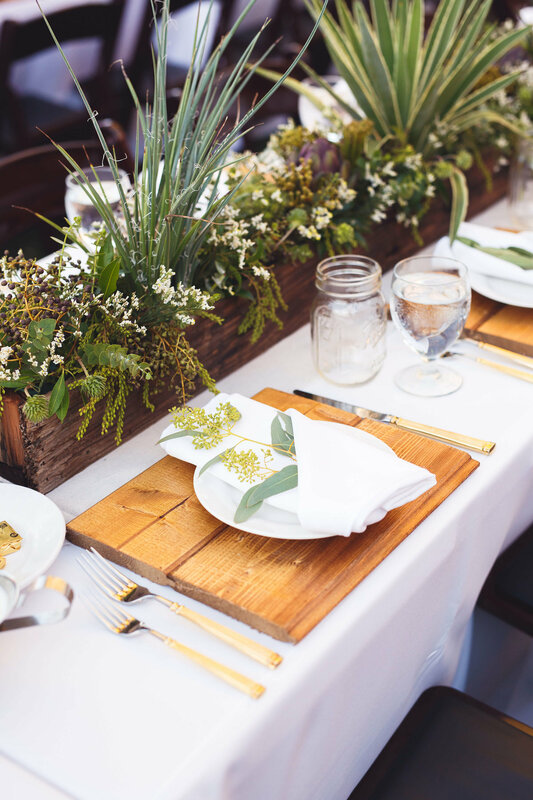 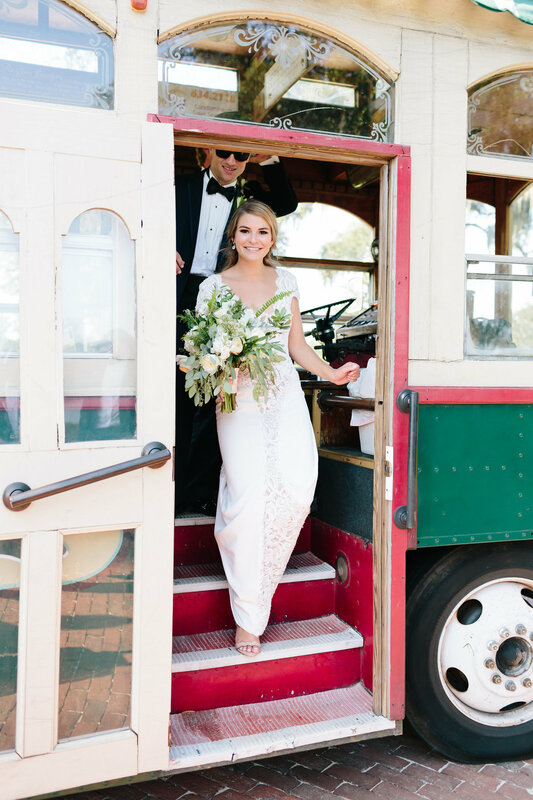 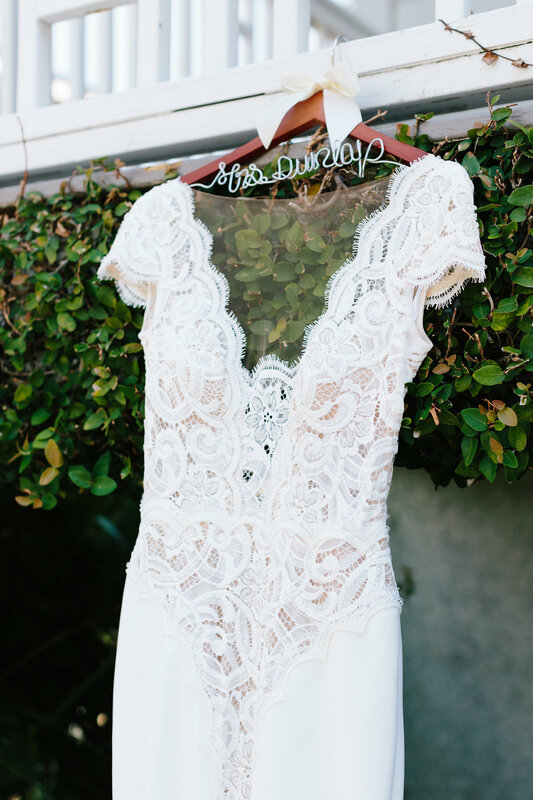 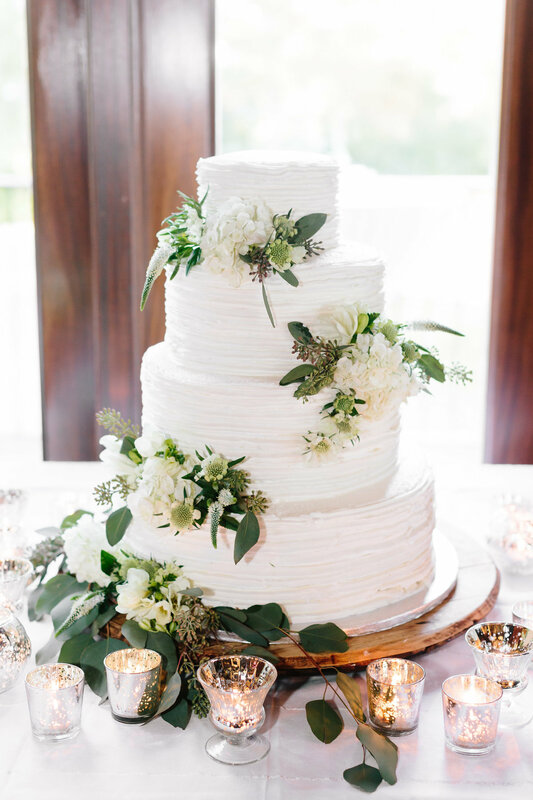 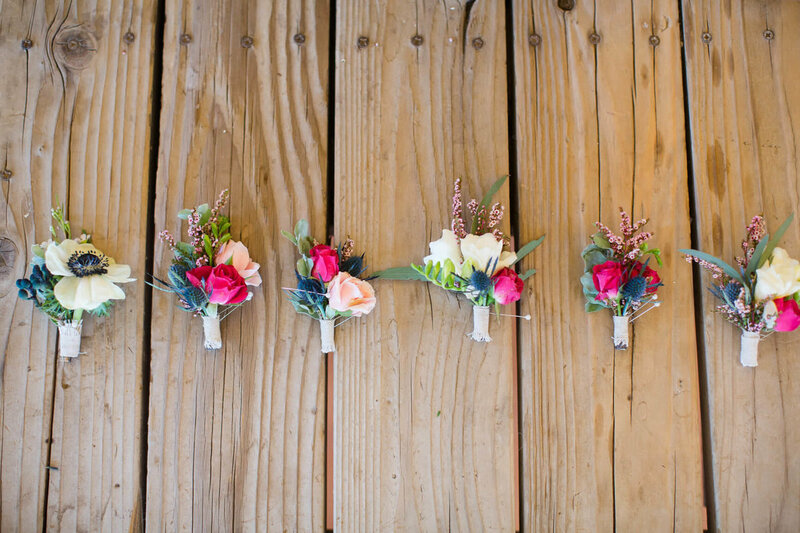 Eastland Alley Co. was seriously one of the BEST parts about our wedding and we would wholeheartedly recommend them to any bride for their special day! 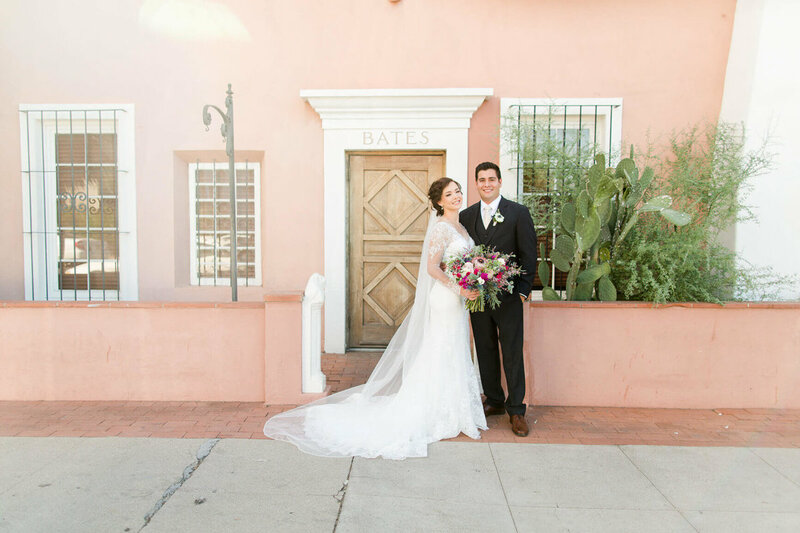 Eastland Alley made our wedding more beautiful than I could have imagined. 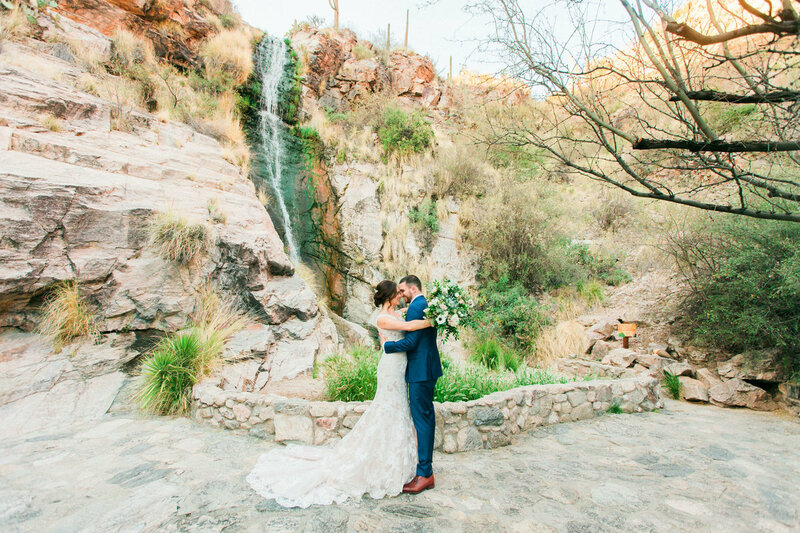 They exceeded all of our expectations. 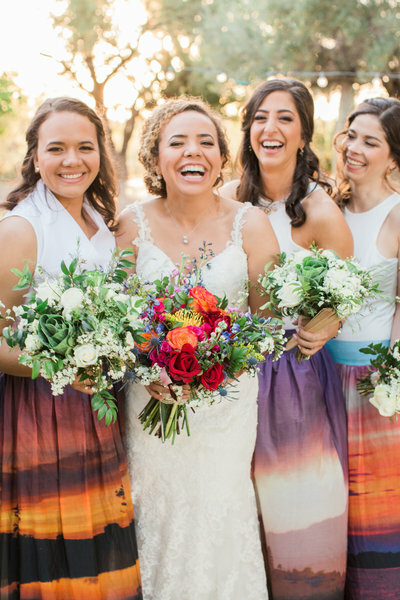 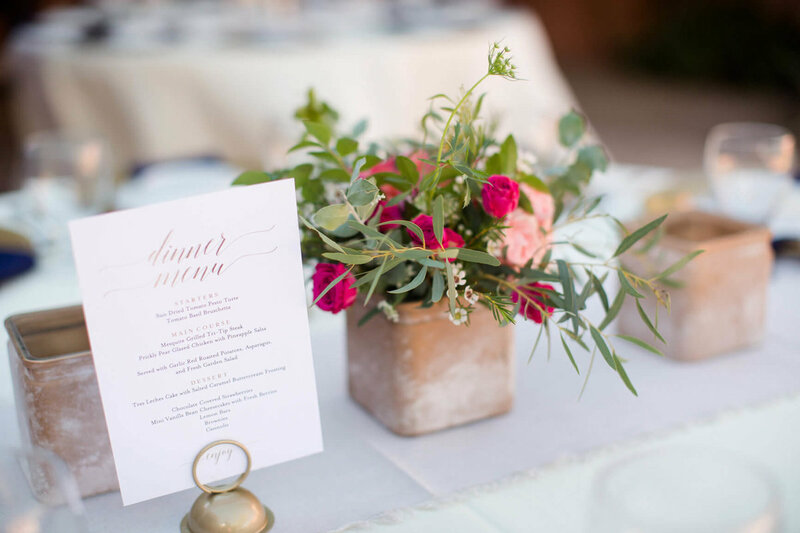 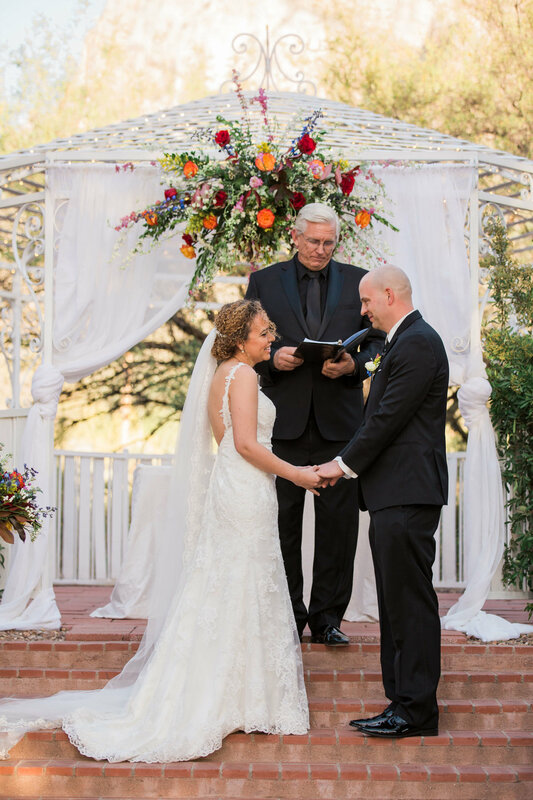 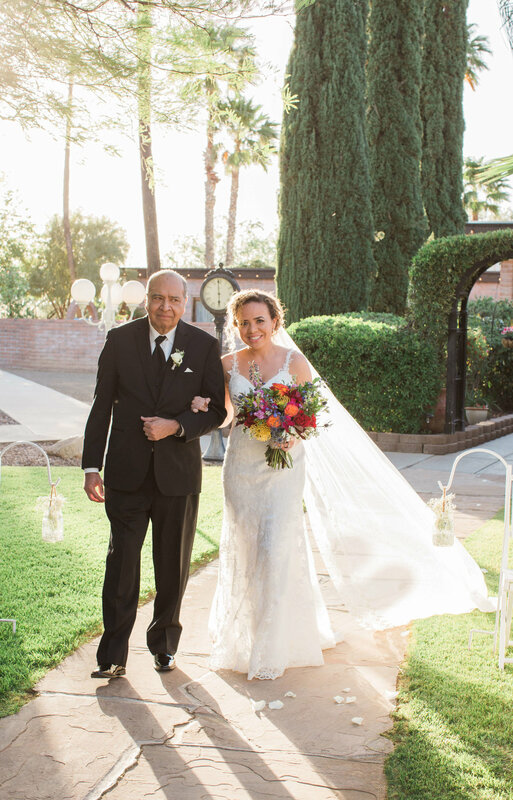 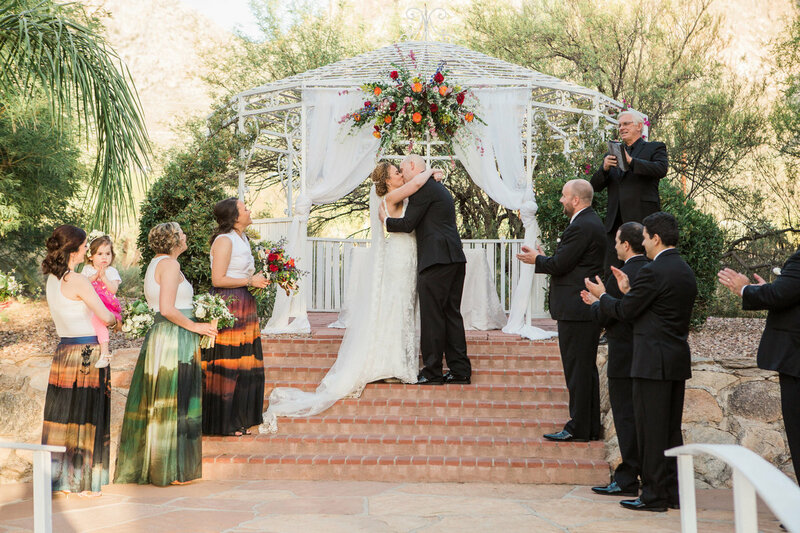 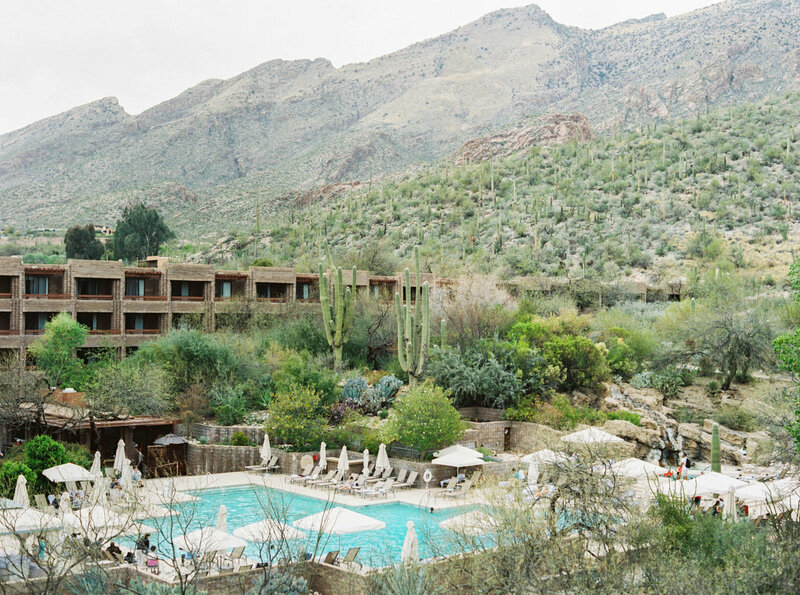 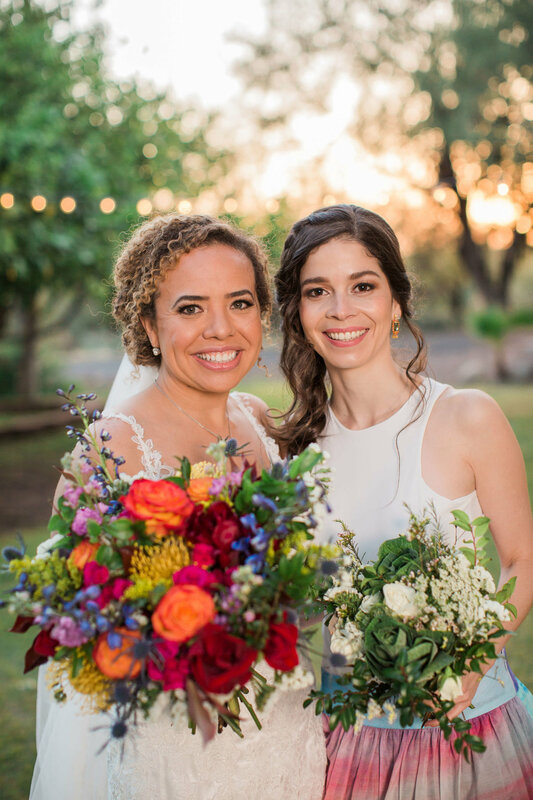 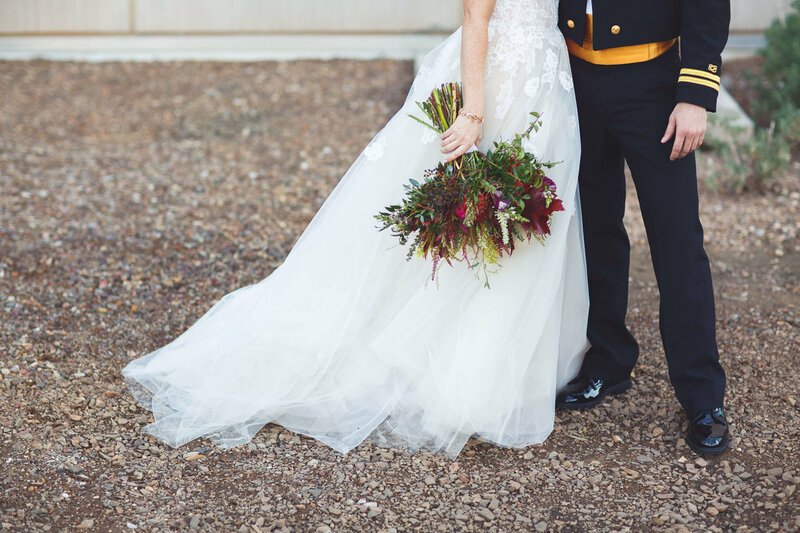 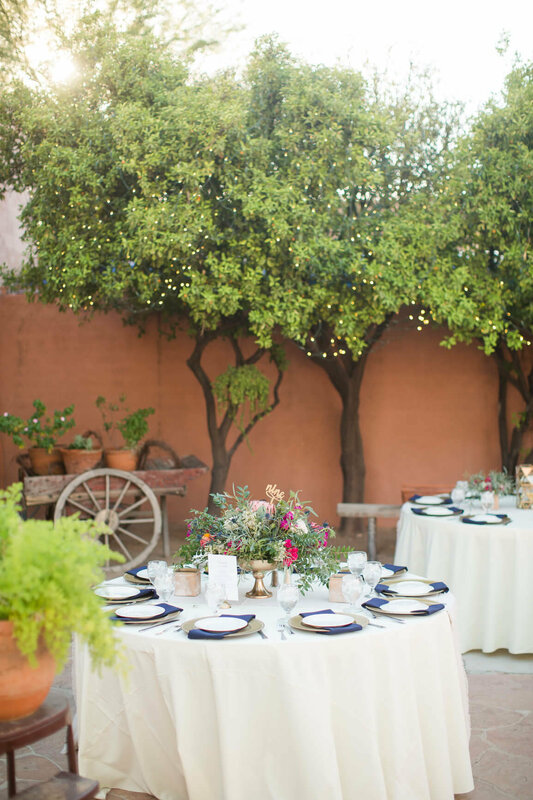 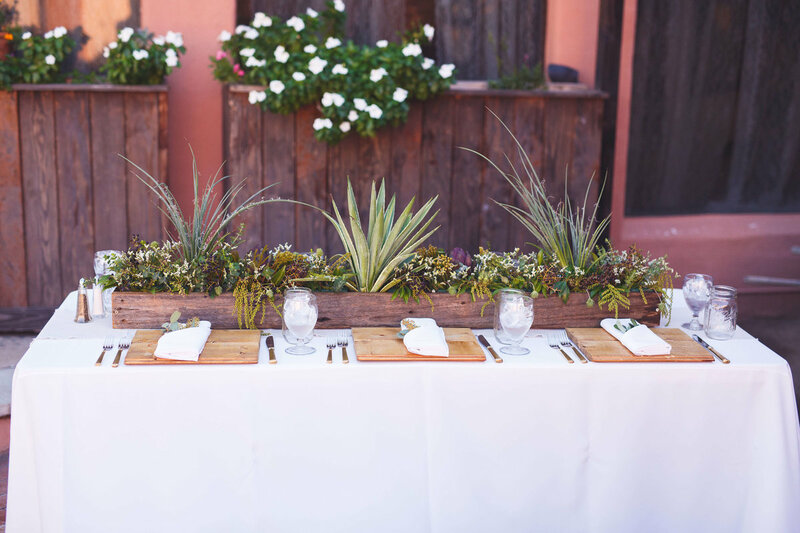 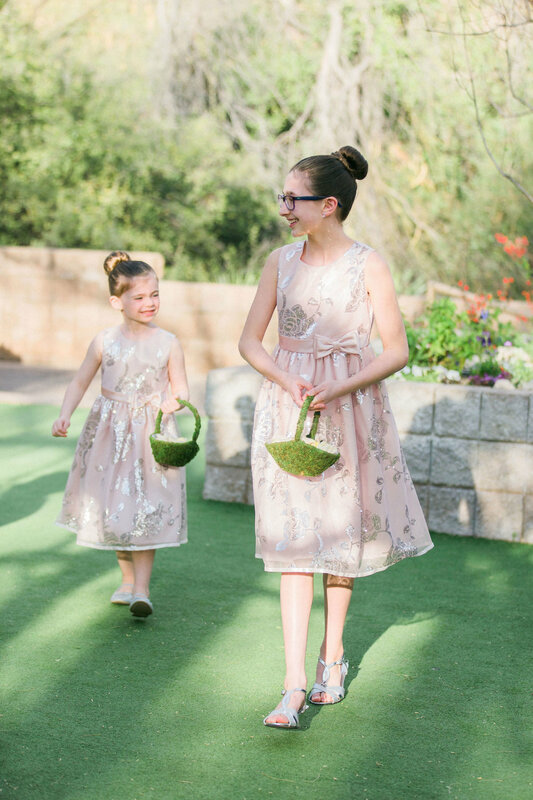 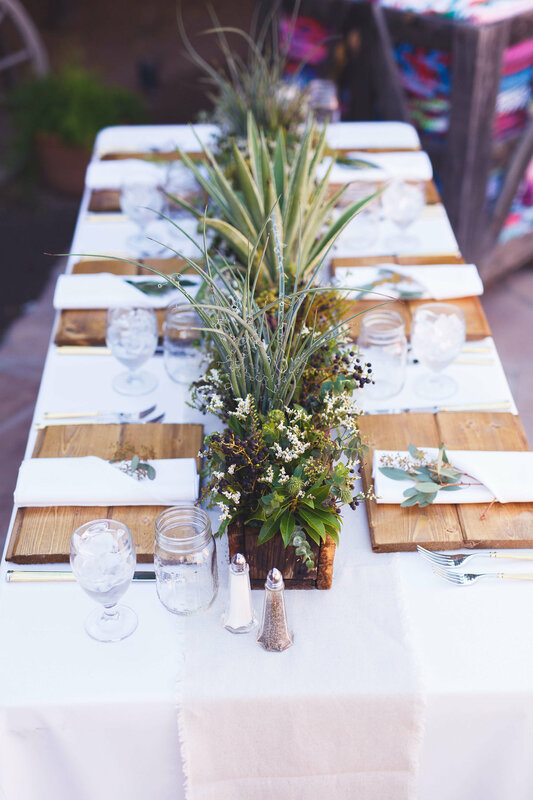 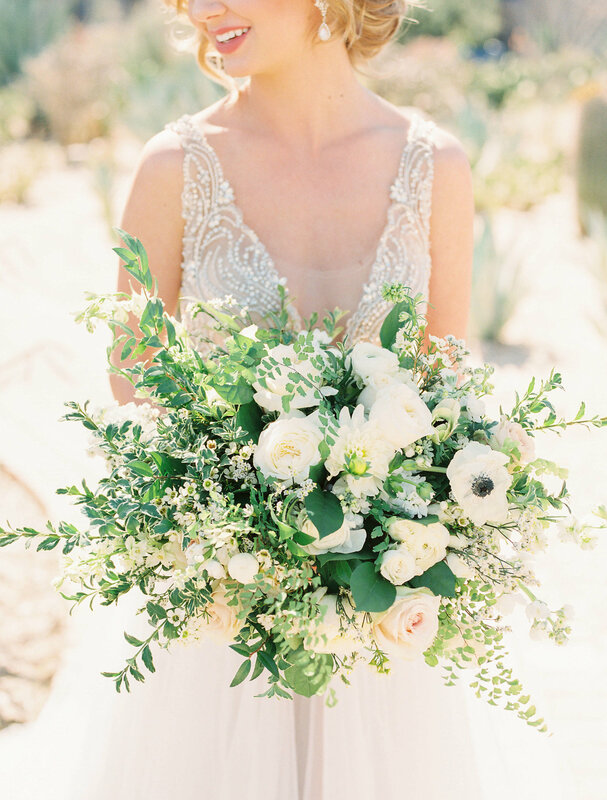 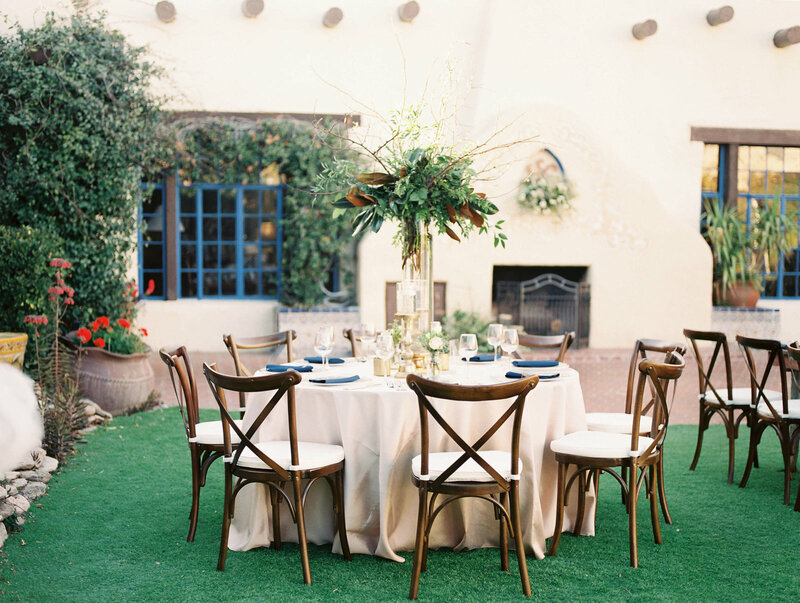 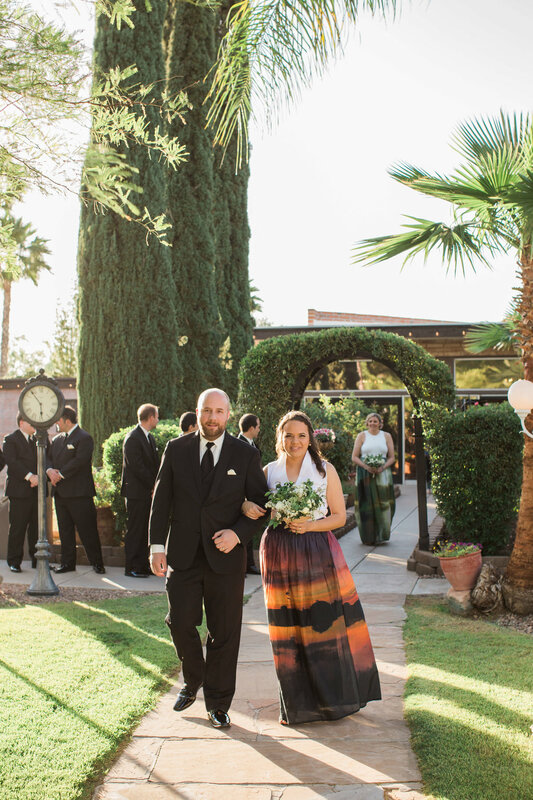 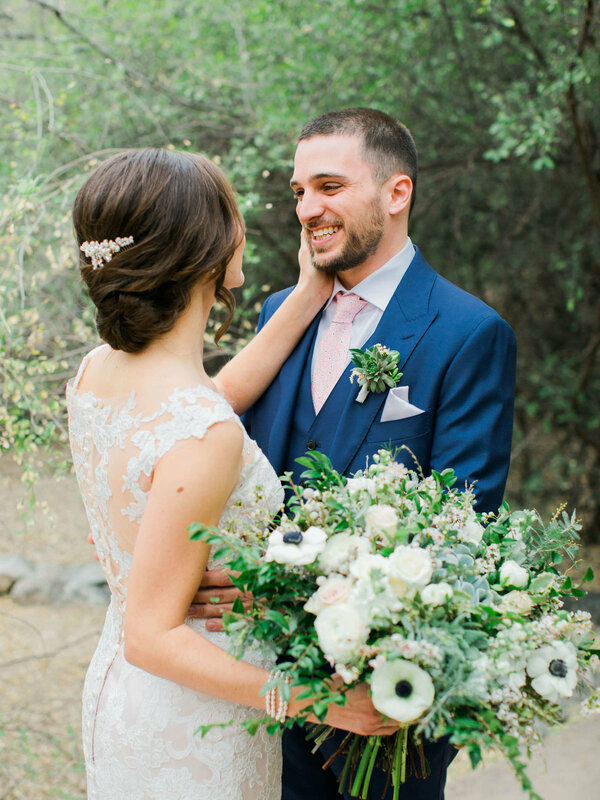 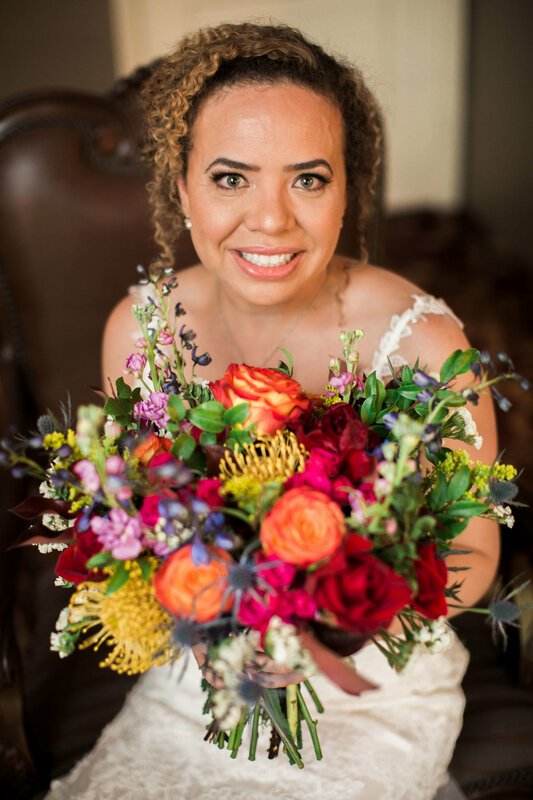 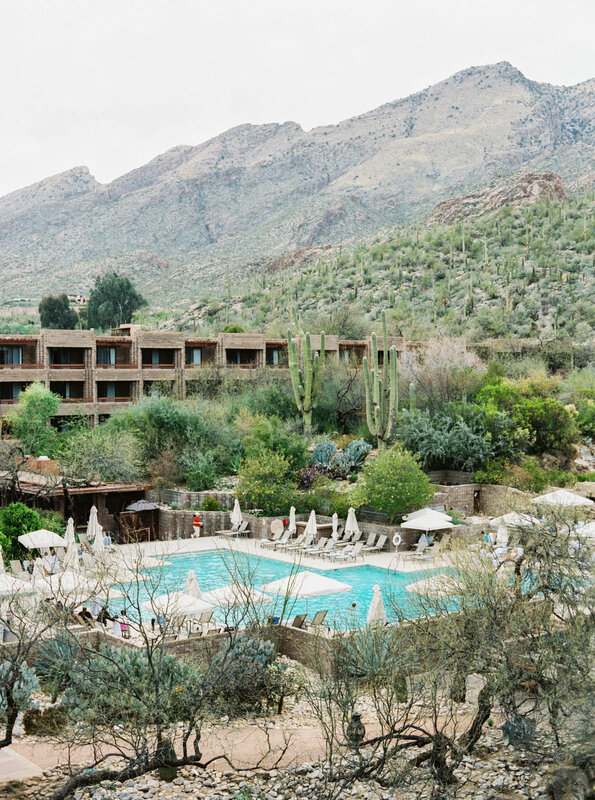 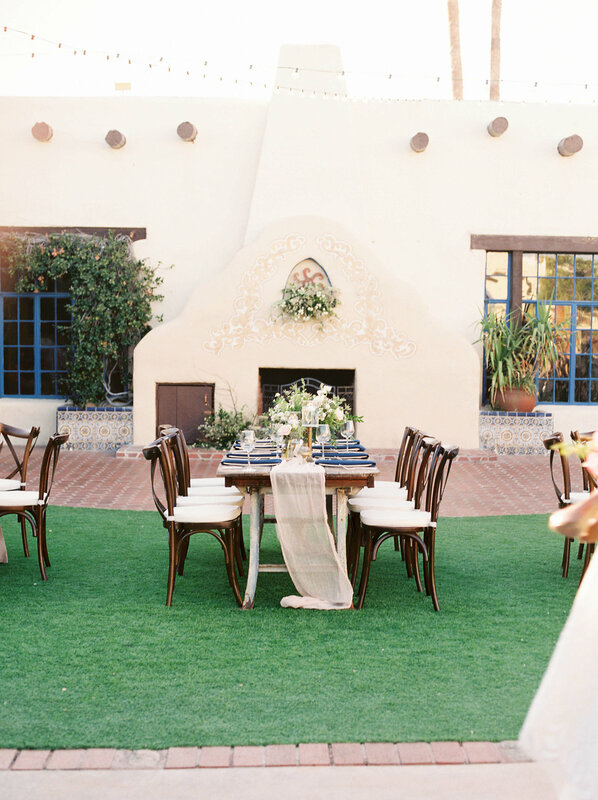 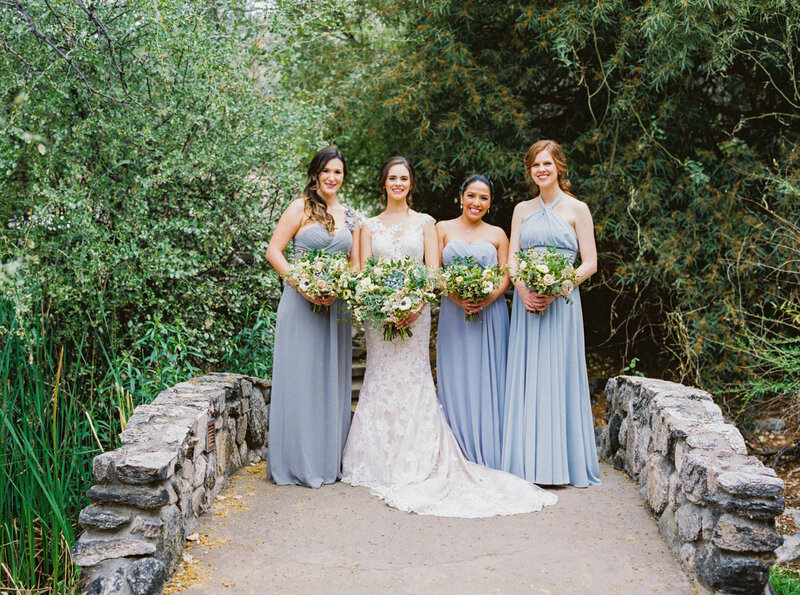 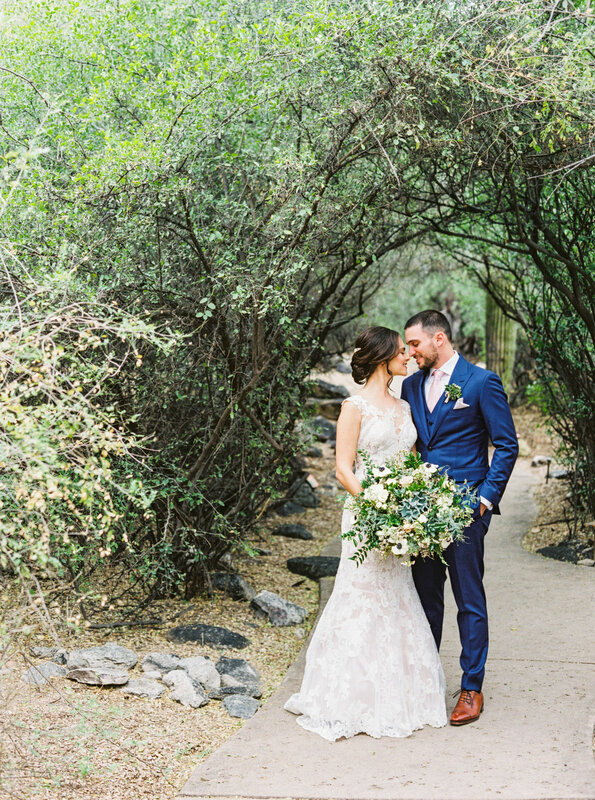 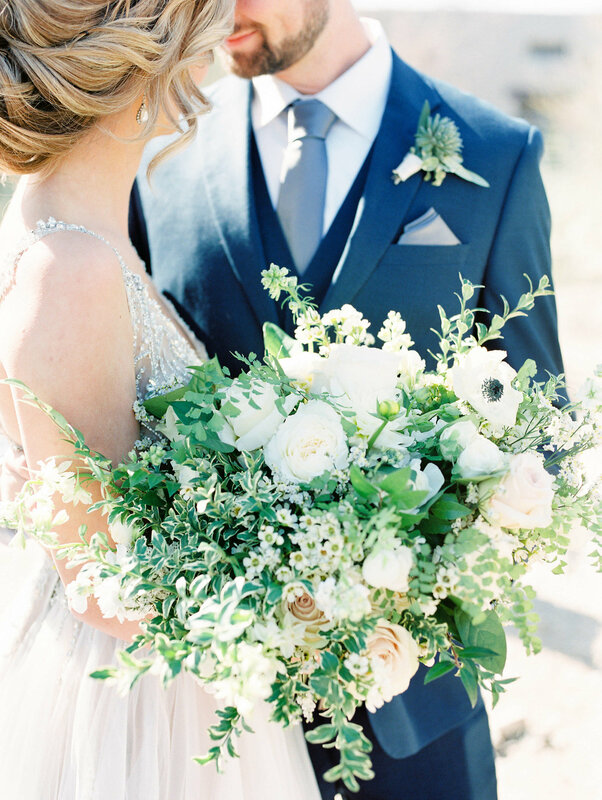 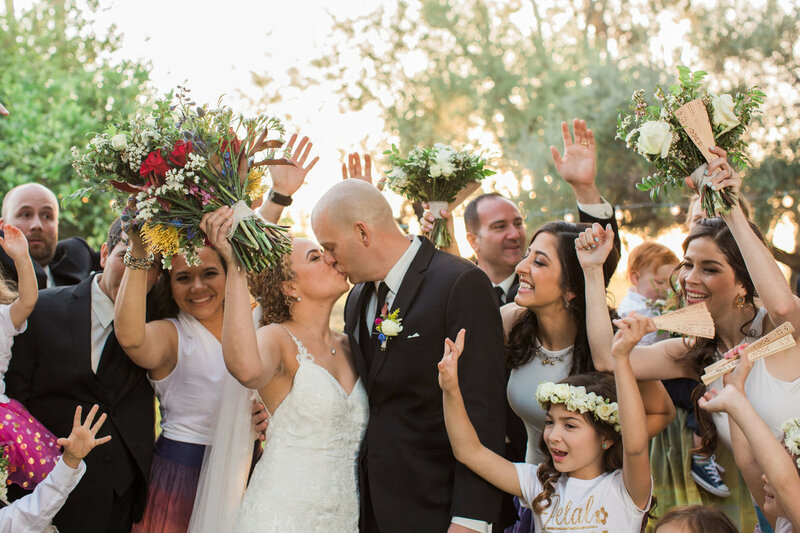 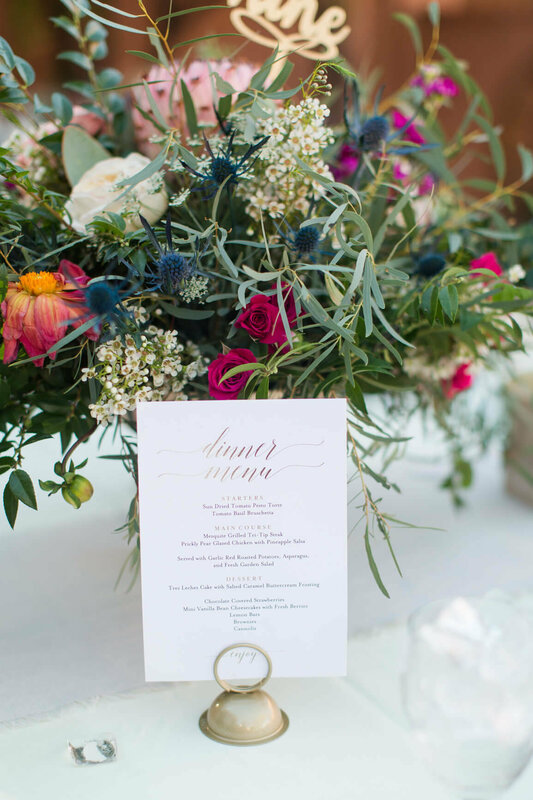 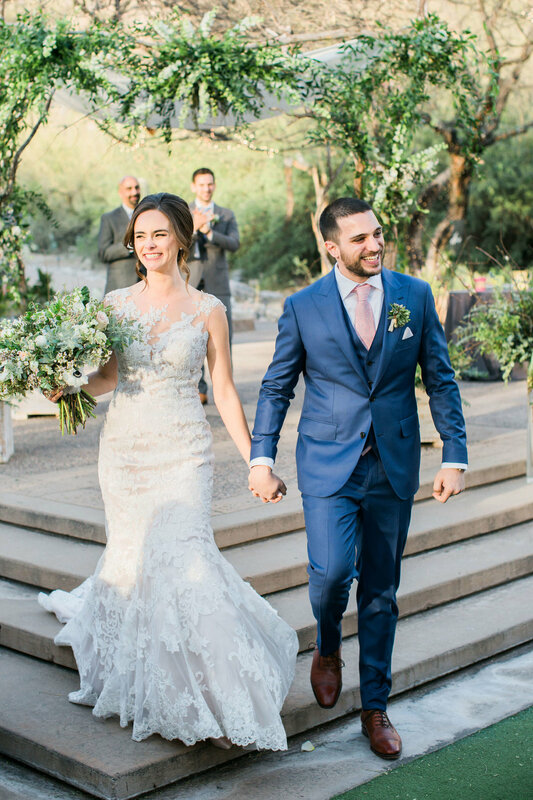 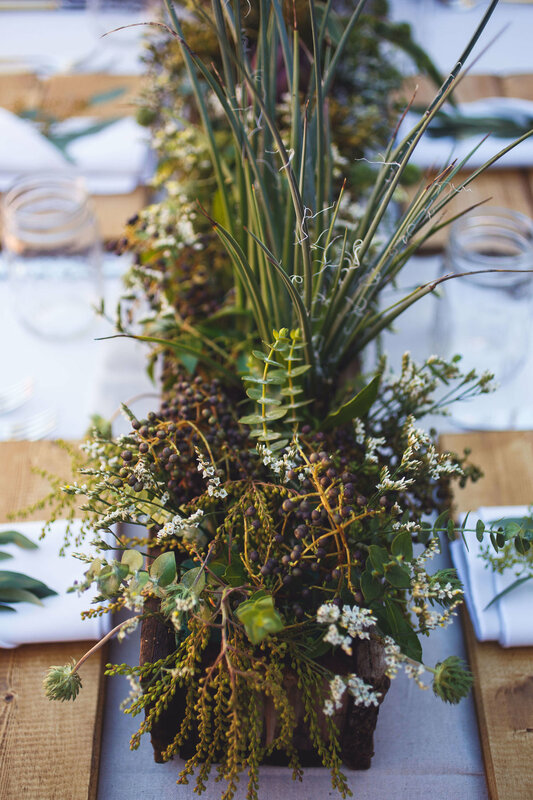 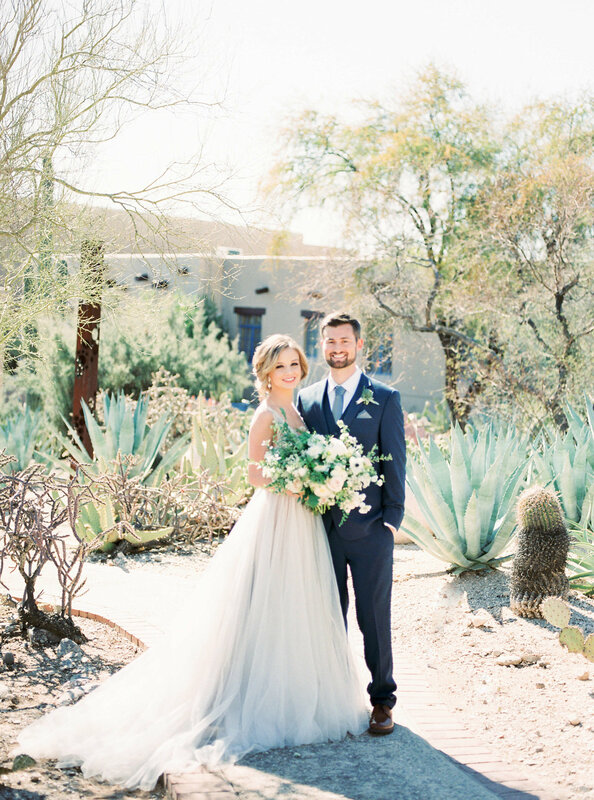 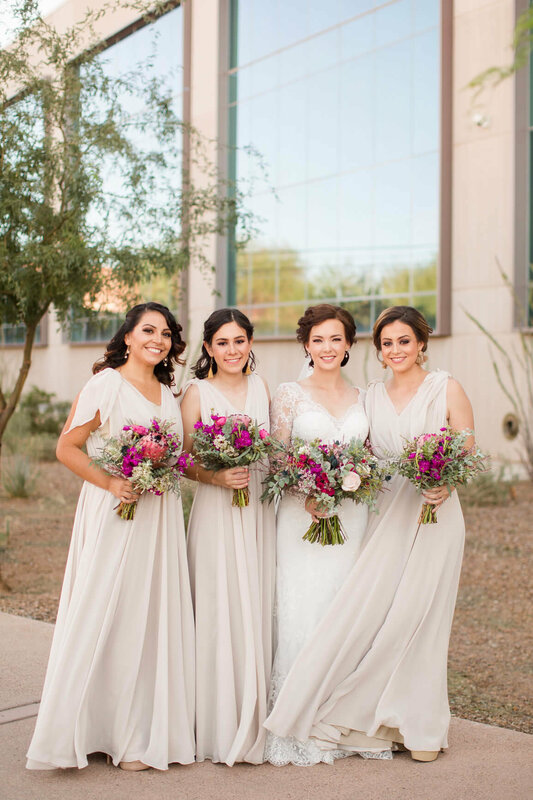 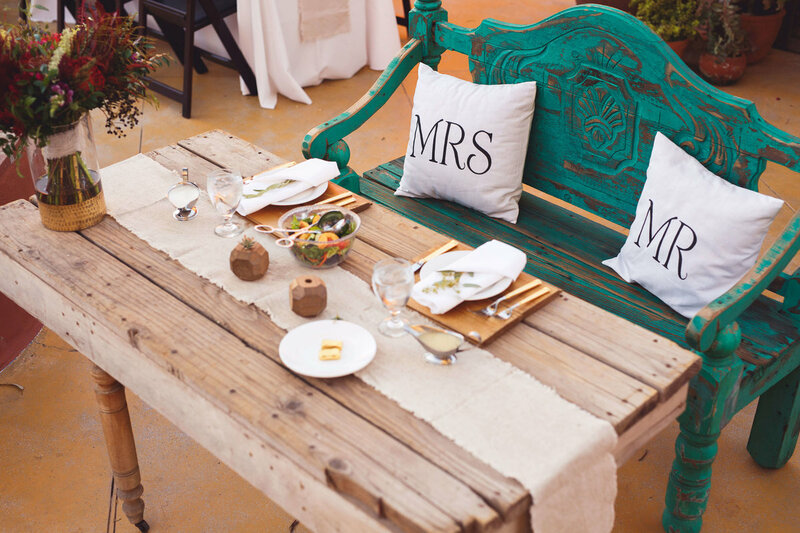 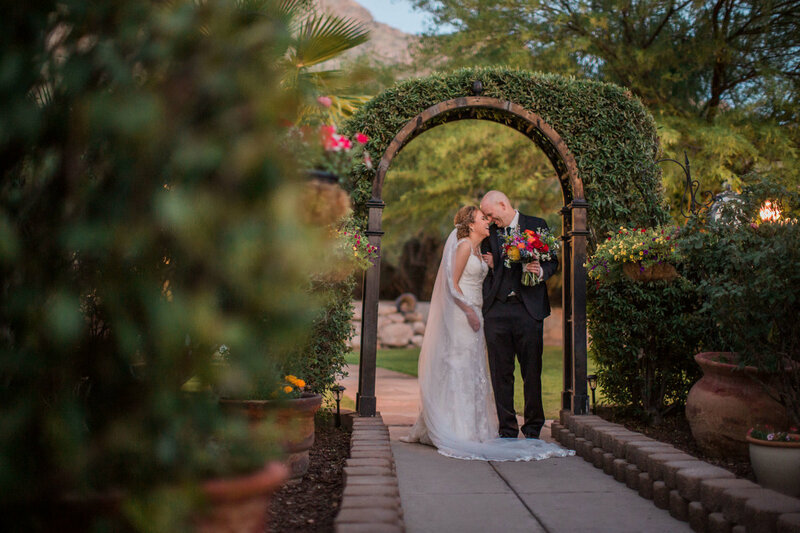 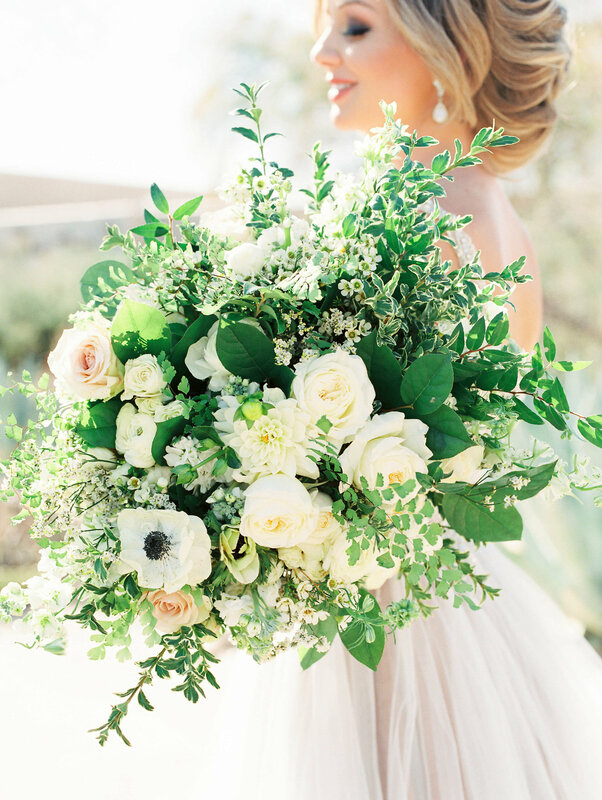 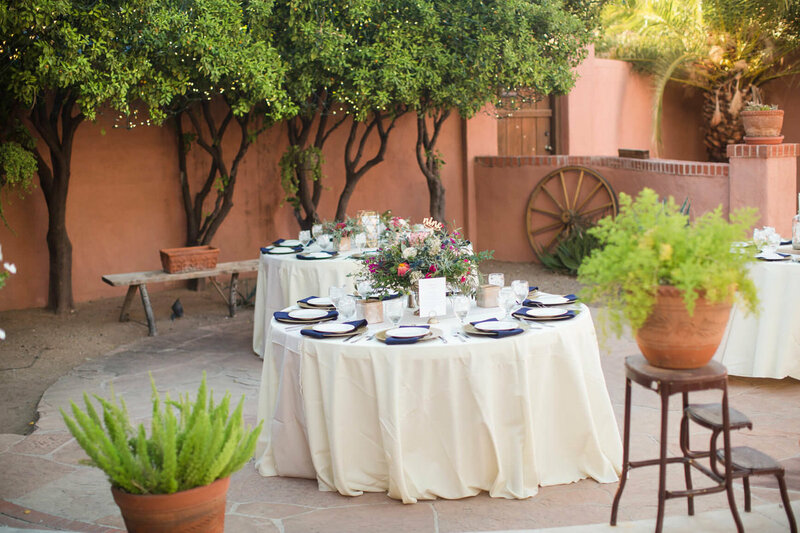 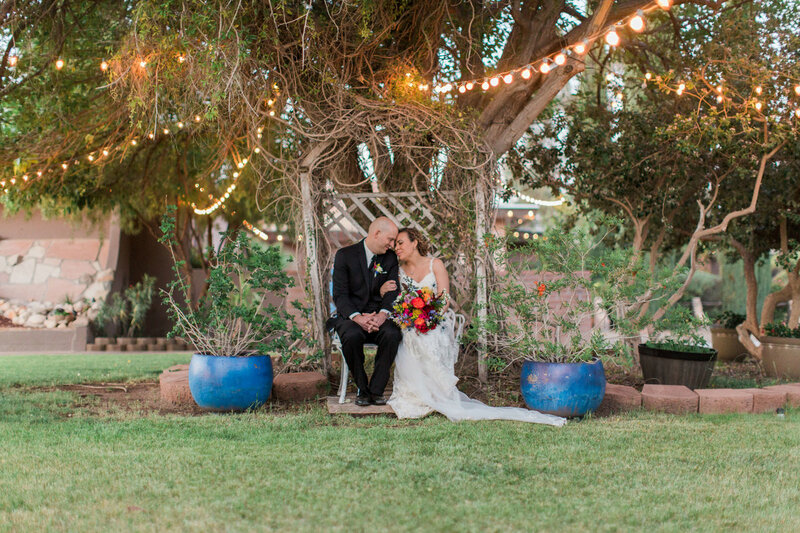 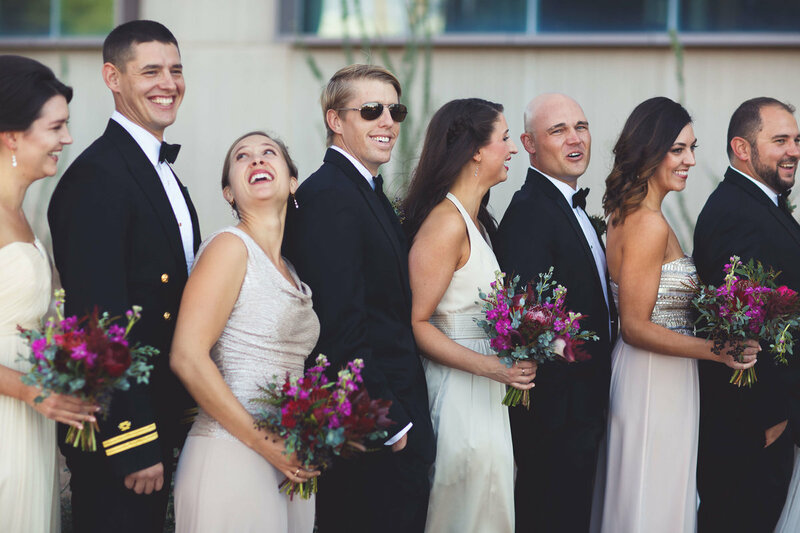 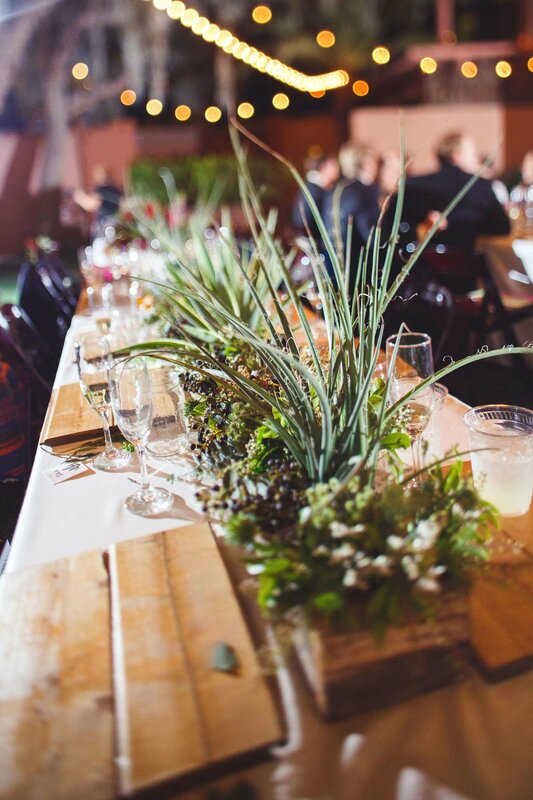 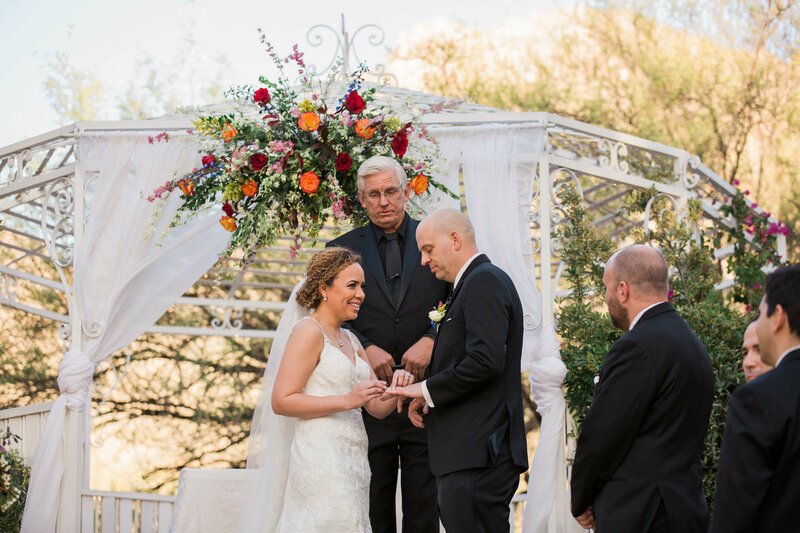 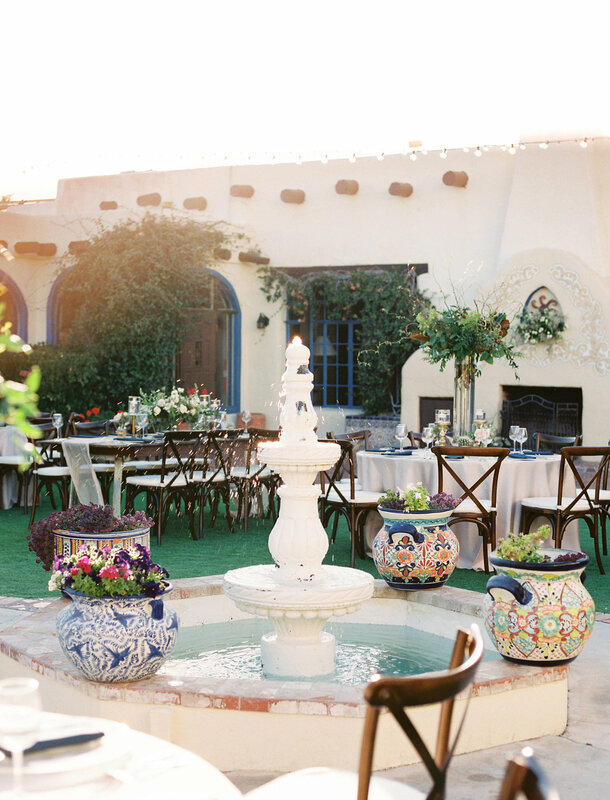 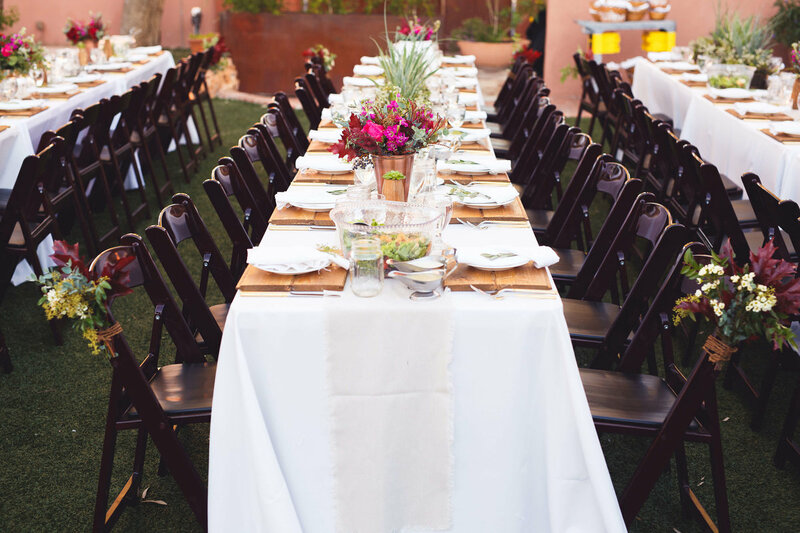 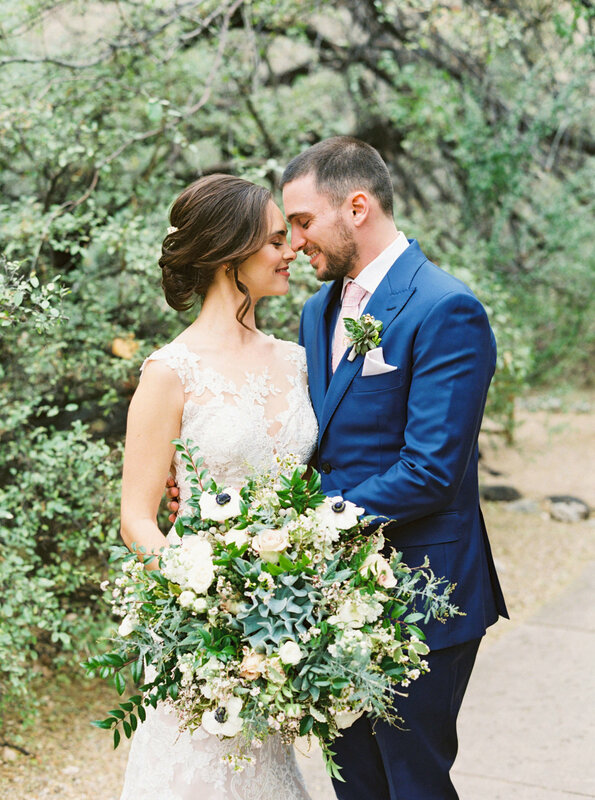 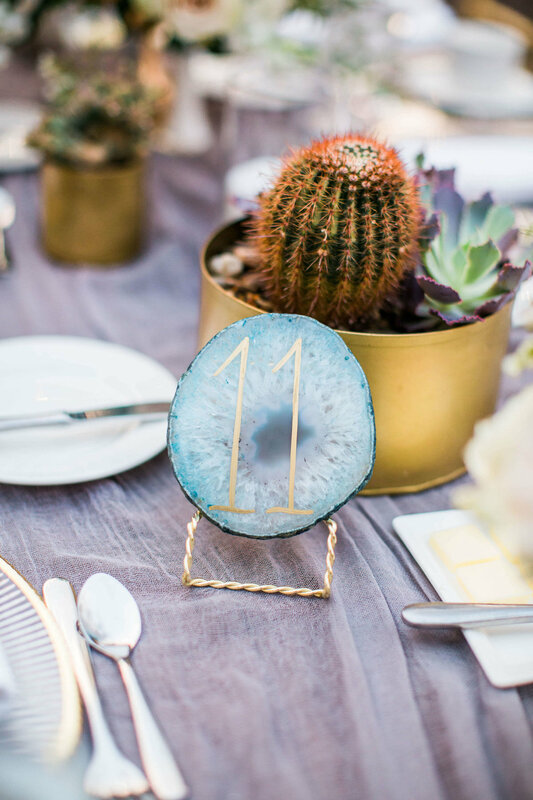 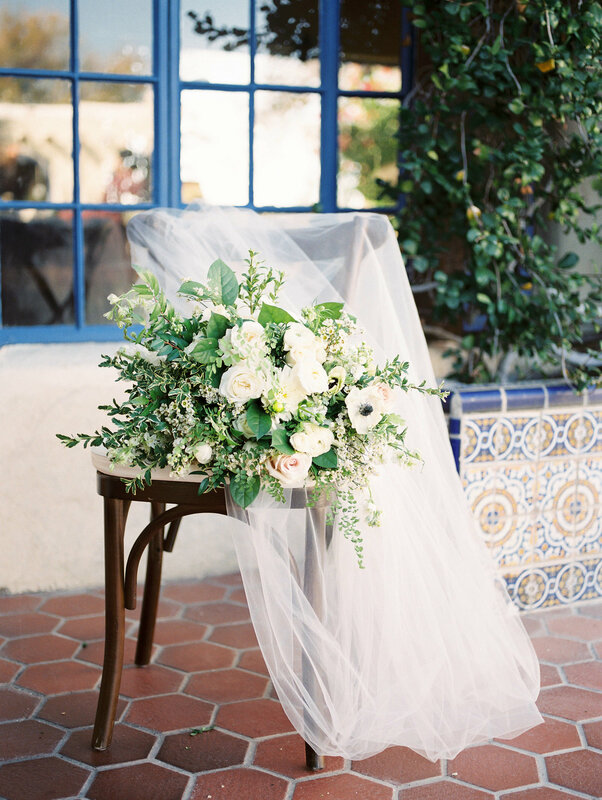 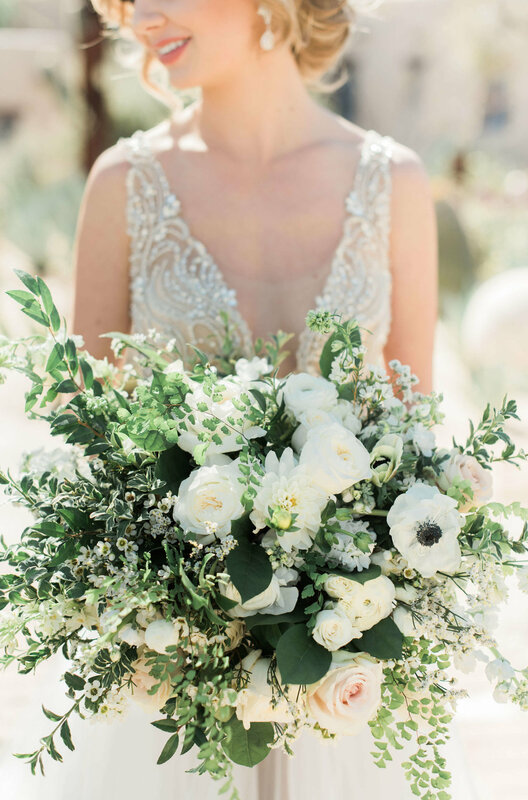 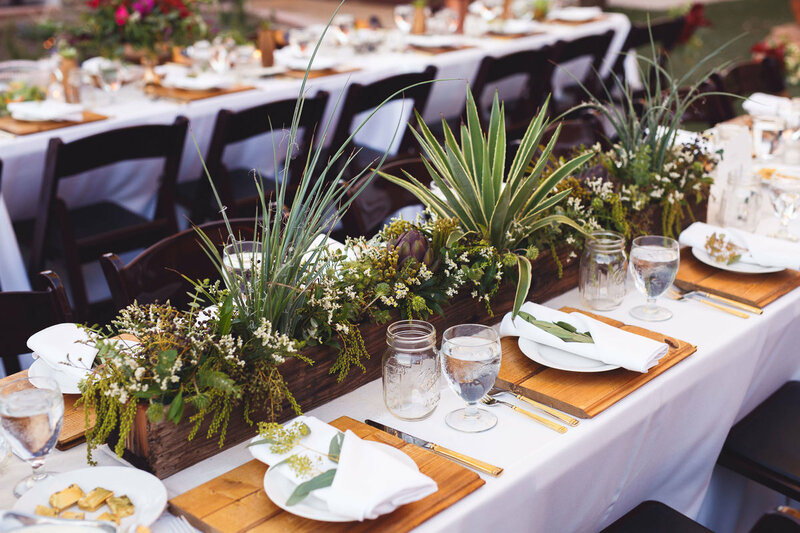 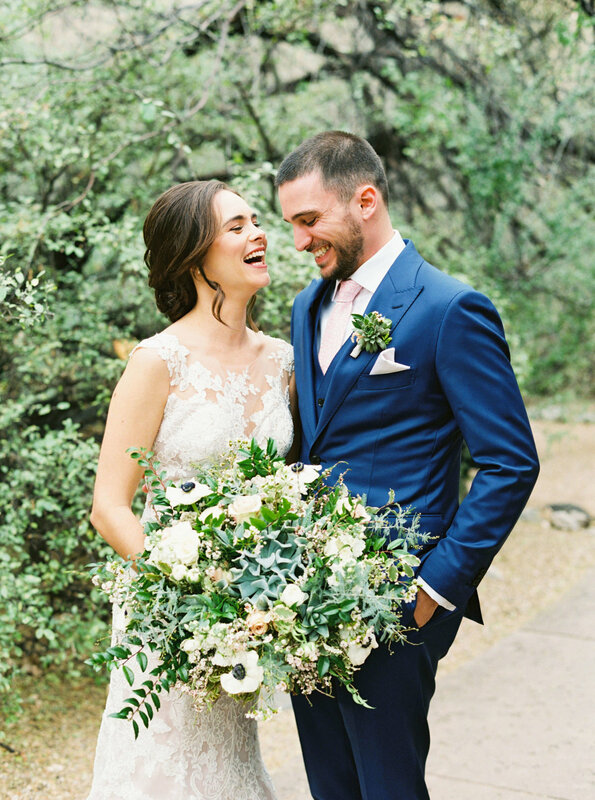 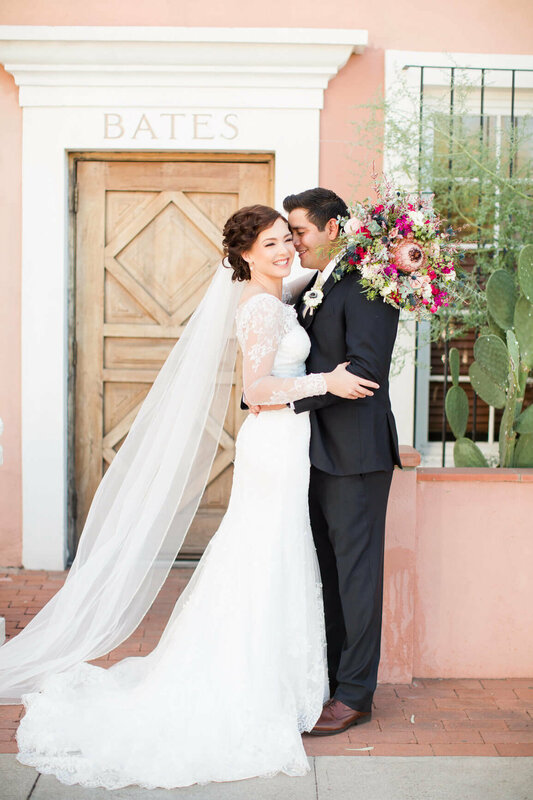 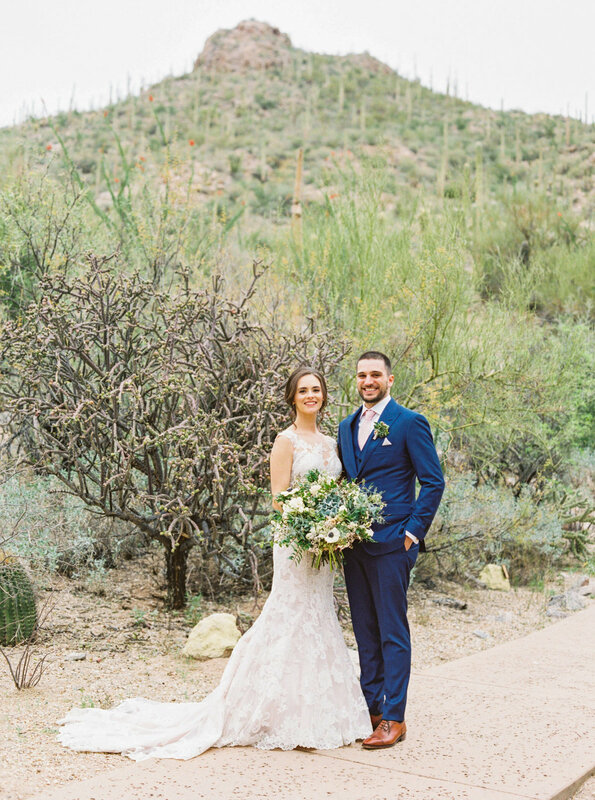 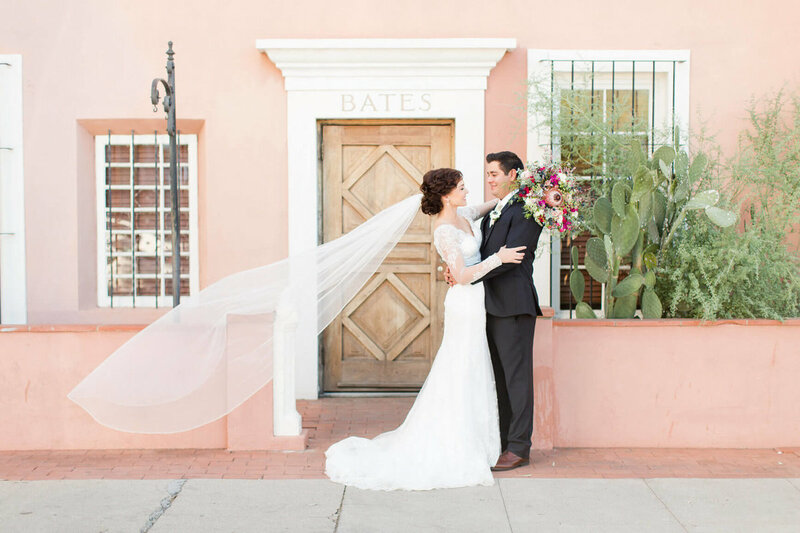 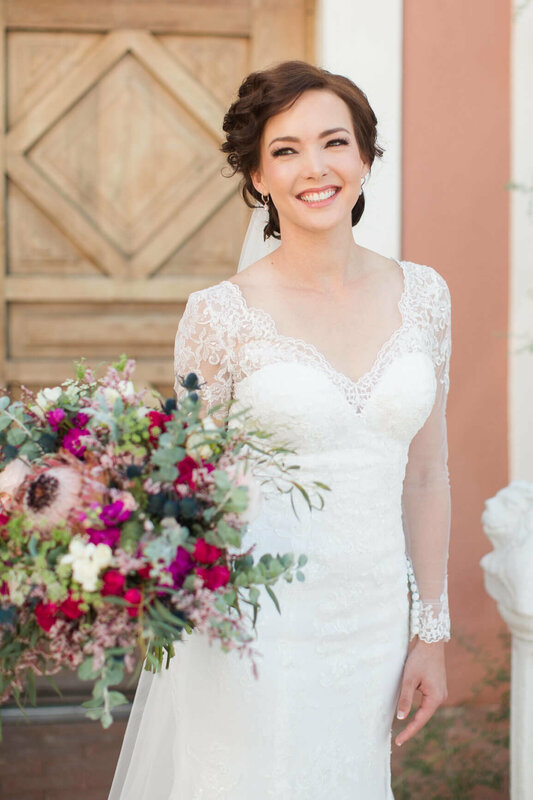 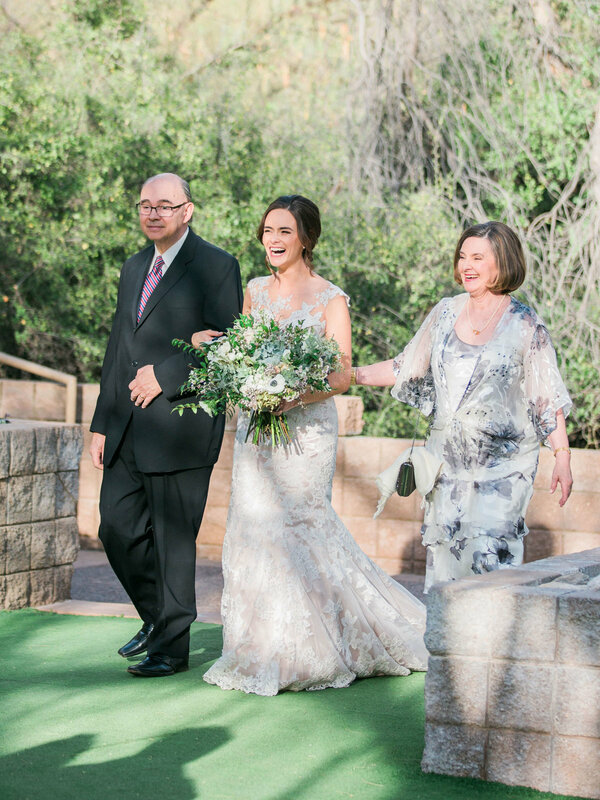 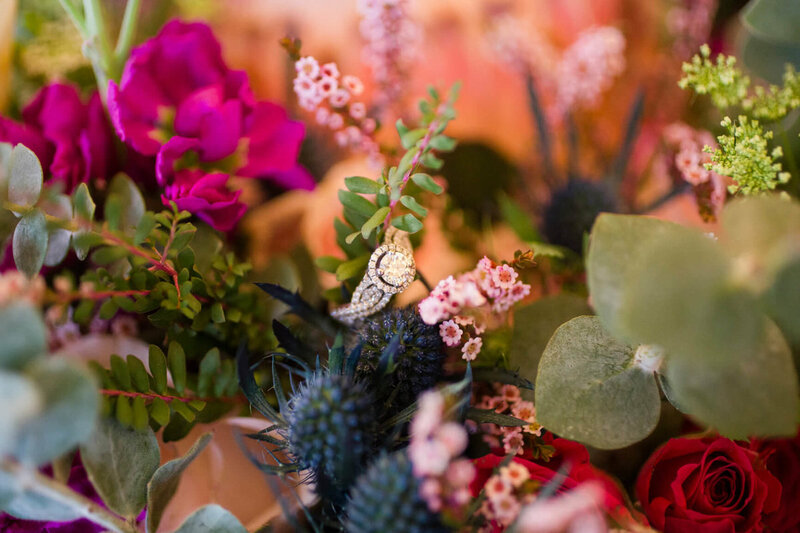 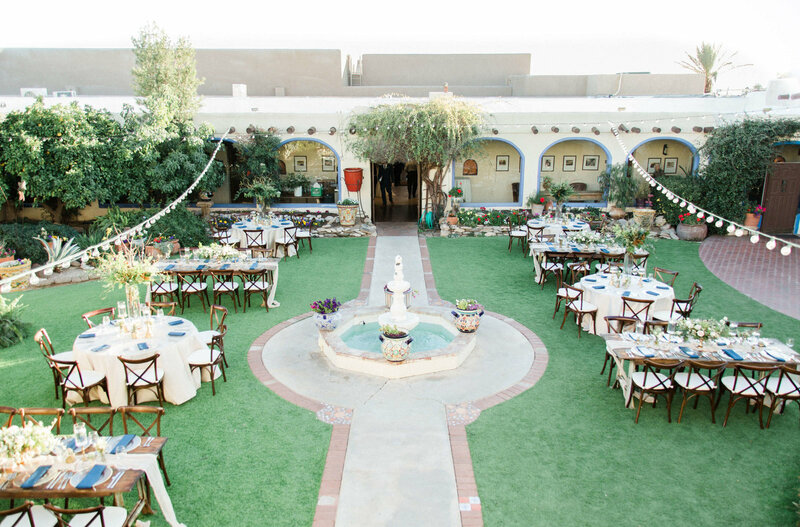 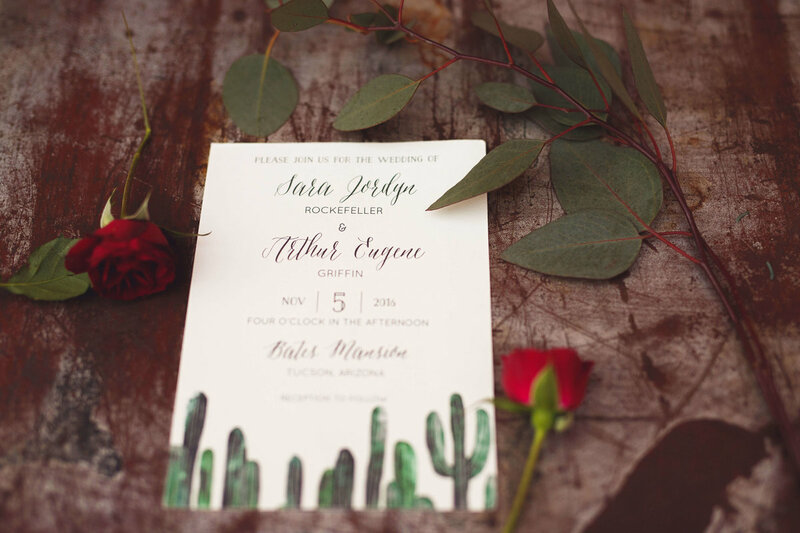 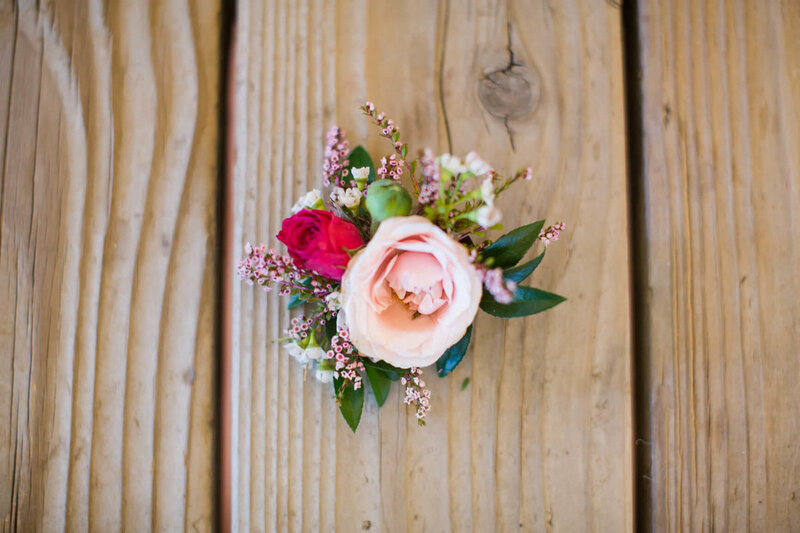 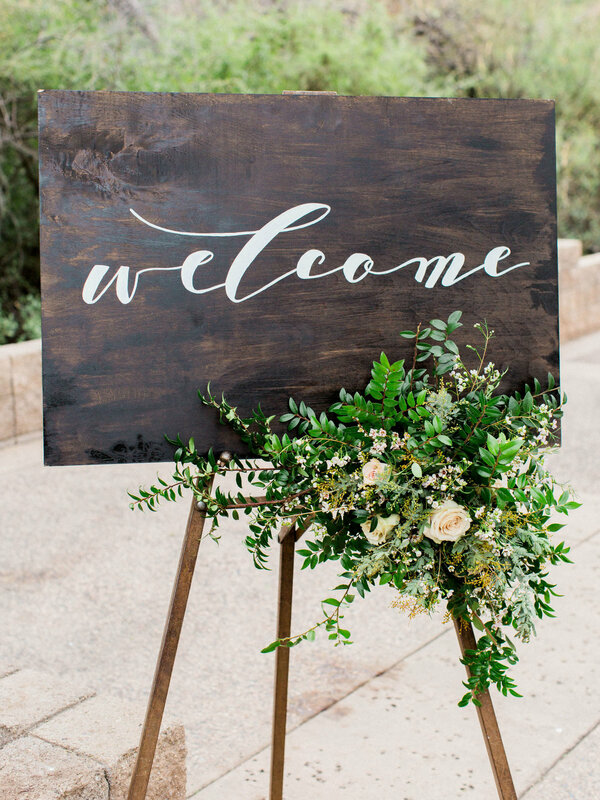 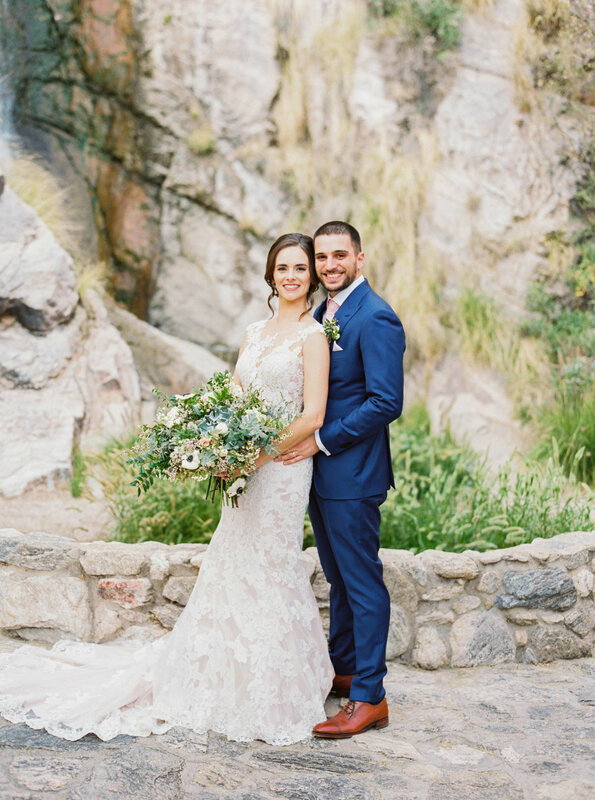 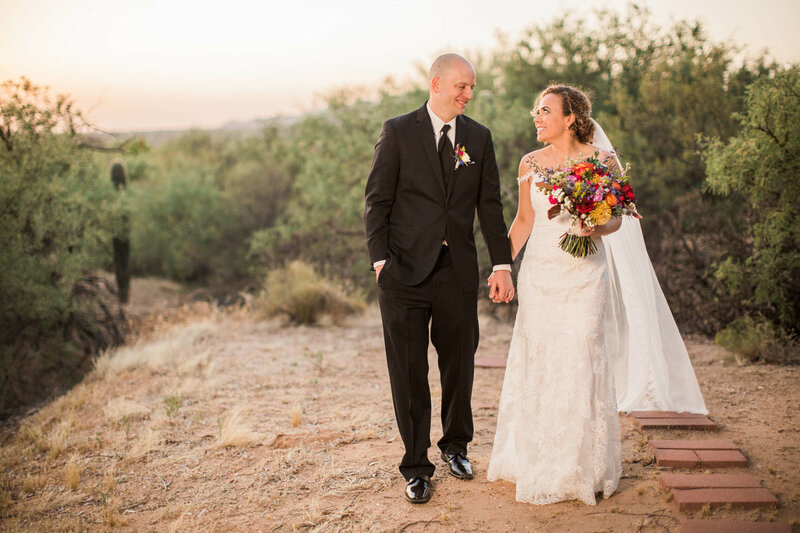 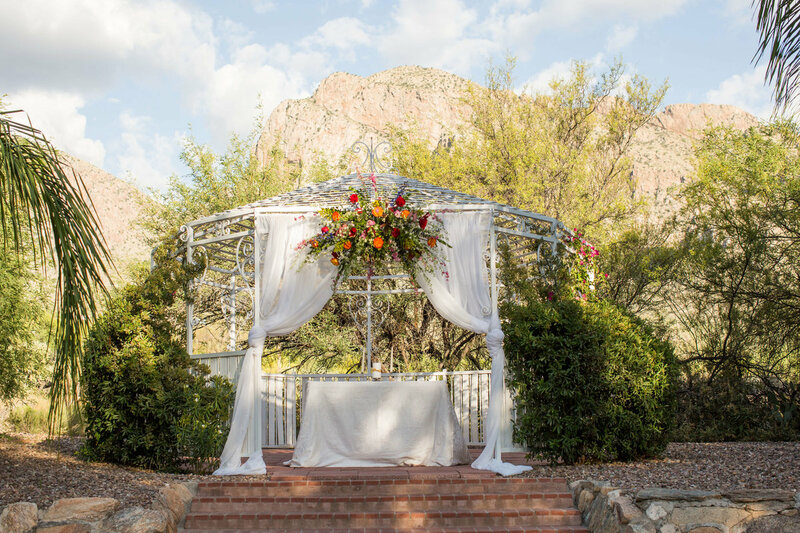 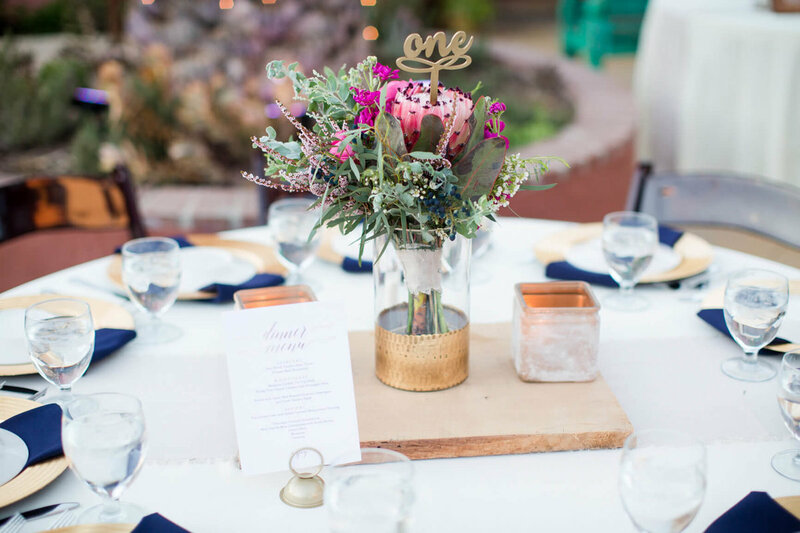 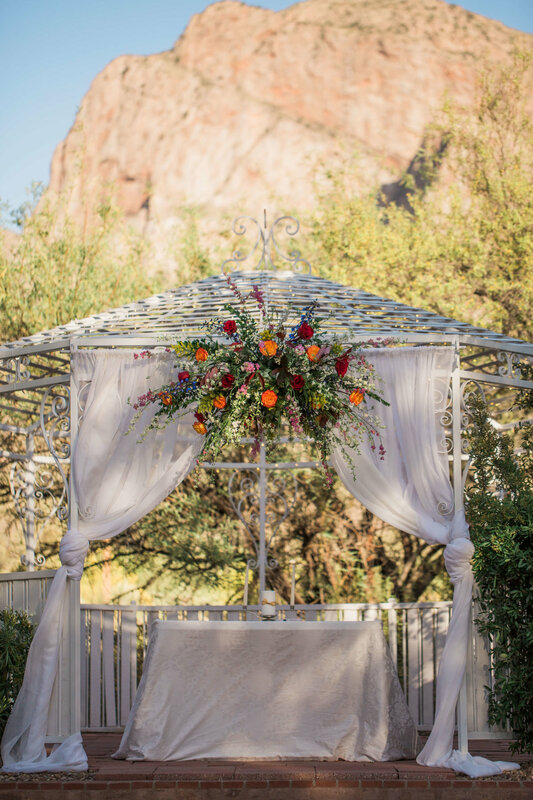 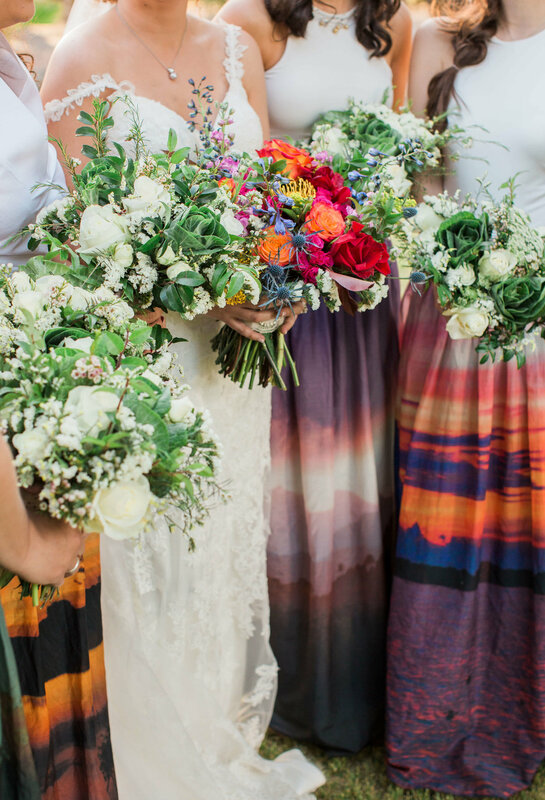 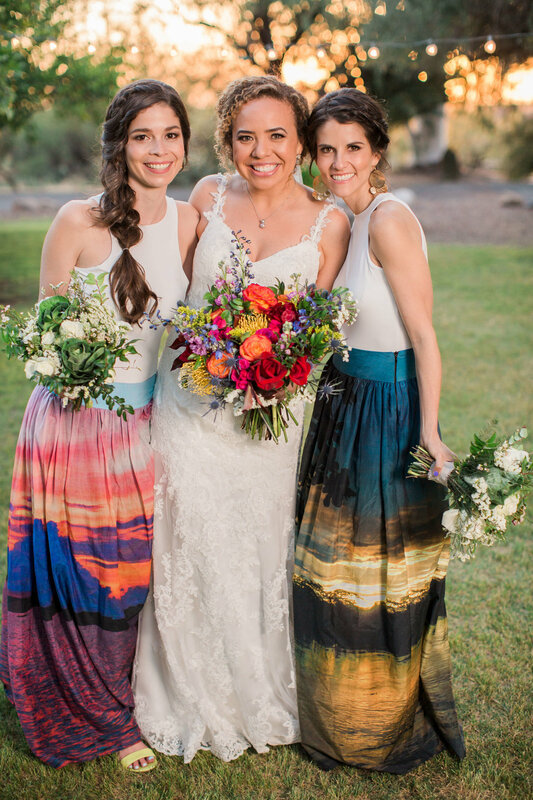 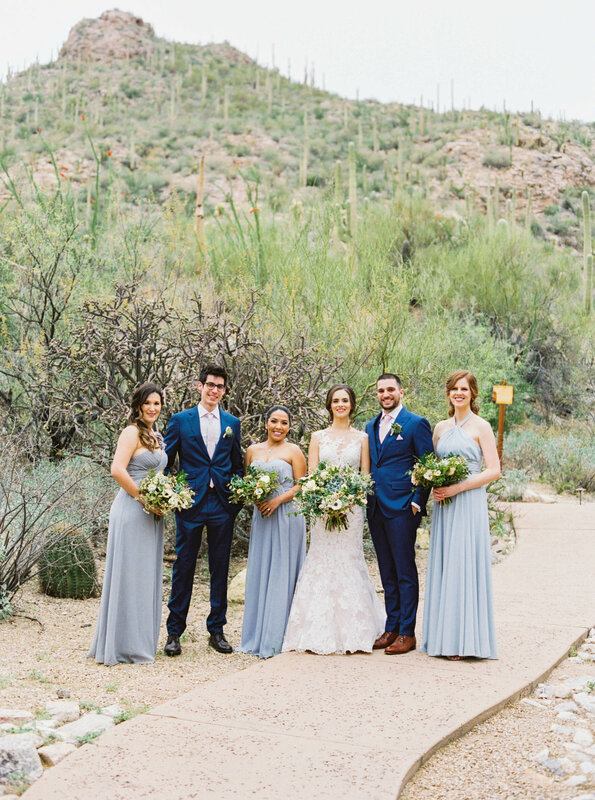 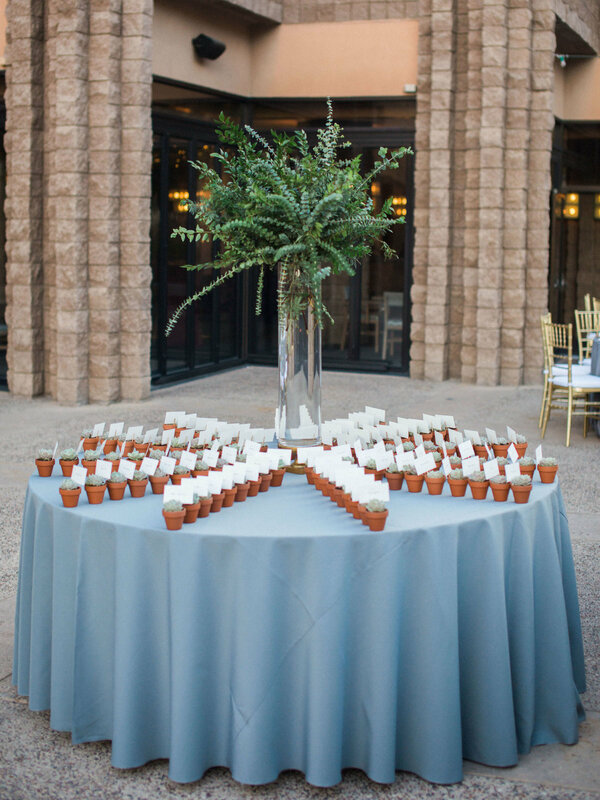 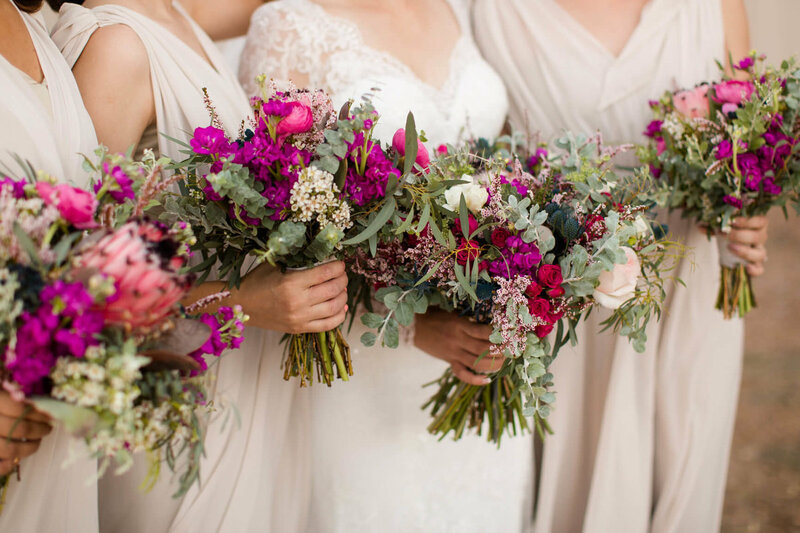 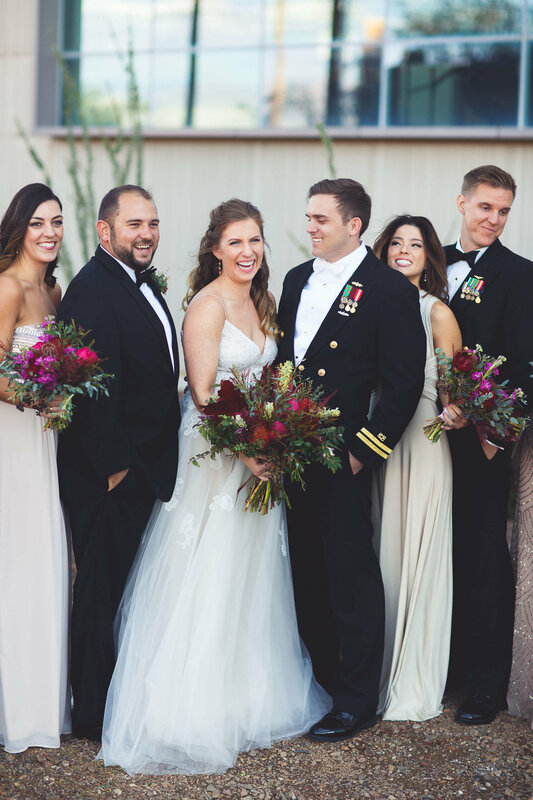 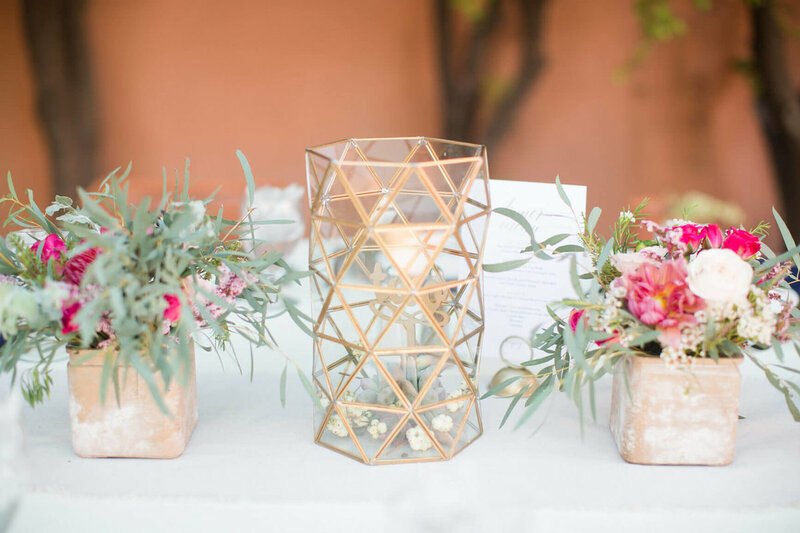 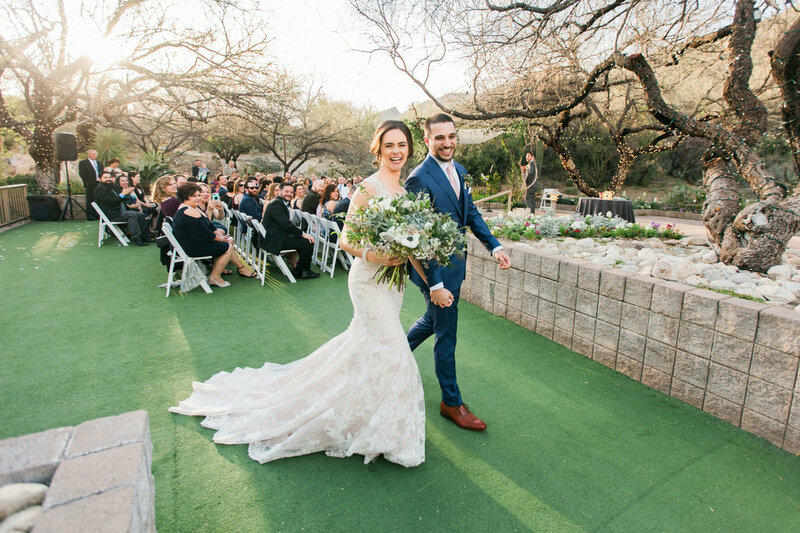 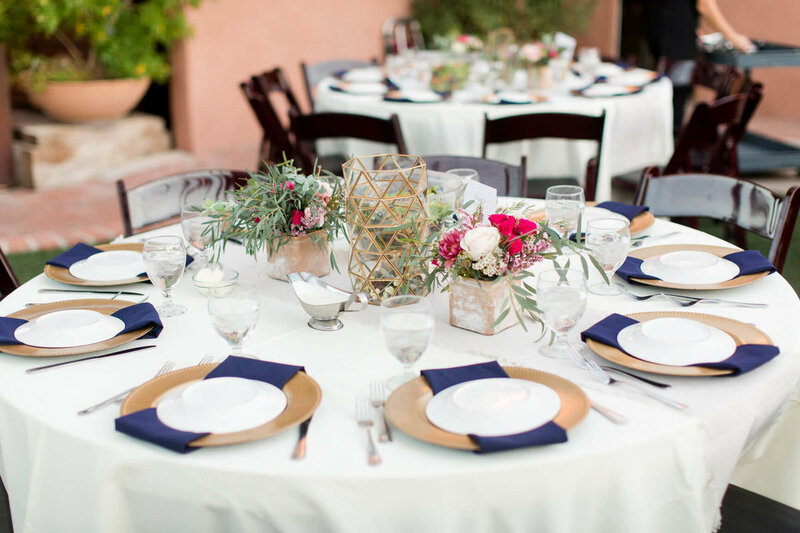 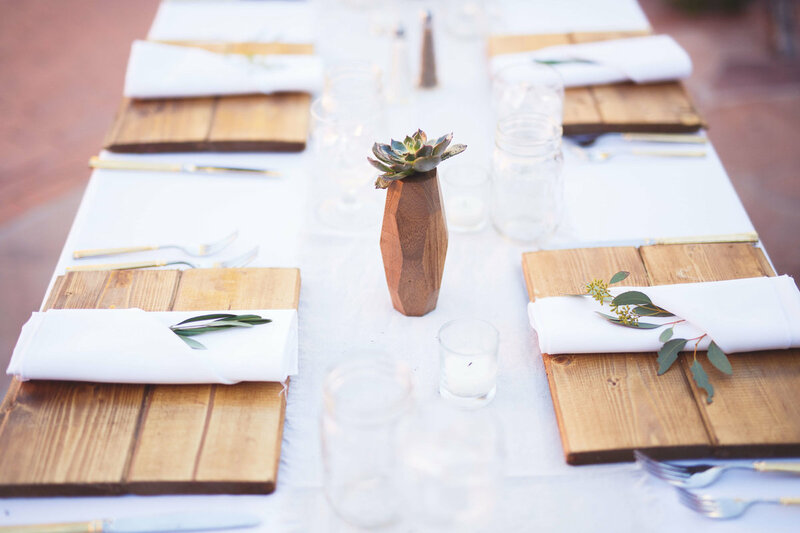 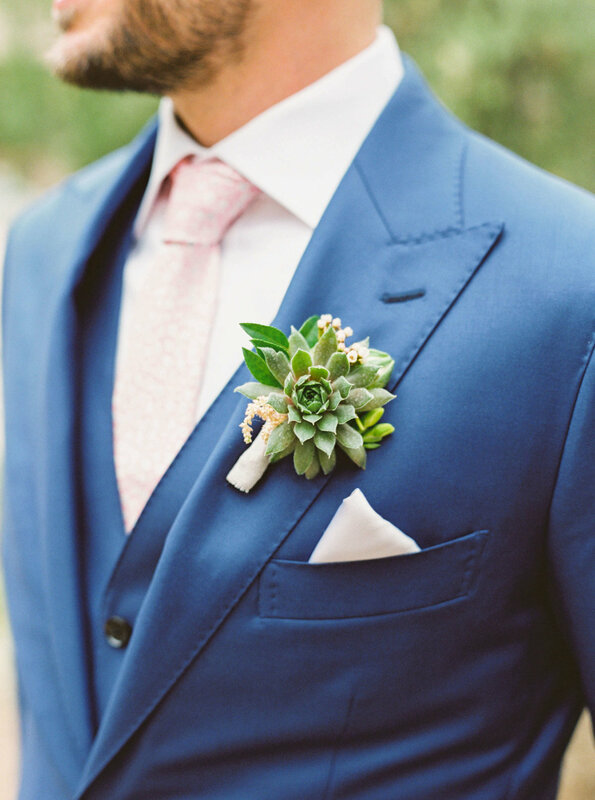 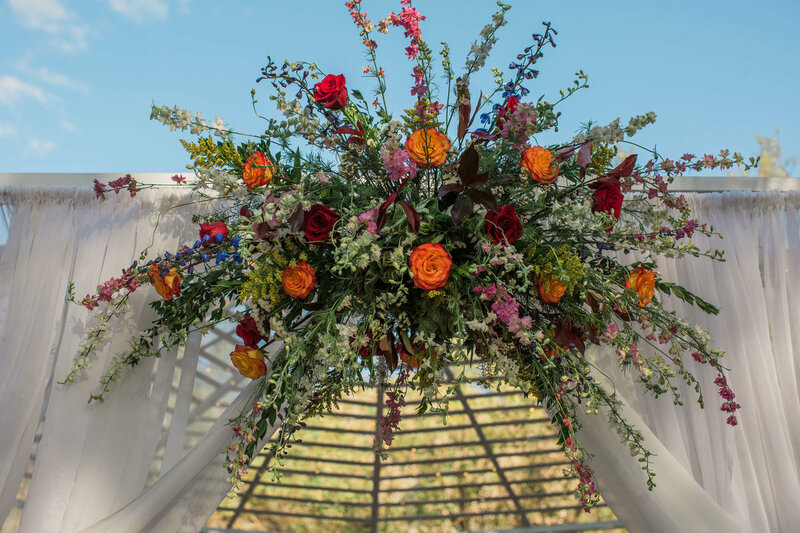 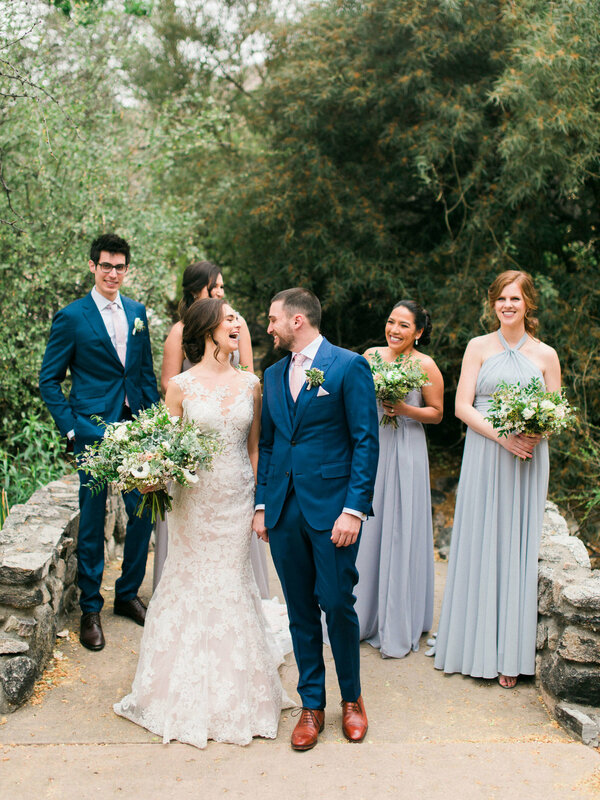 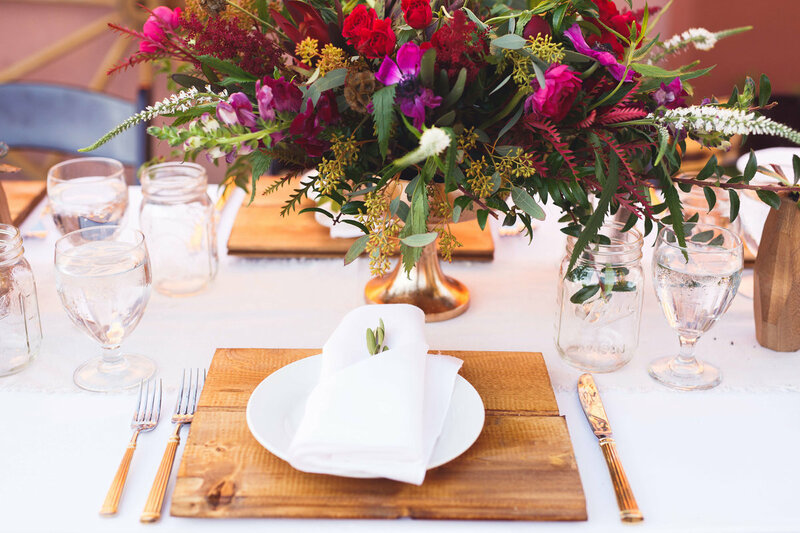 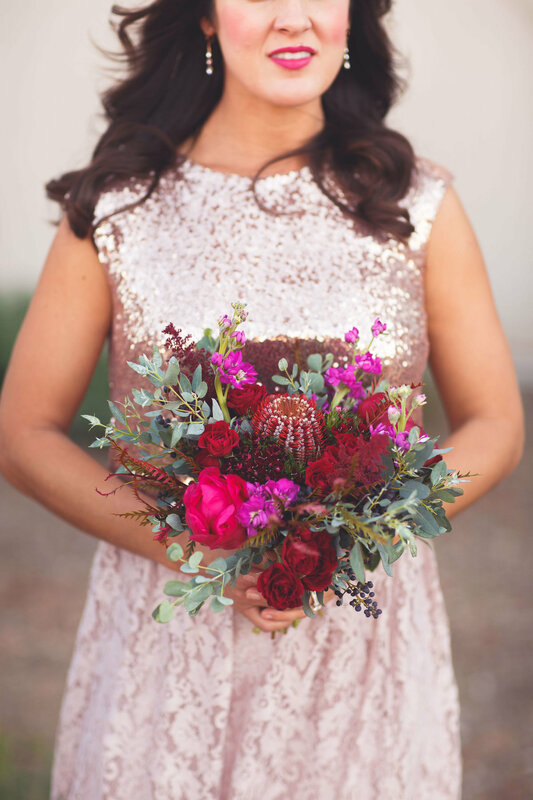 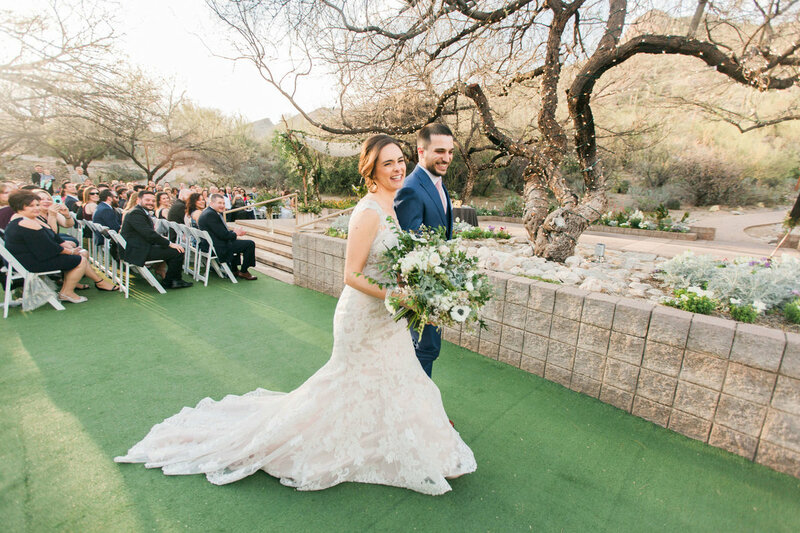 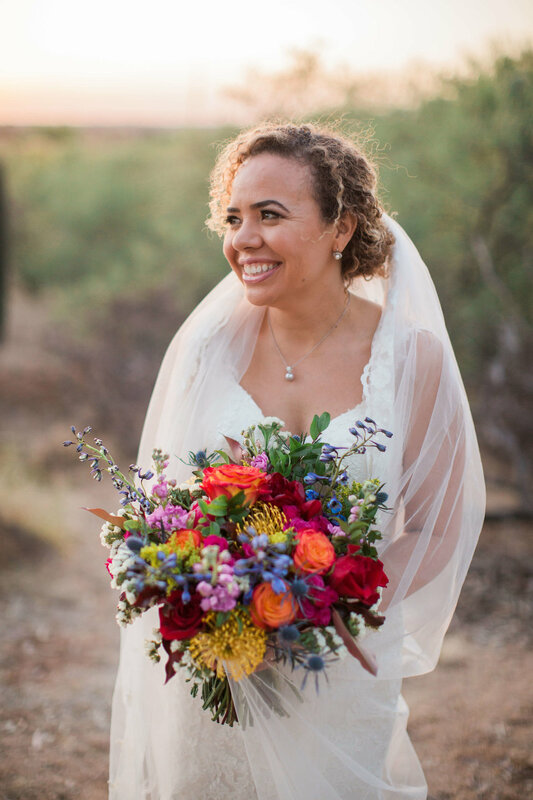 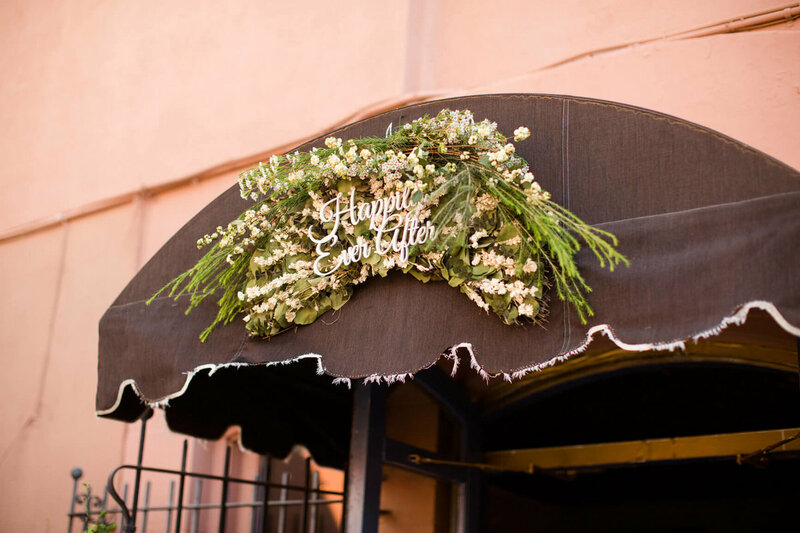 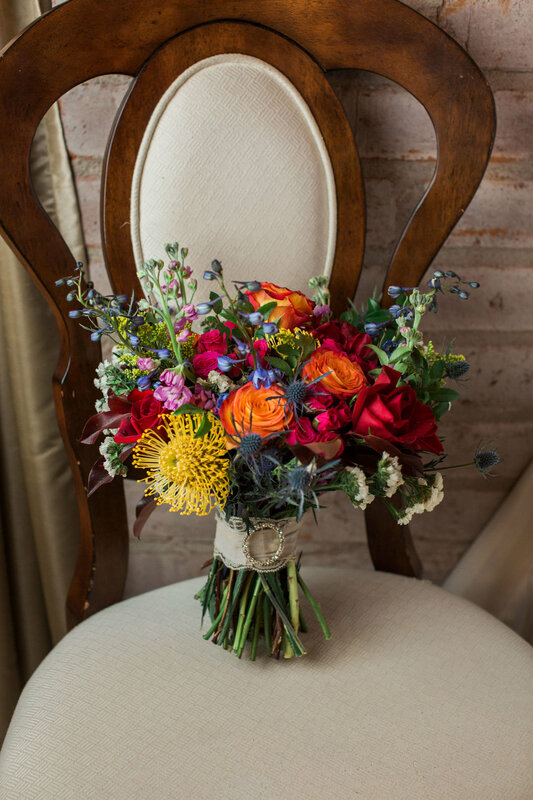 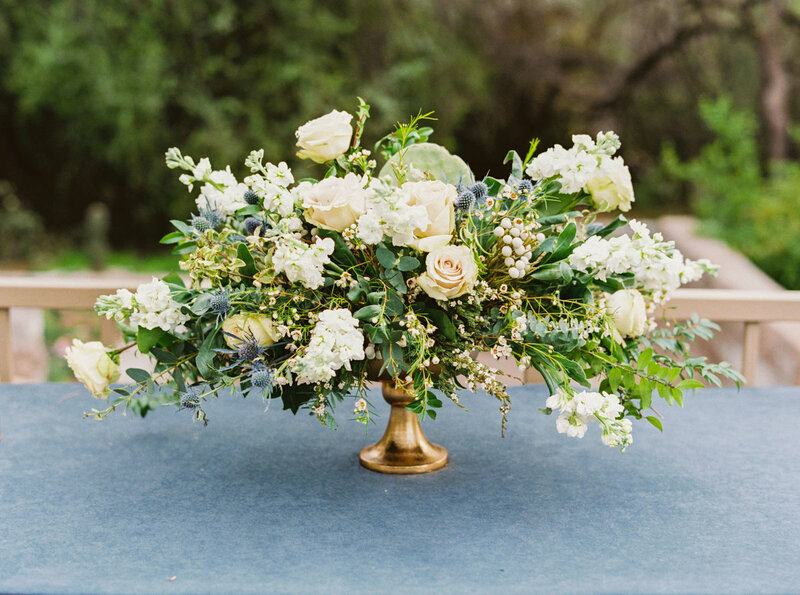 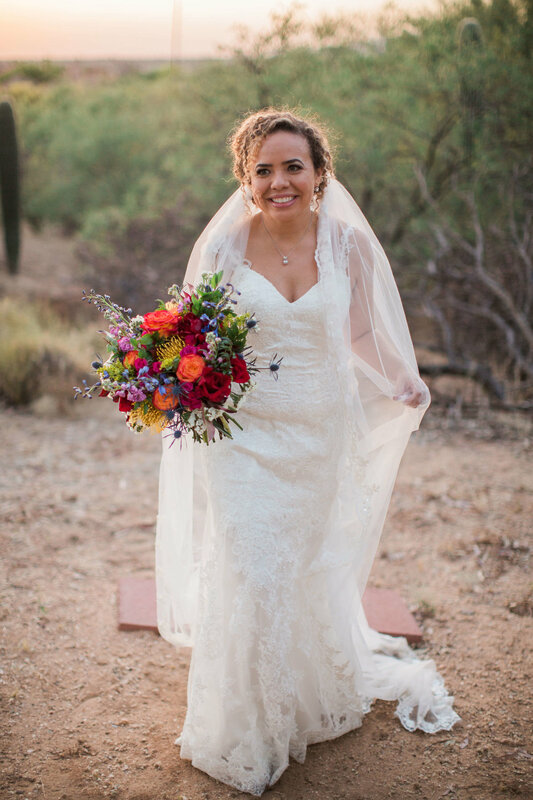 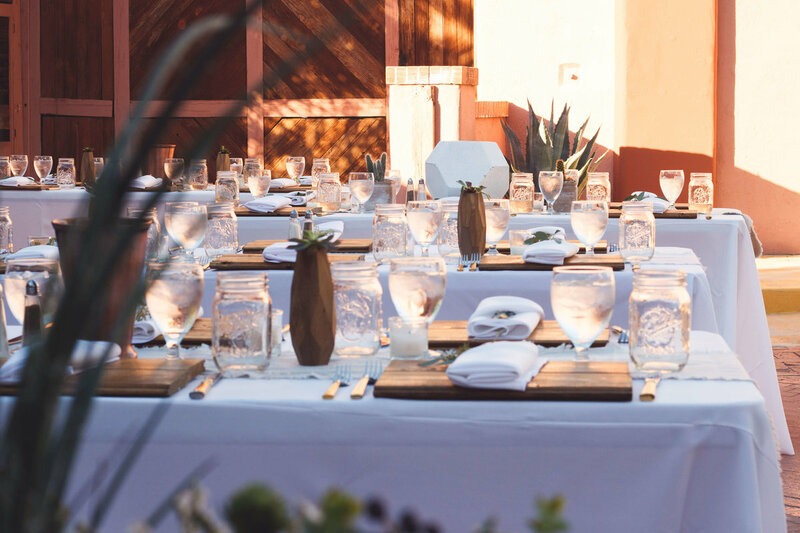 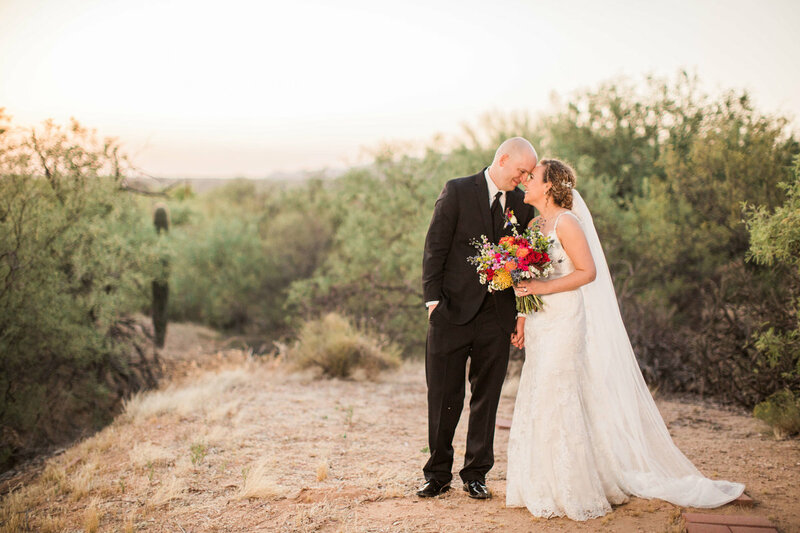 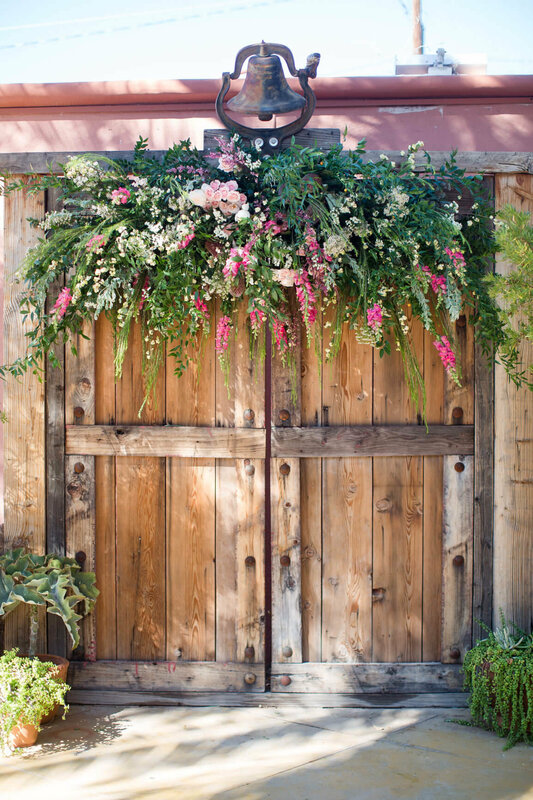 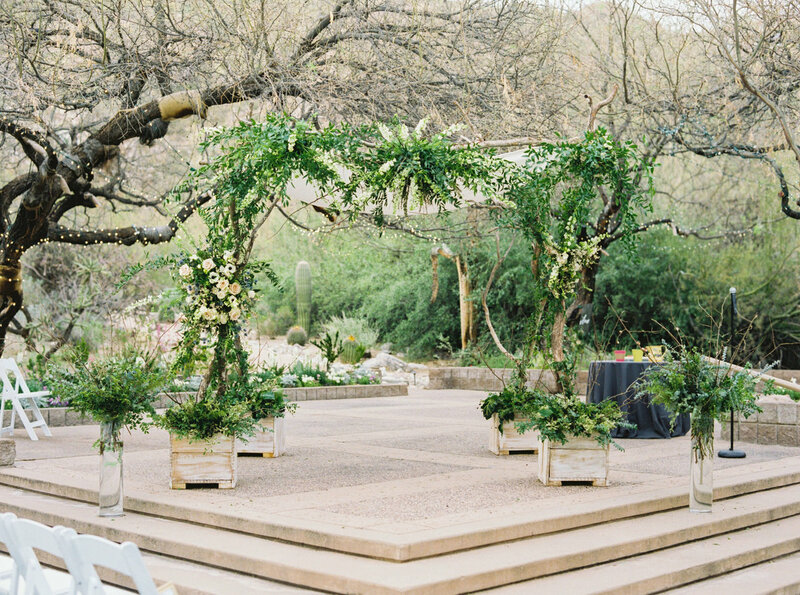 We had a spring outdoor wedding in Tucson and the floral décor provided by Eastland Alley suited the venue and the season perfectly. 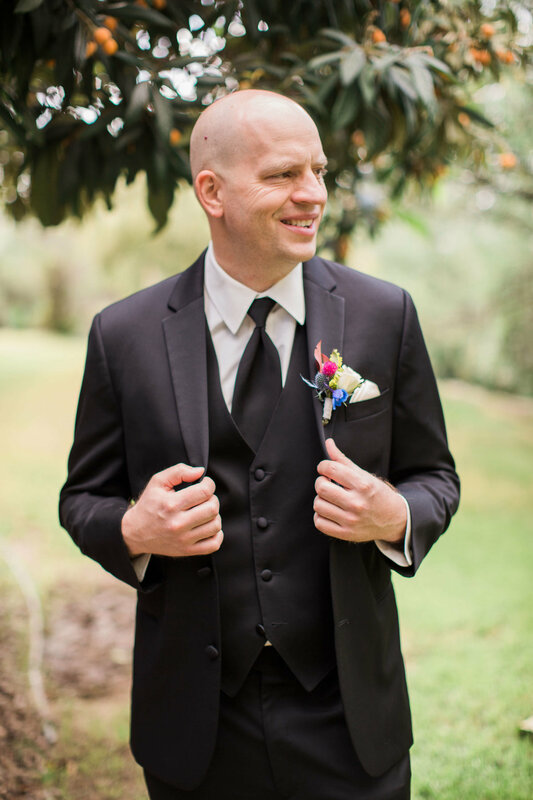 They took our feedback and executed on our vision. 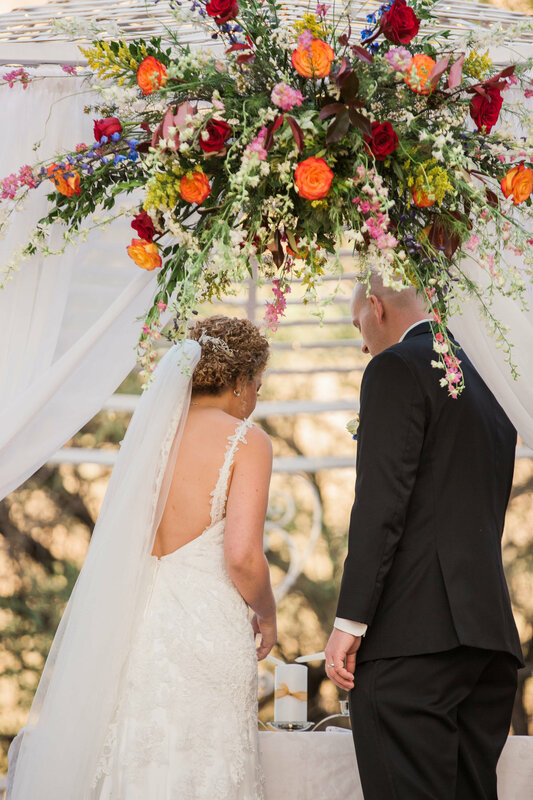 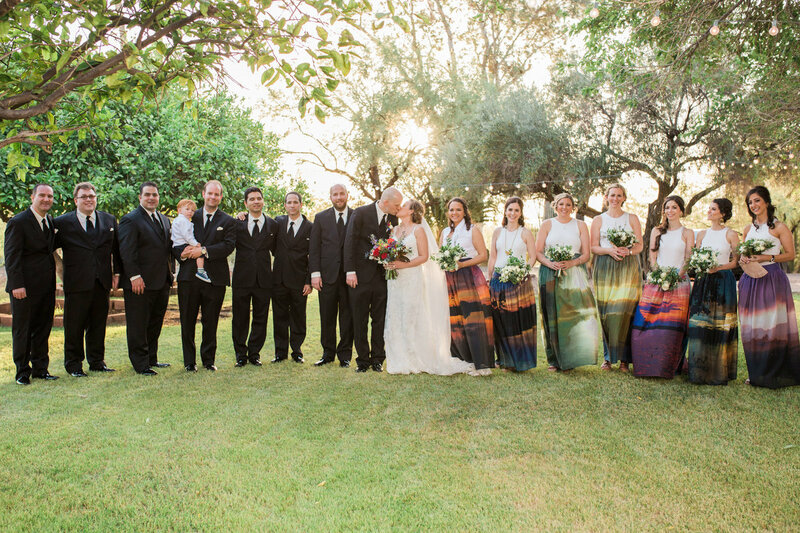 They created a chuppah that was stunning. 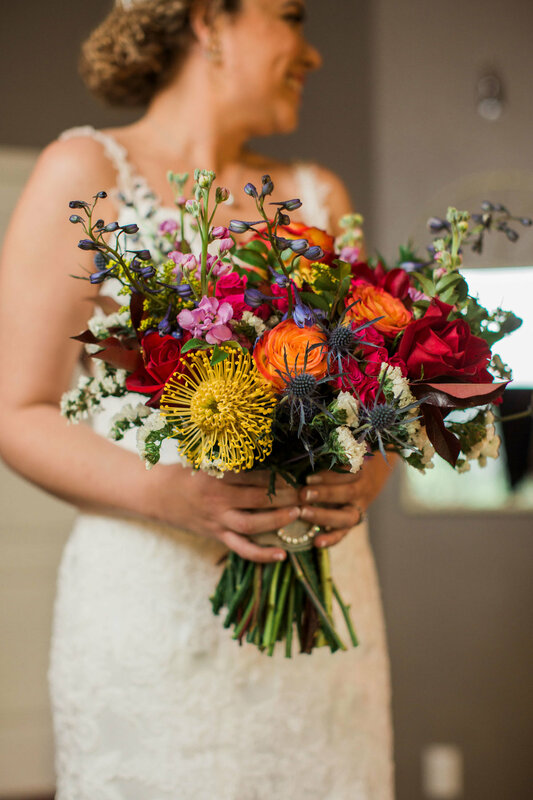 The bouquets were lush and well balanced. 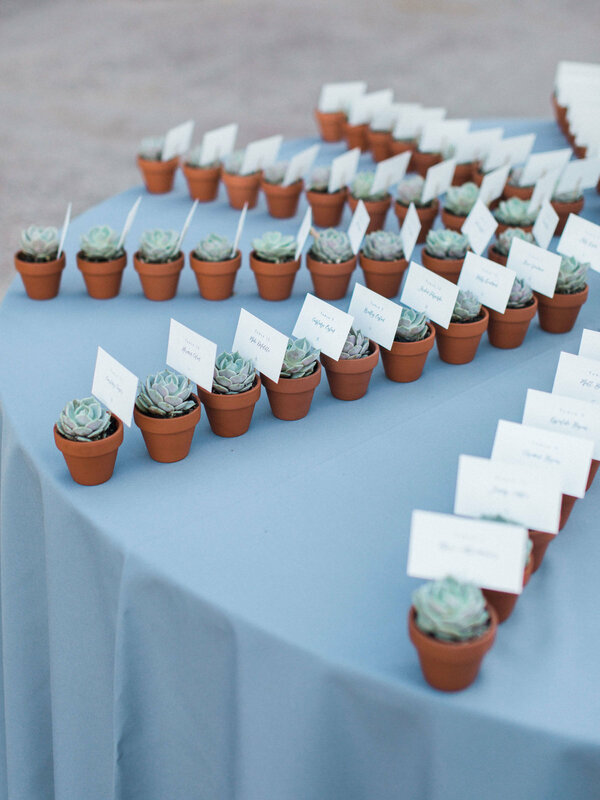 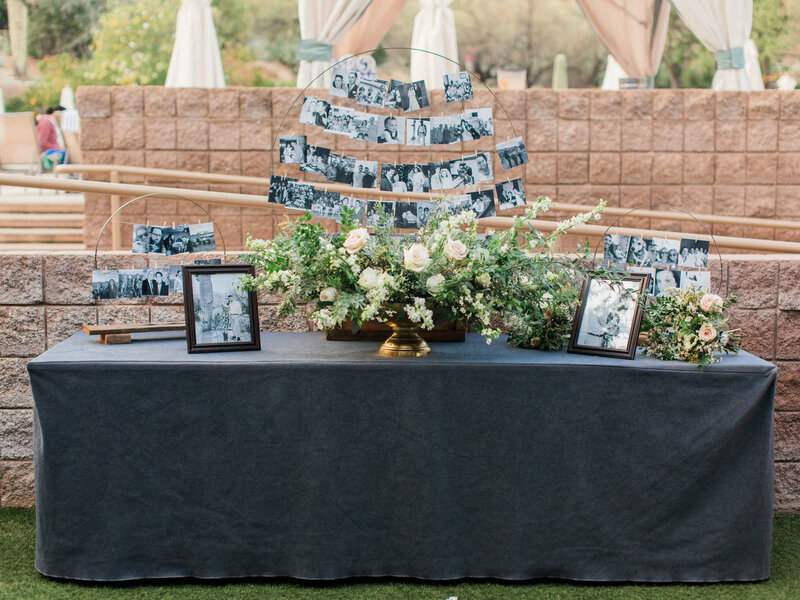 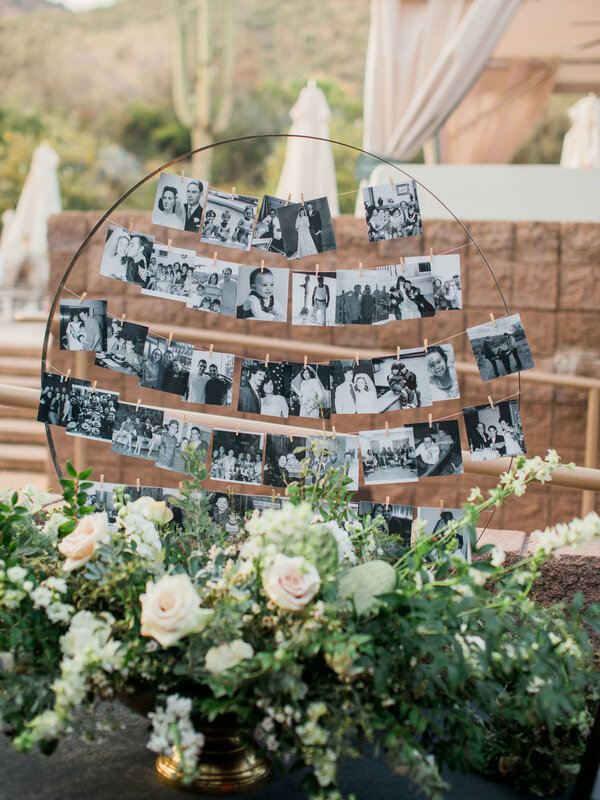 They even created a display with photos of our family and friends, and provided us with individual succulents for guest favors. 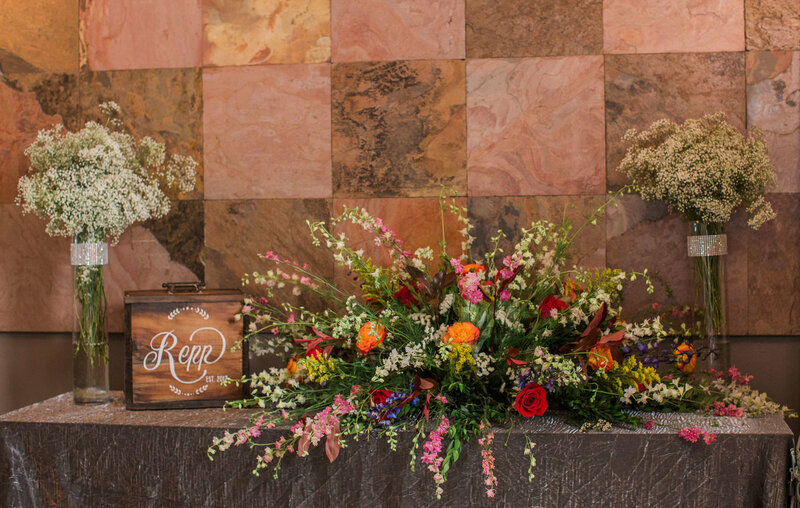 So many of our guests commented on how beautiful the floral décor was. 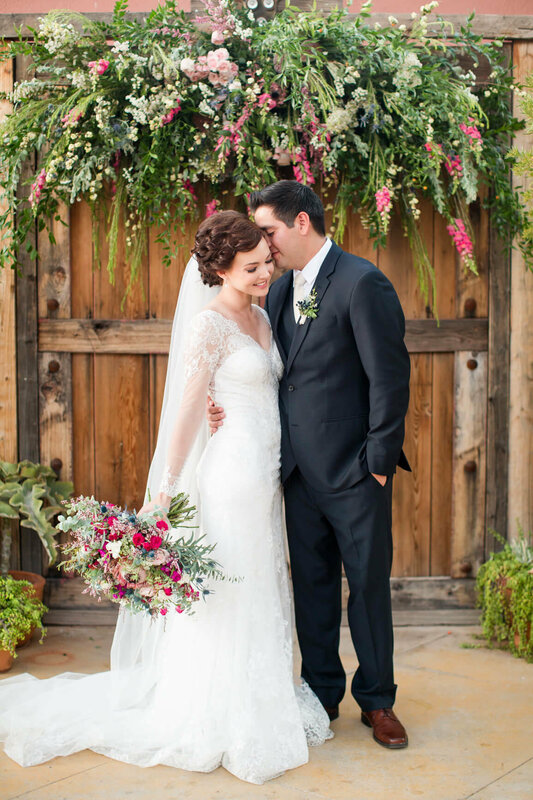 They were easy to work with and delivered everything on time and in perfect condition. 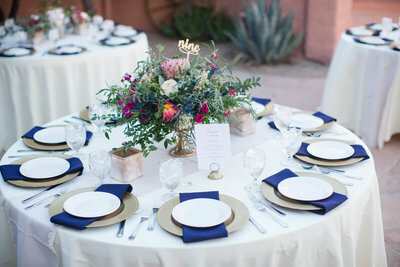 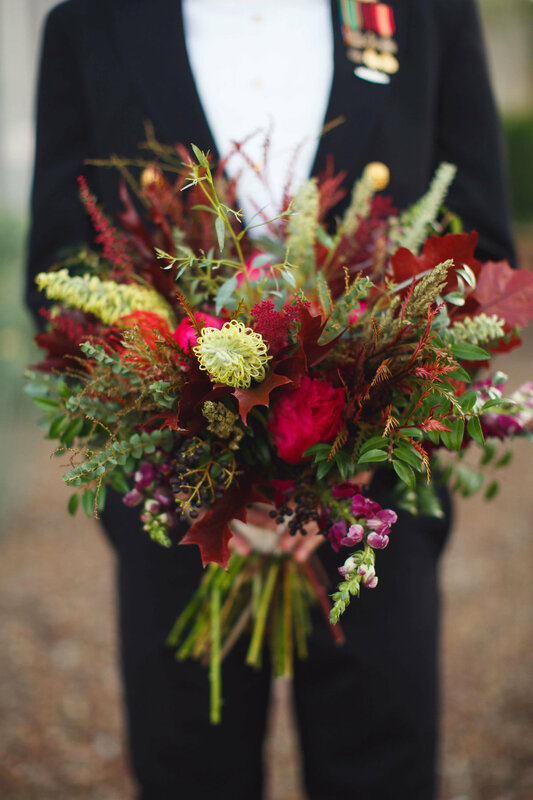 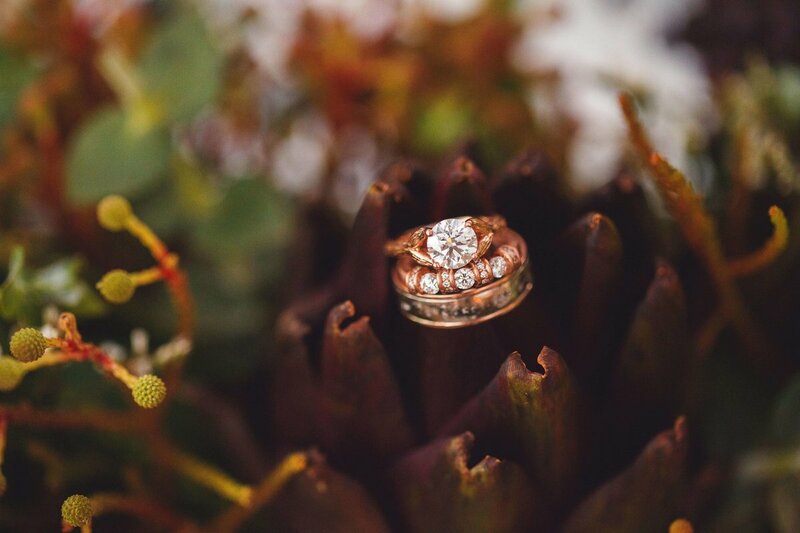 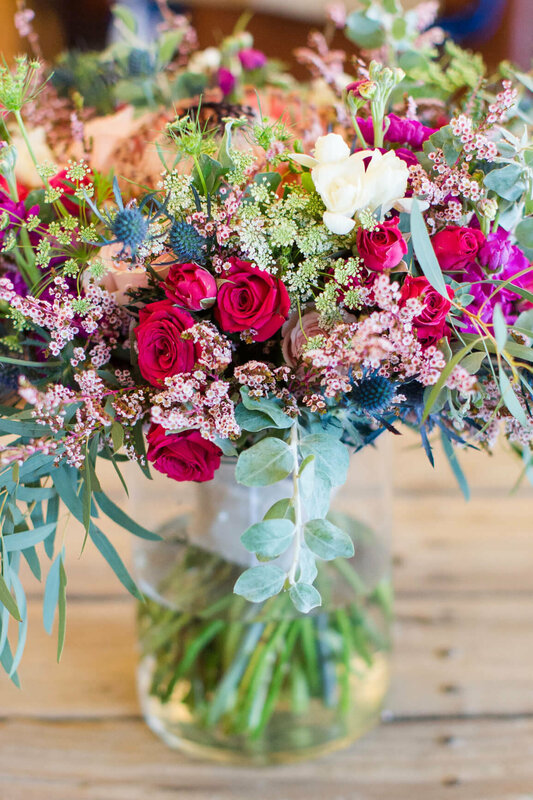 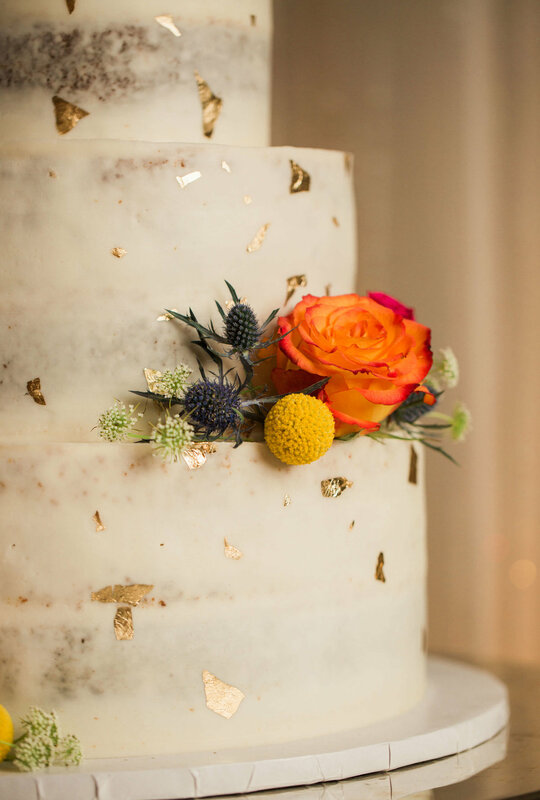 When we were choosing a florist, I loved their photos, and what they produced for our wedding was true to that design aesthetic. 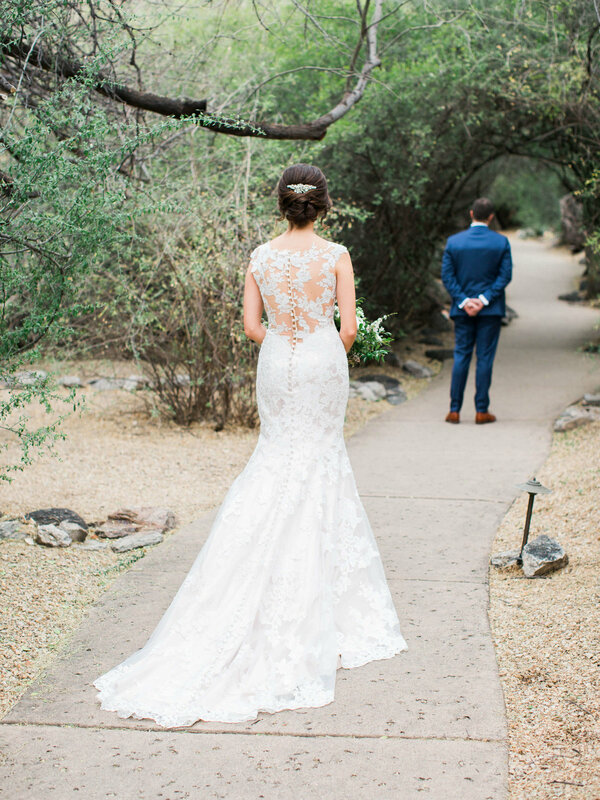 It was not only beautiful, but really unique and special. 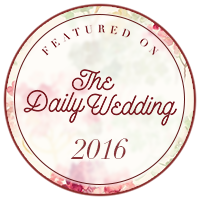 My husband and I are so pleased to work with them and highly recommend them for your event!! 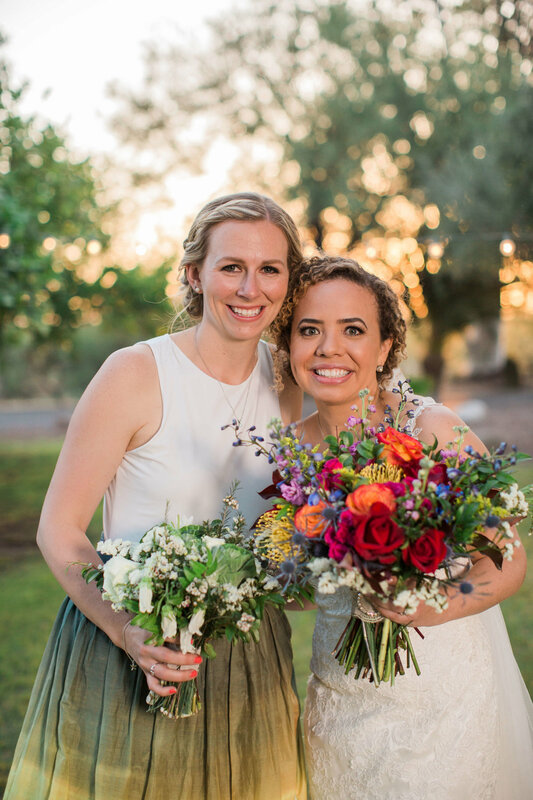 Kimberly and Theresa didn't hesitate to say "Yes!" 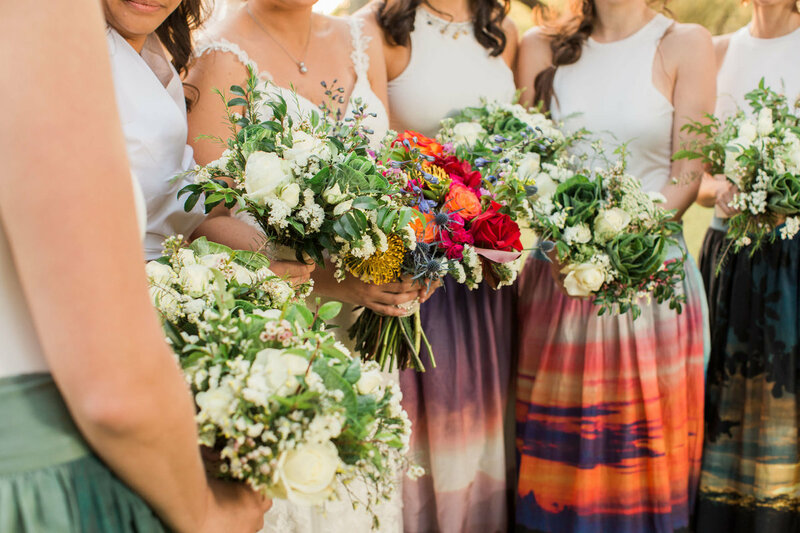 when I approached them with an unconventional idea to provide a last minute bouquet to a sweet bride who's wedding was out of town. 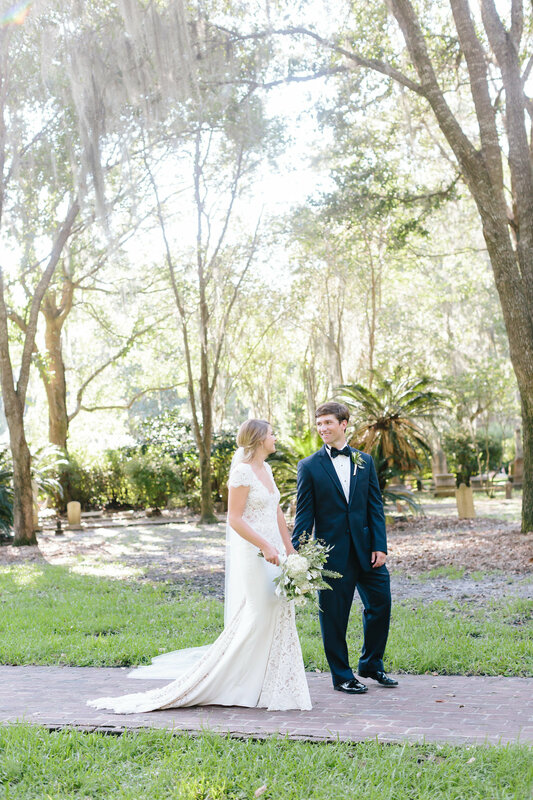 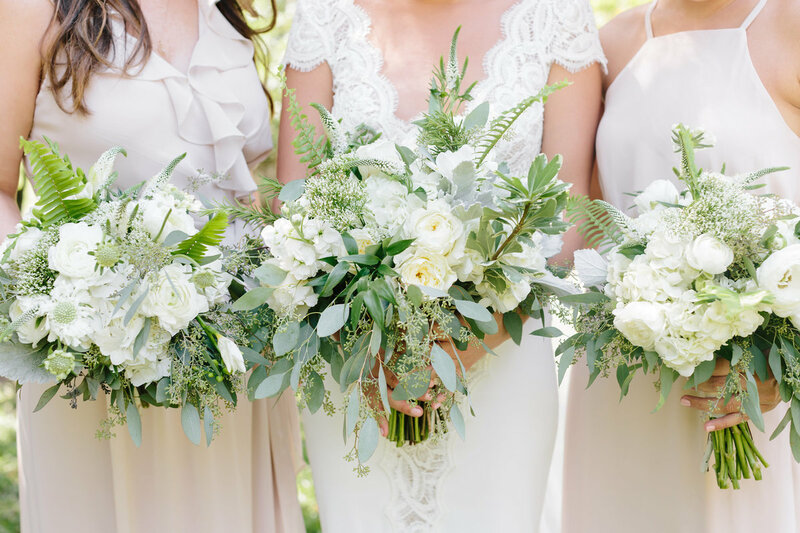 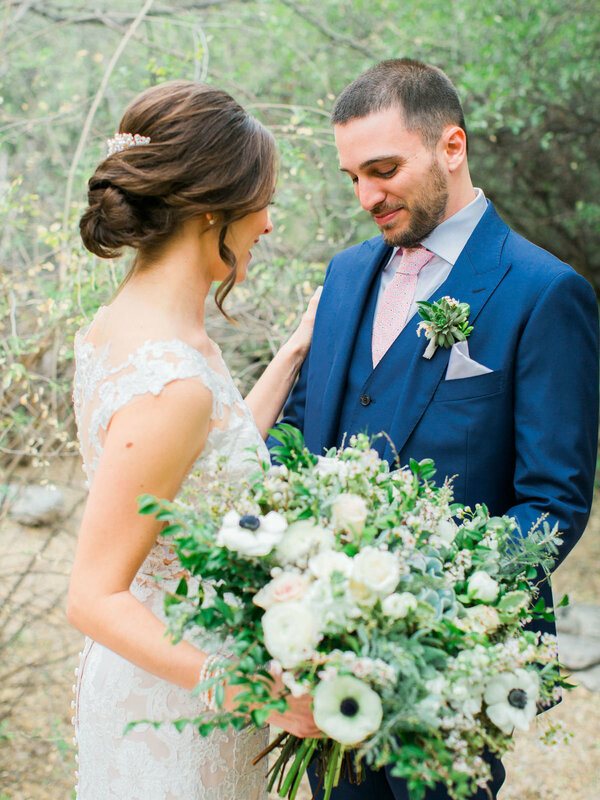 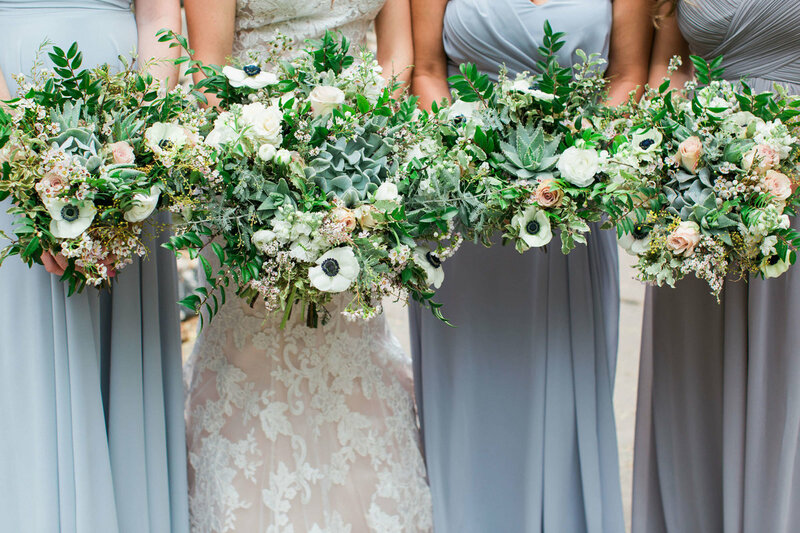 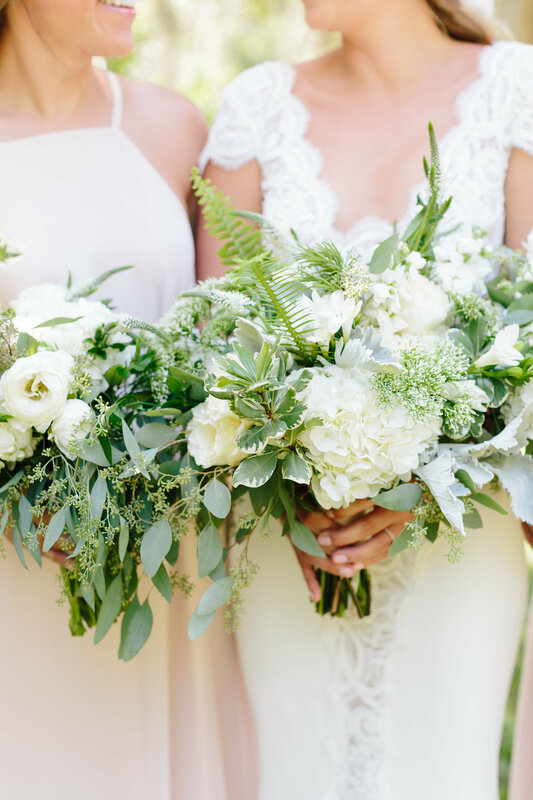 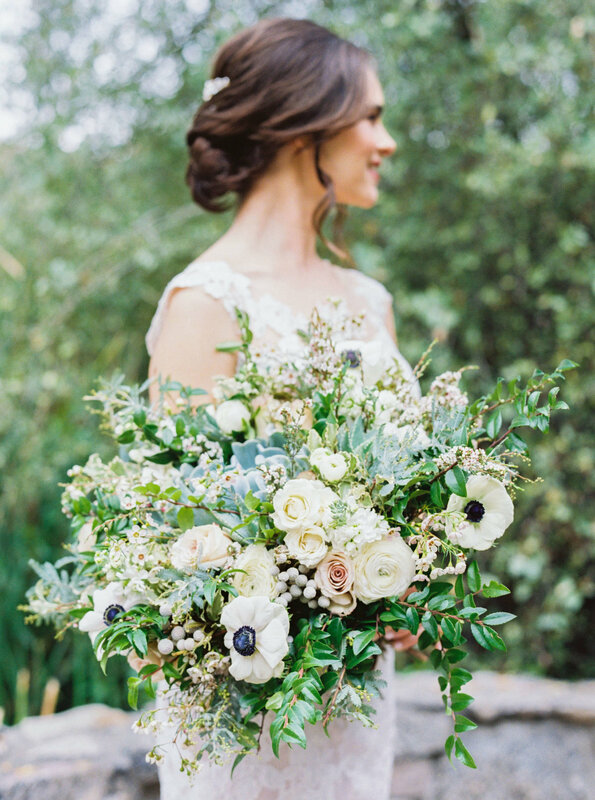 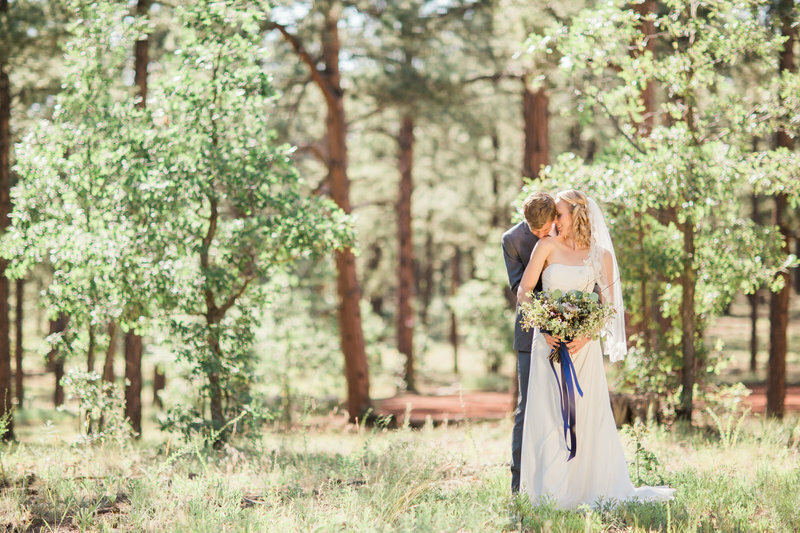 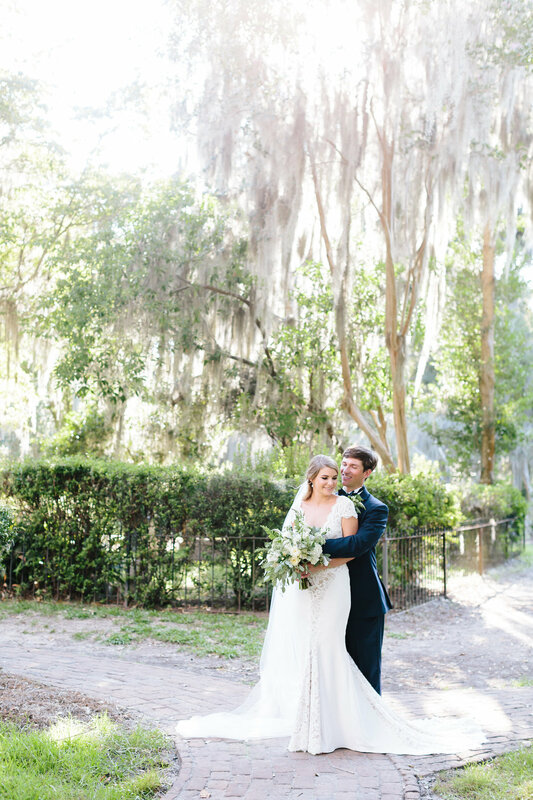 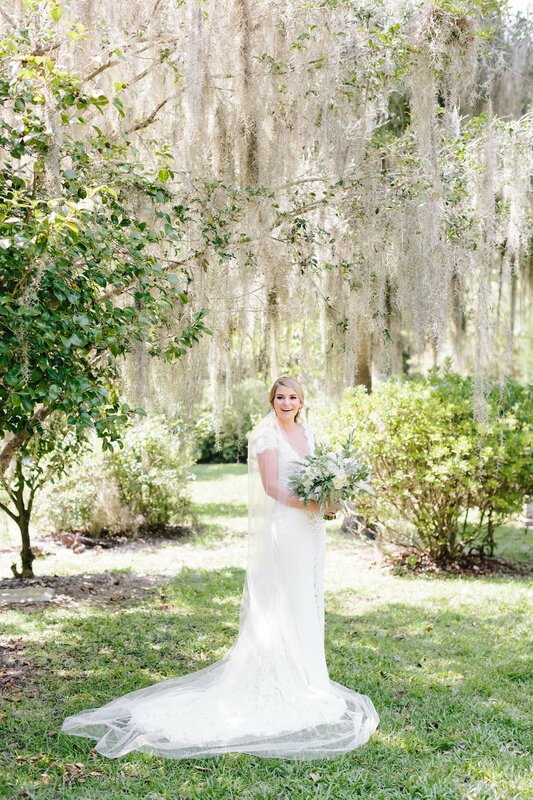 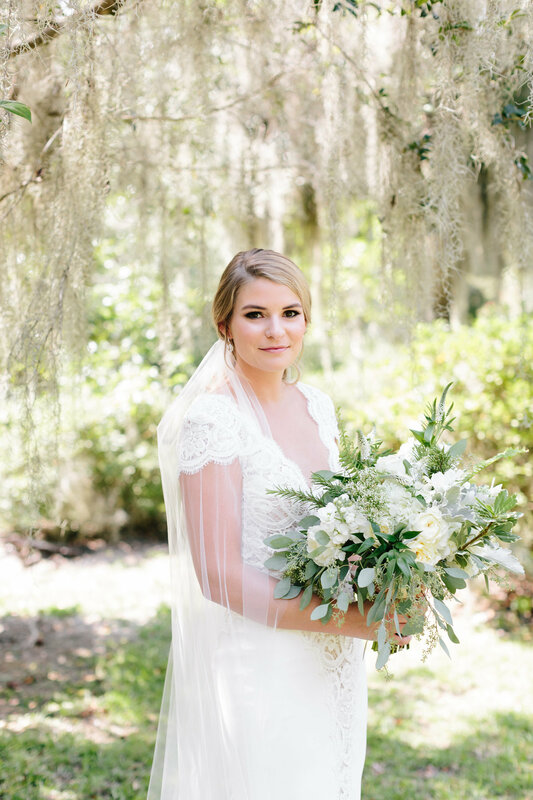 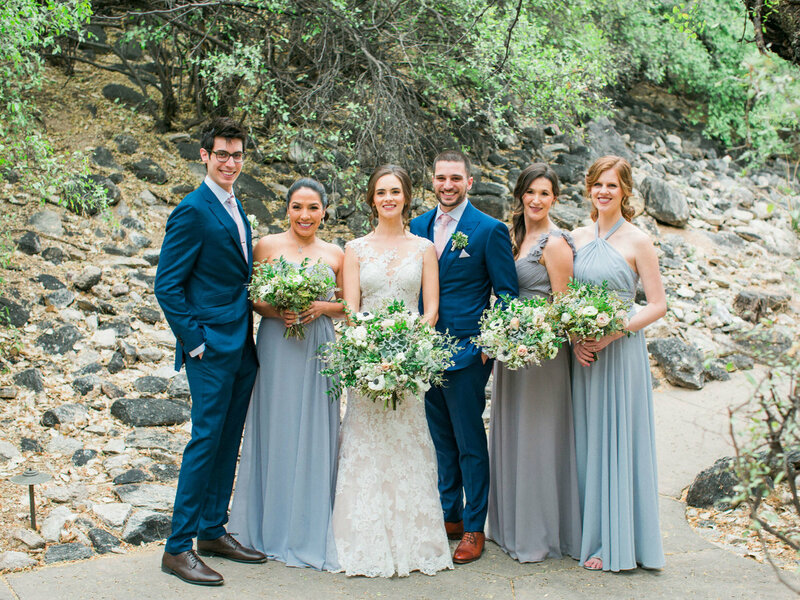 They quickly researched ideas that would match the woodland aesthetic to their day and provided a stunning bouquet that I was able to take to my couple in time for their wedding. 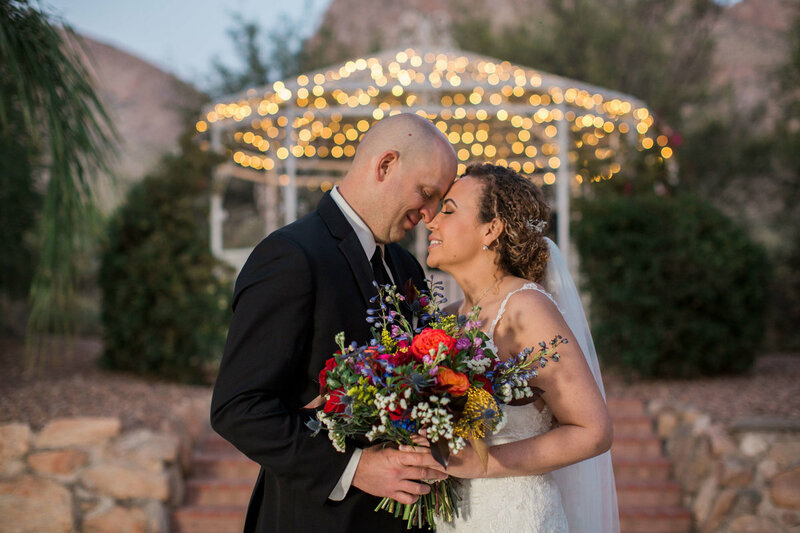 Not only did they deliver stunning quality on short notice, they included special elements to ensure my couple were well taken care of. 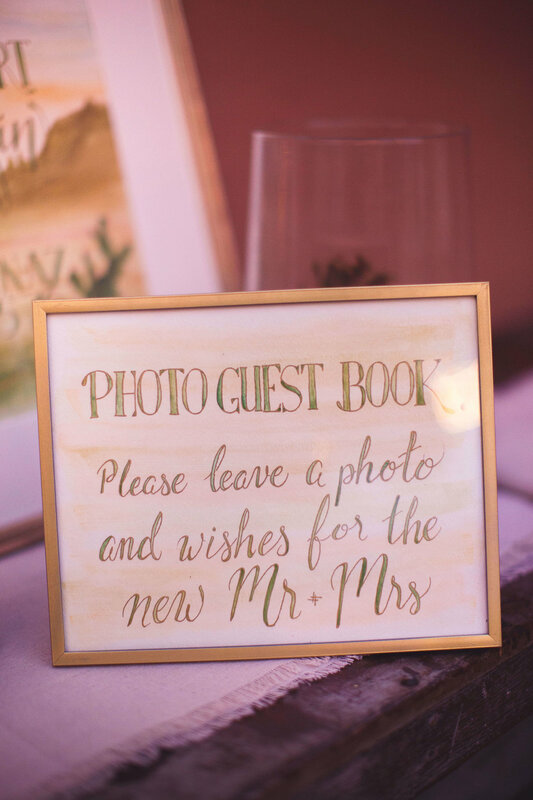 I have had the pleasure of photographing several weddings they have designed for, and each time, they over deliver on custom elements, ensuring each bride's wedding is thoughtfully designed with her mind. 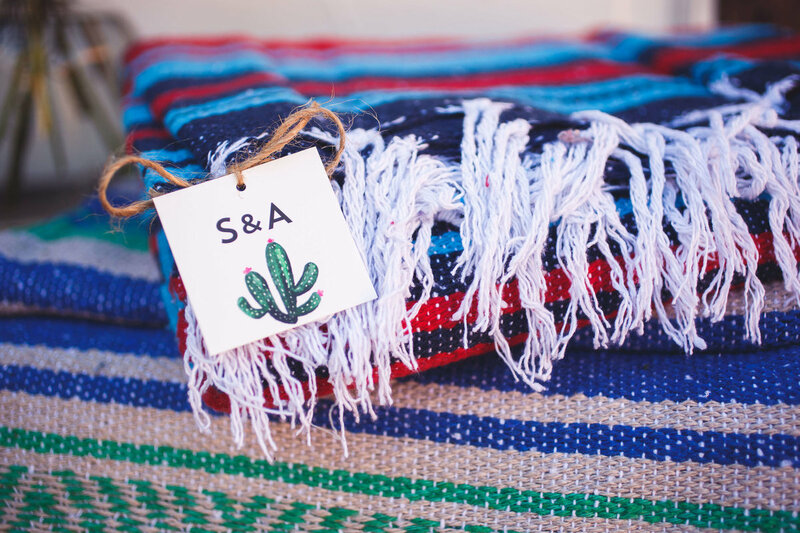 All of our packages are custom designed with no minimum fee required. 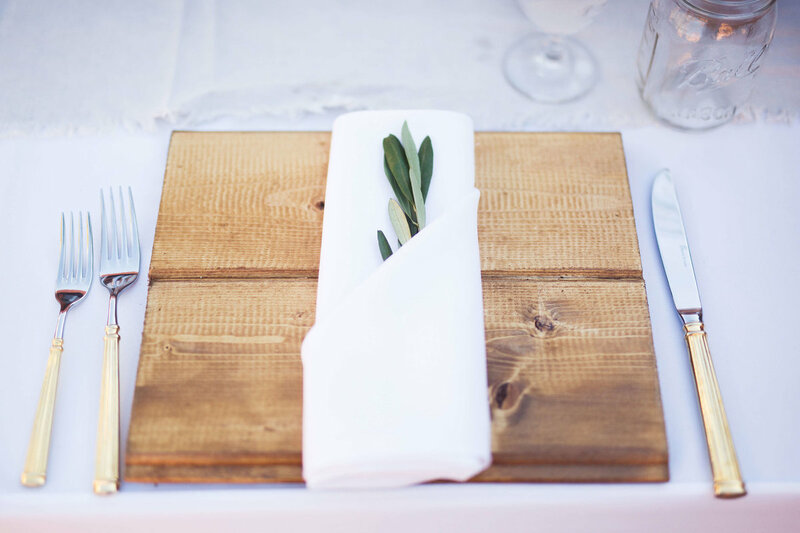 Initial investment traditionally falls around $2800. 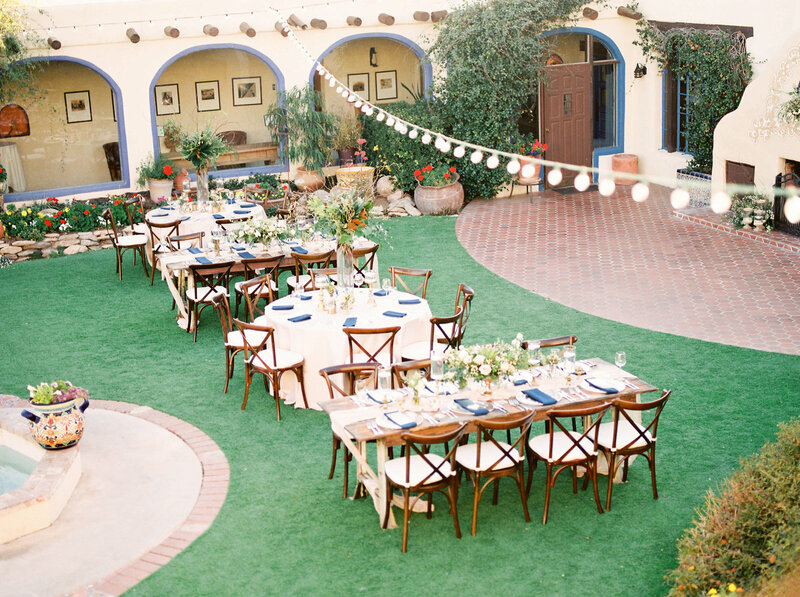 For more details on packages and to find out more about a custom collection, please contact us.